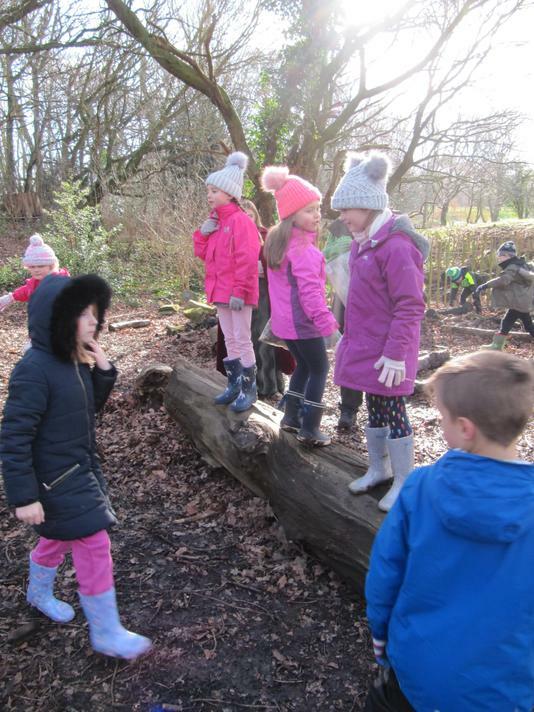 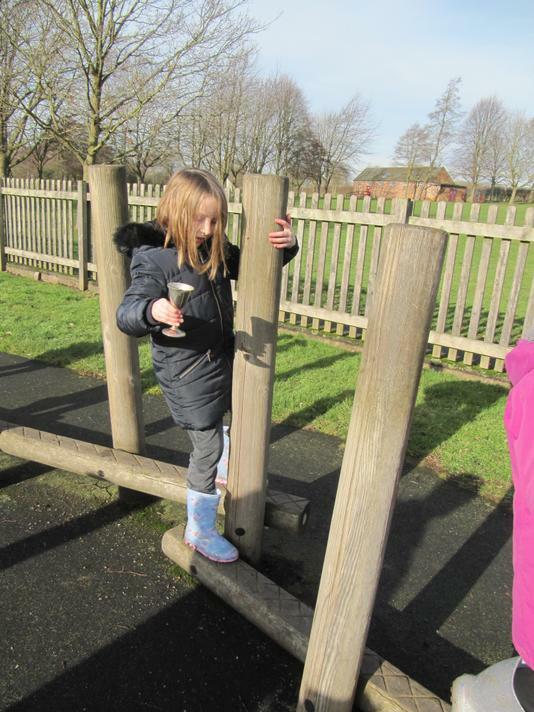 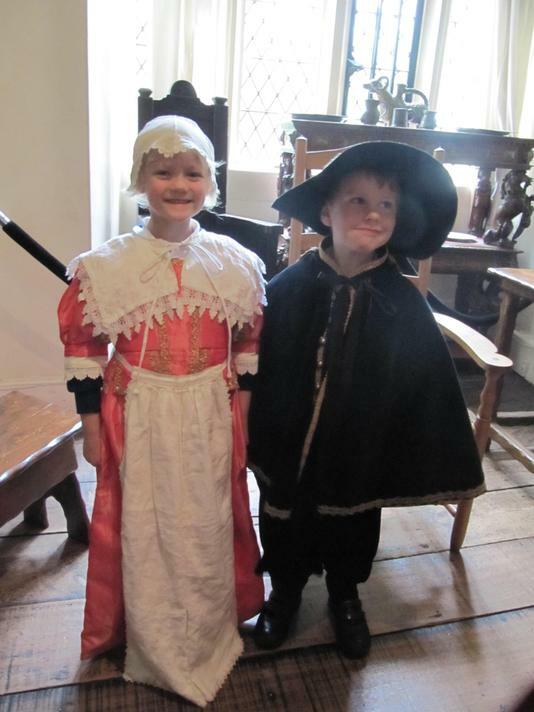 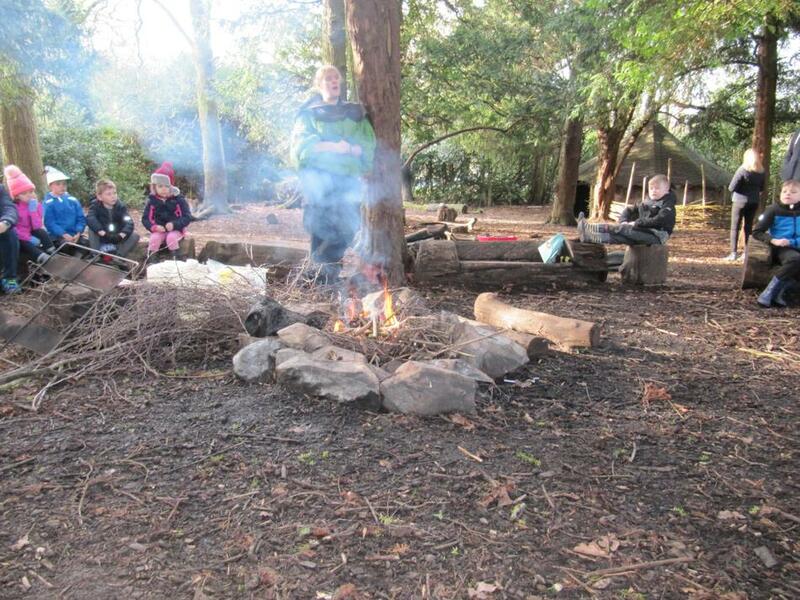 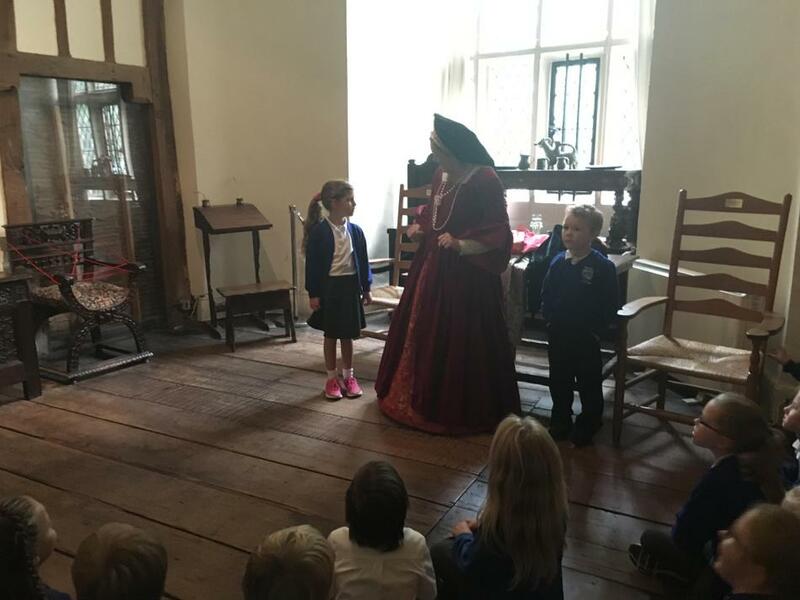 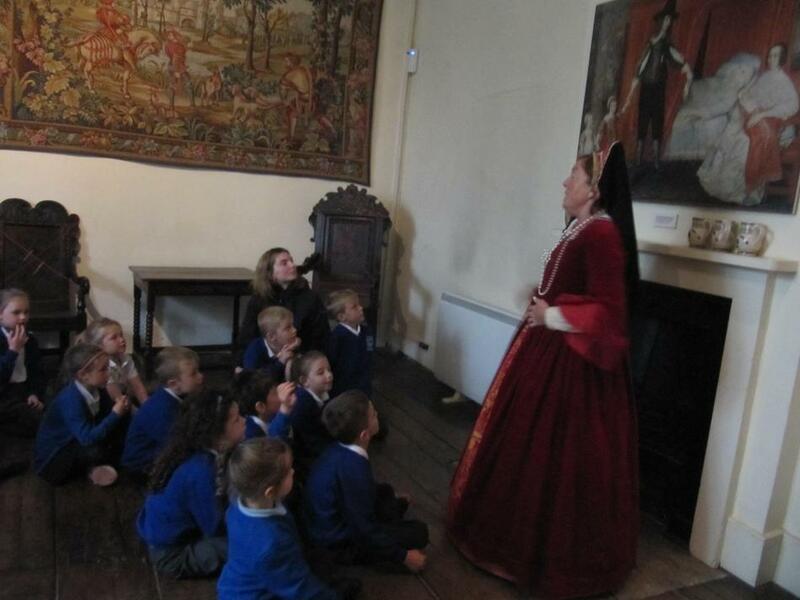 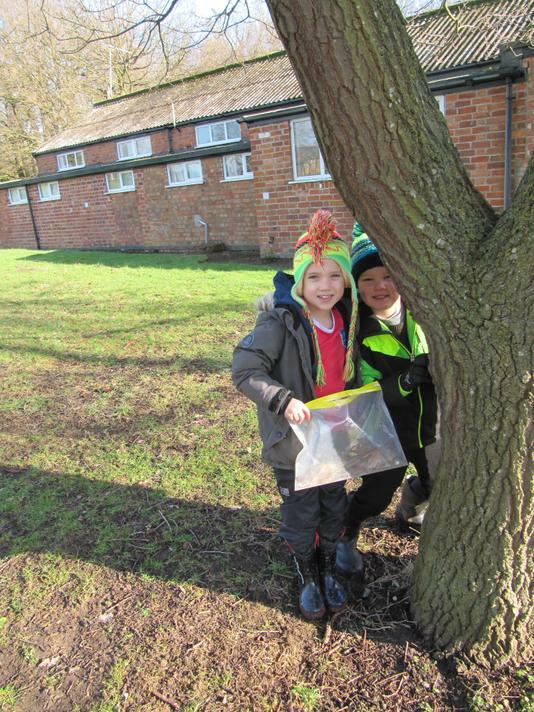 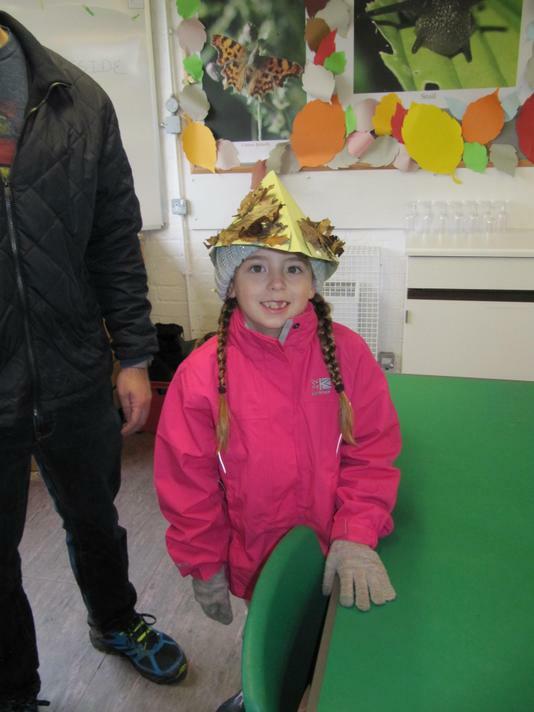 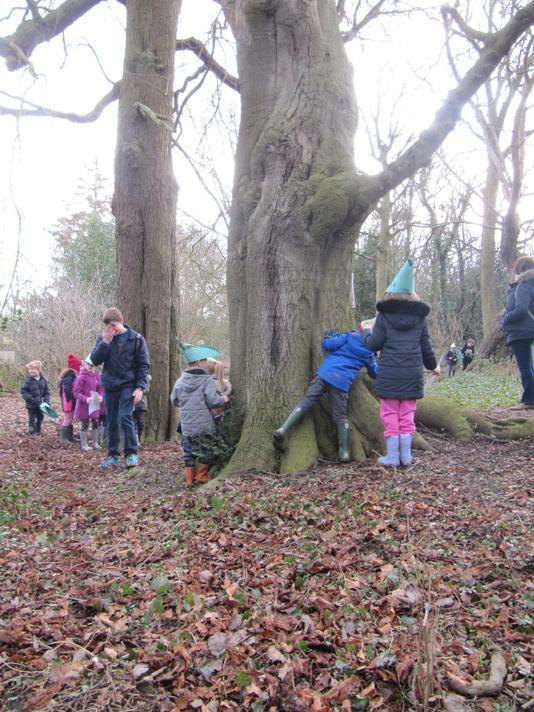 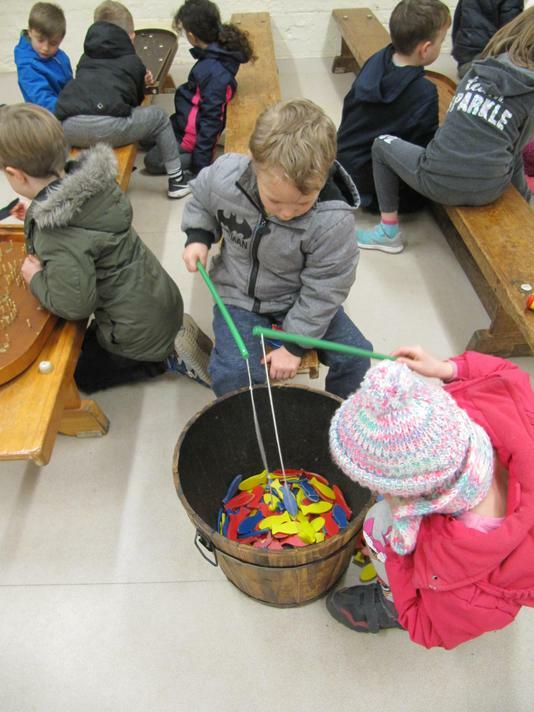 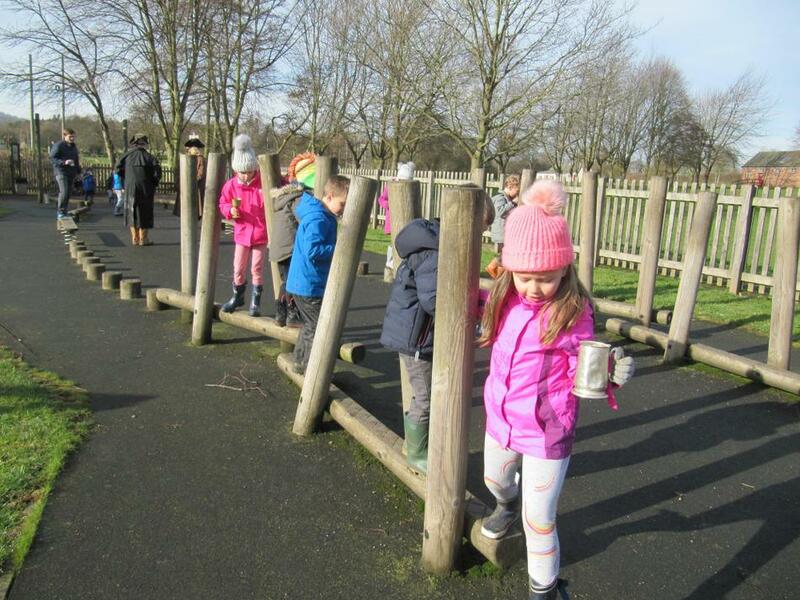 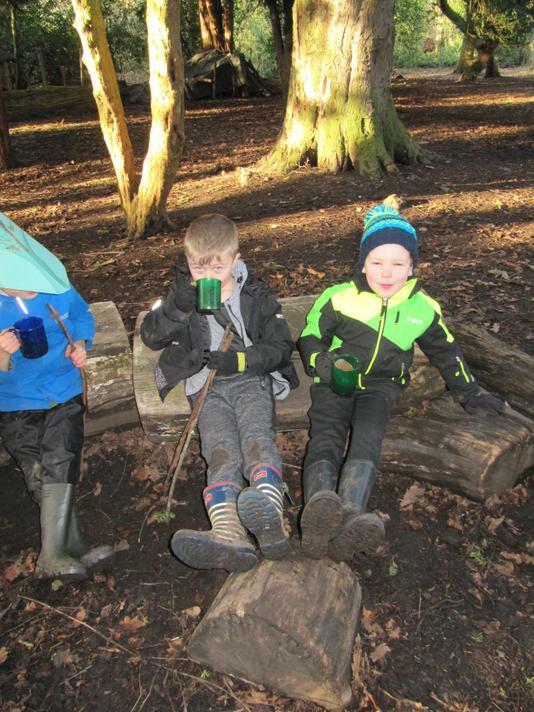 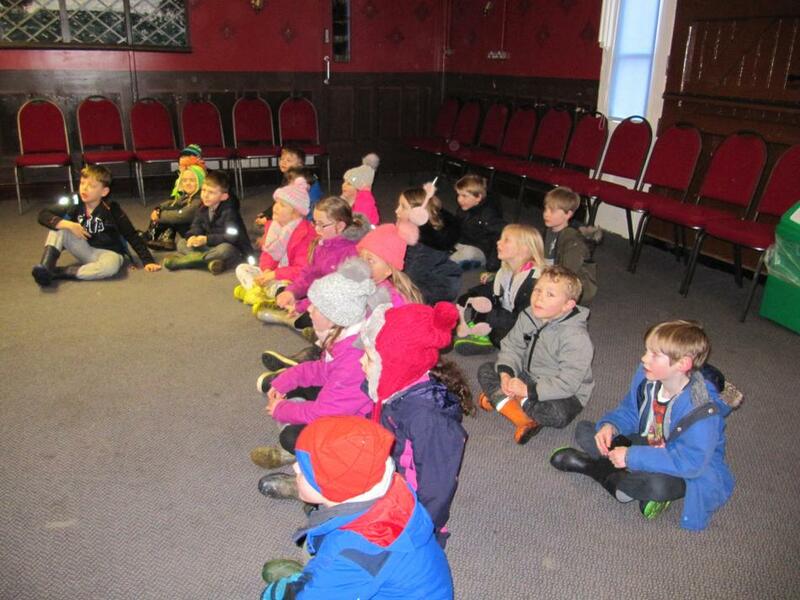 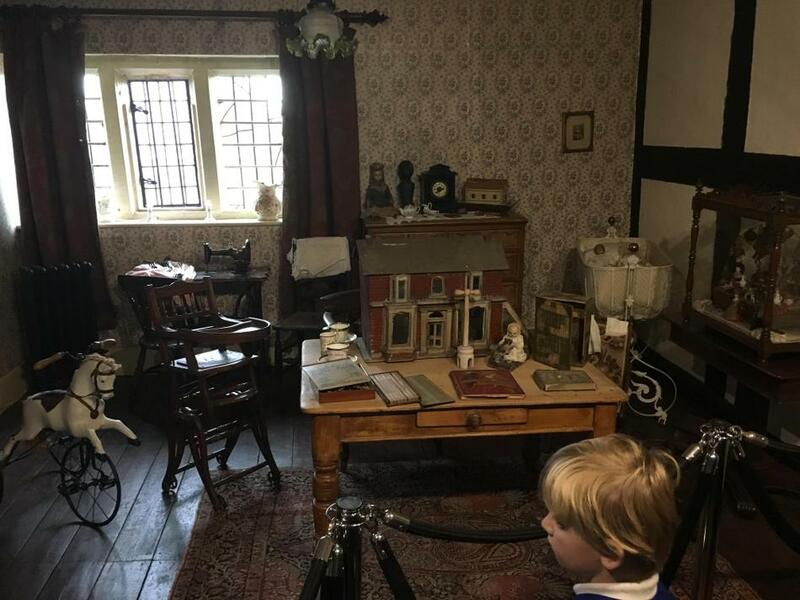 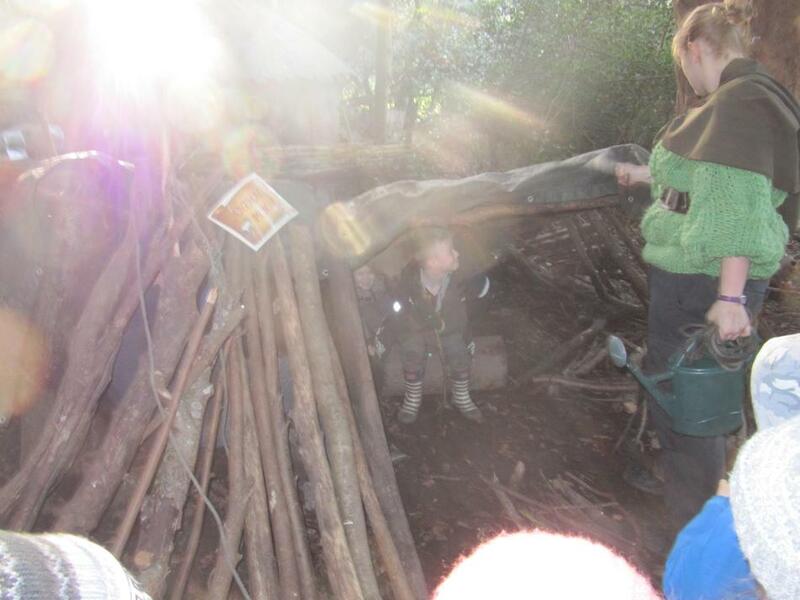 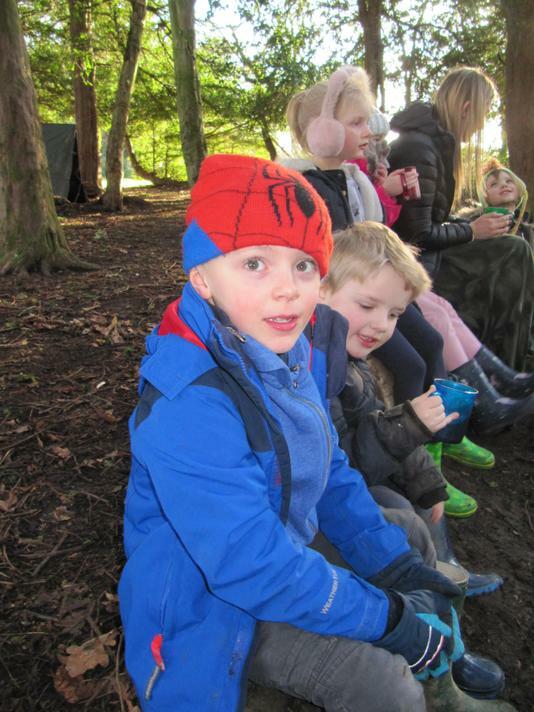 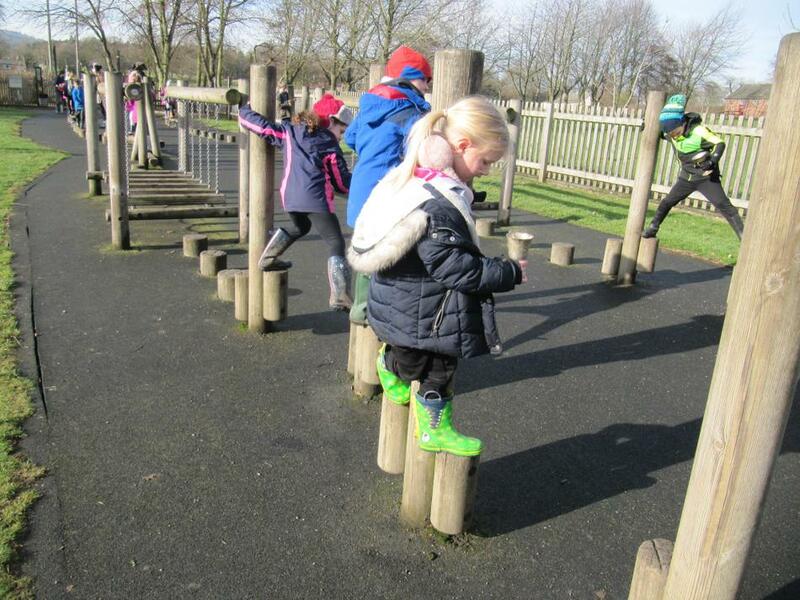 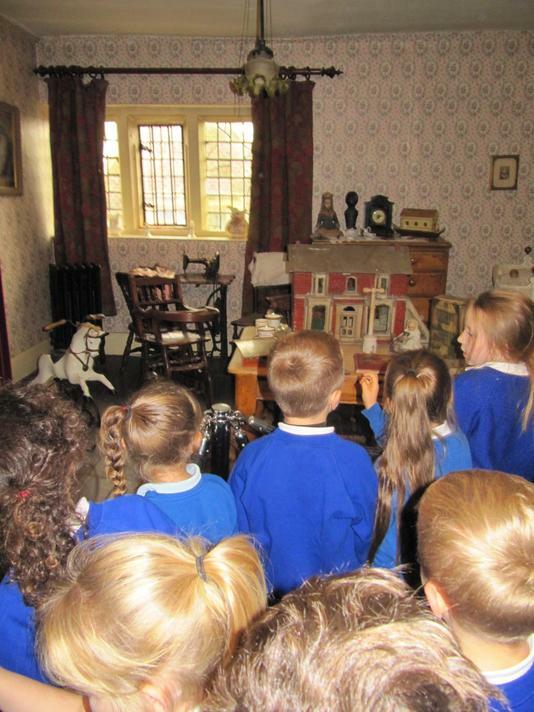 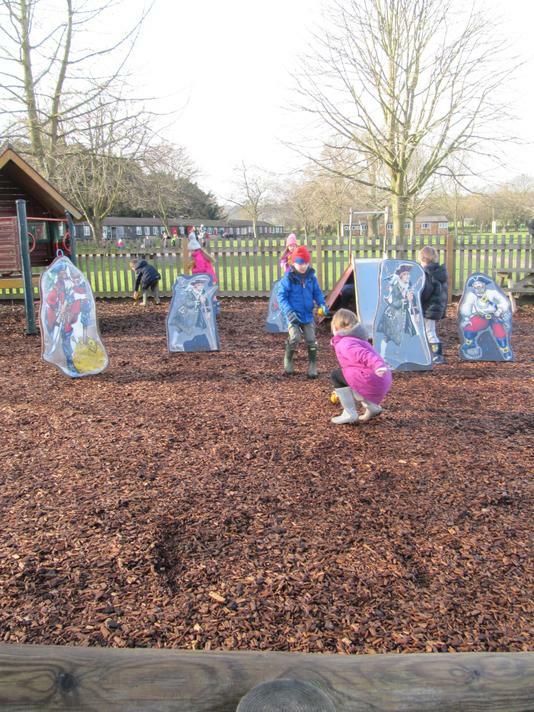 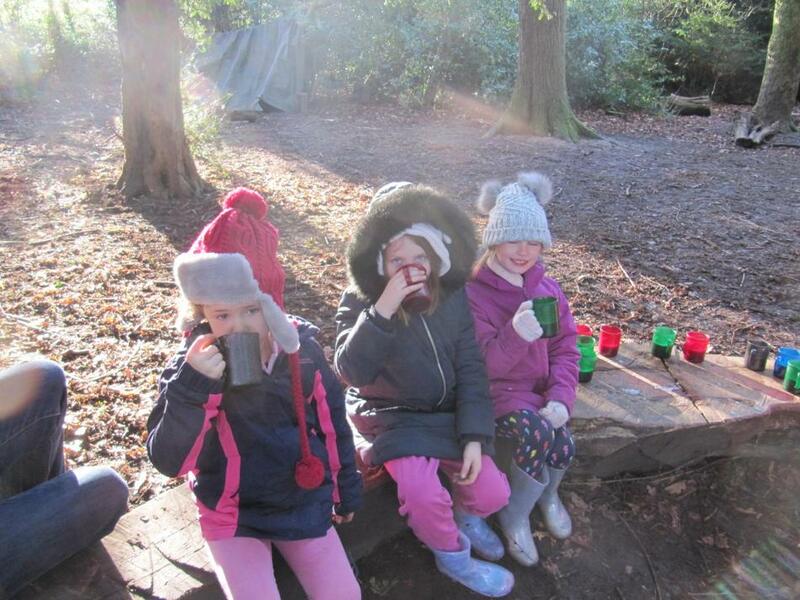 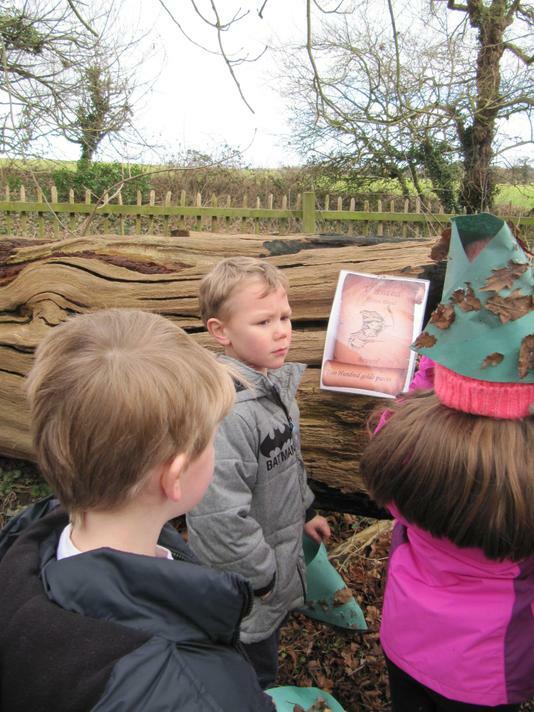 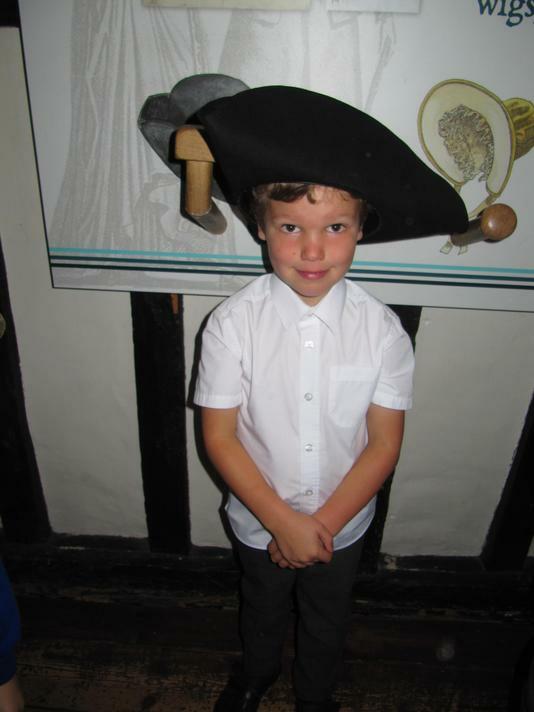 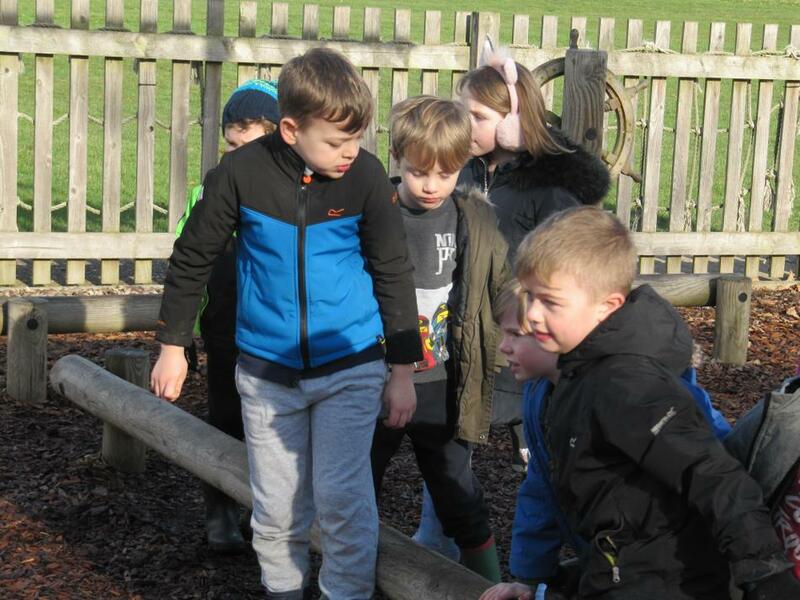 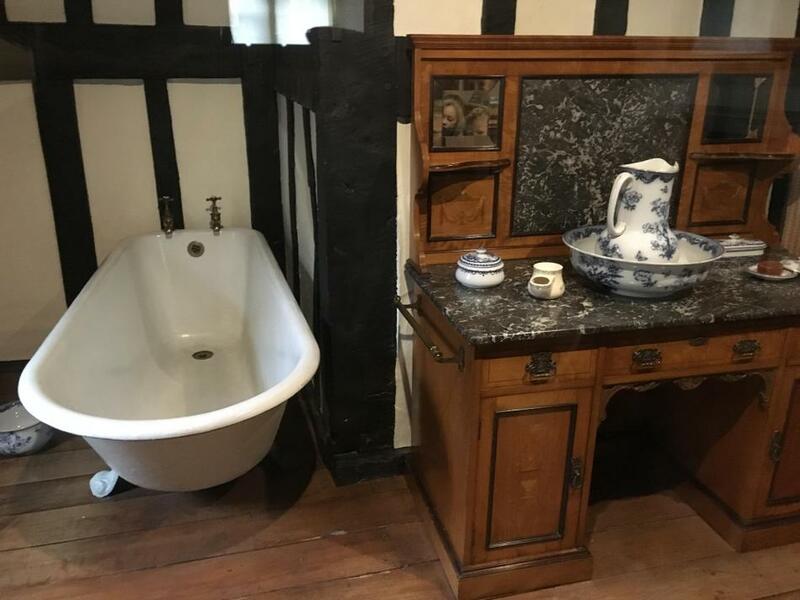 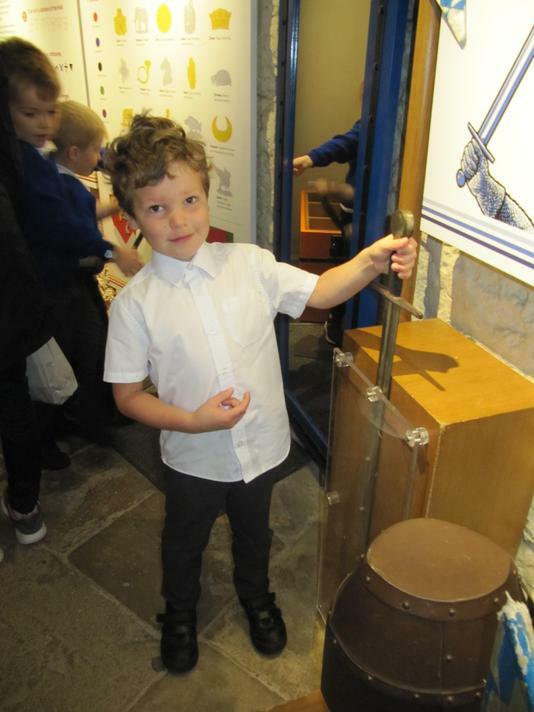 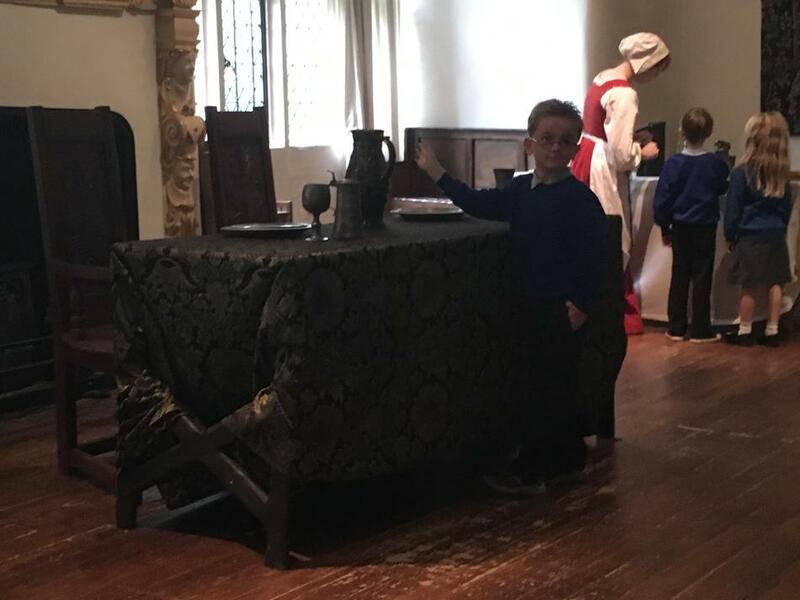 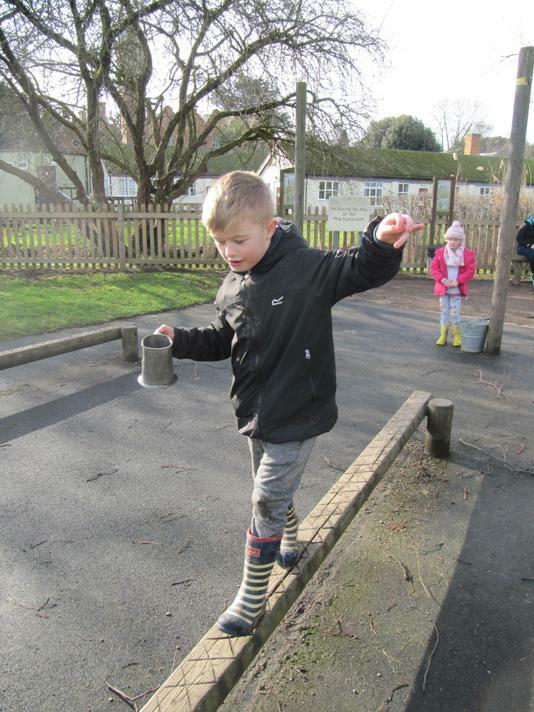 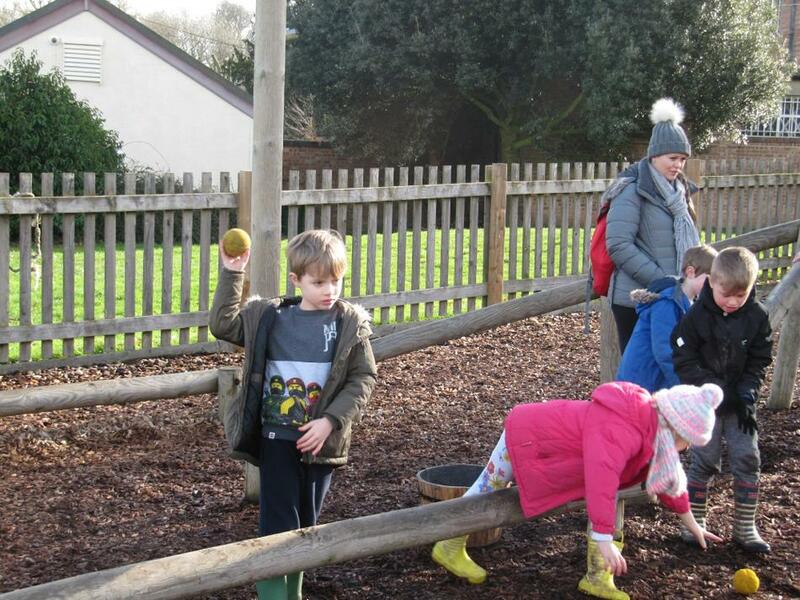 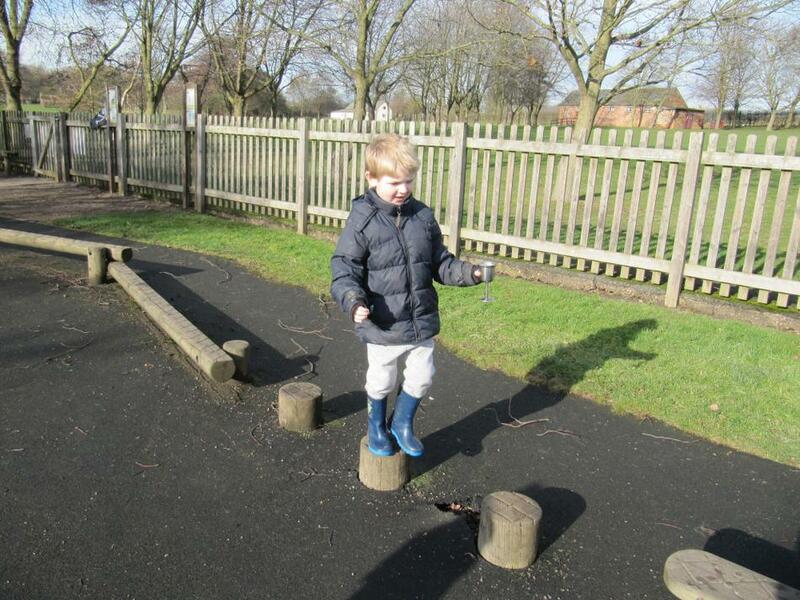 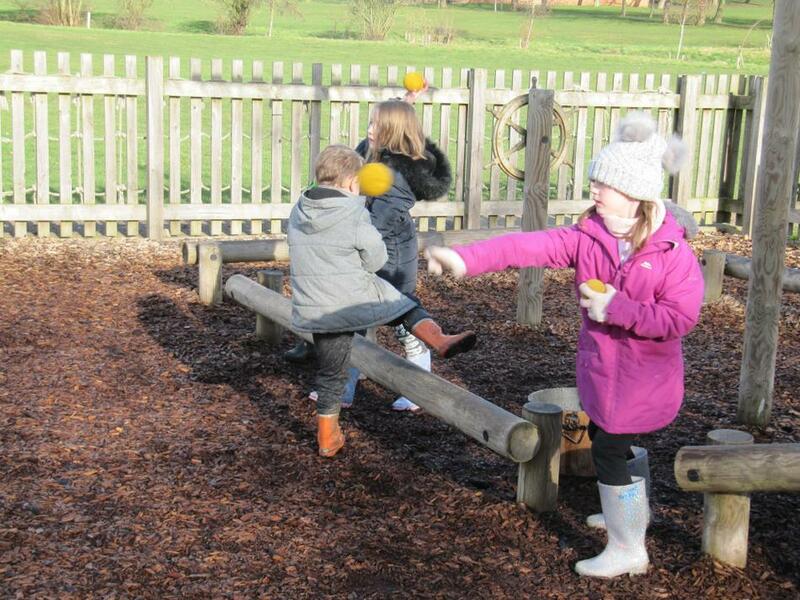 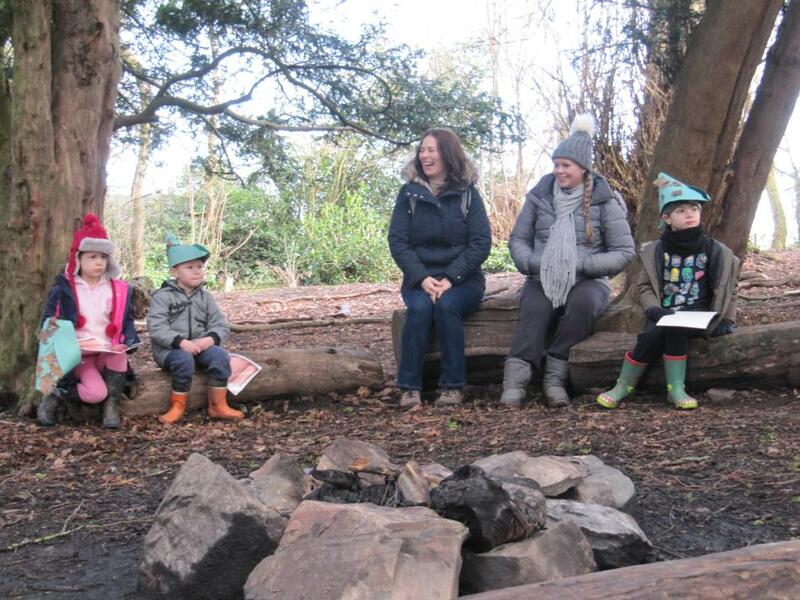 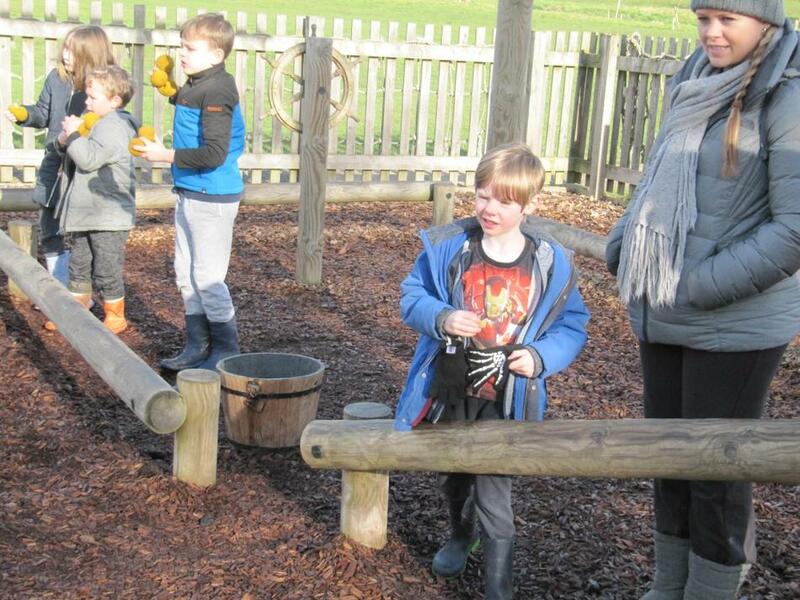 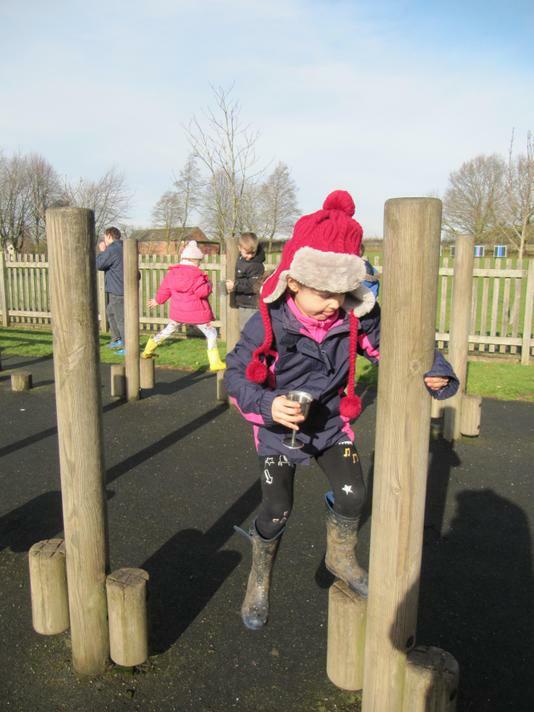 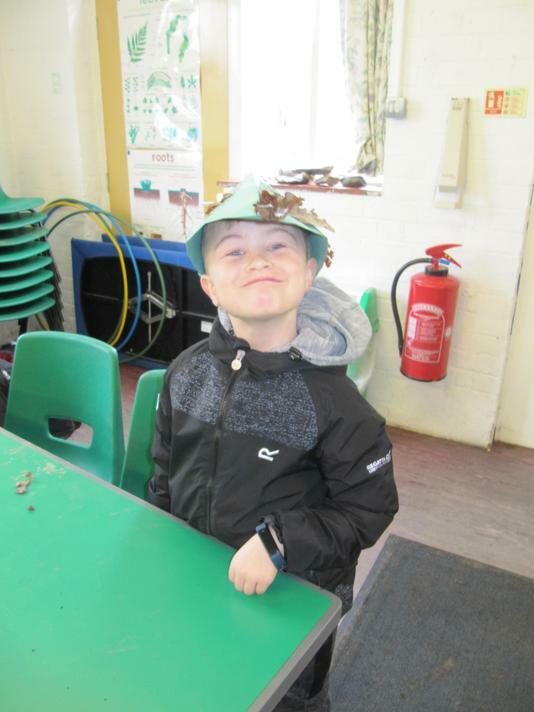 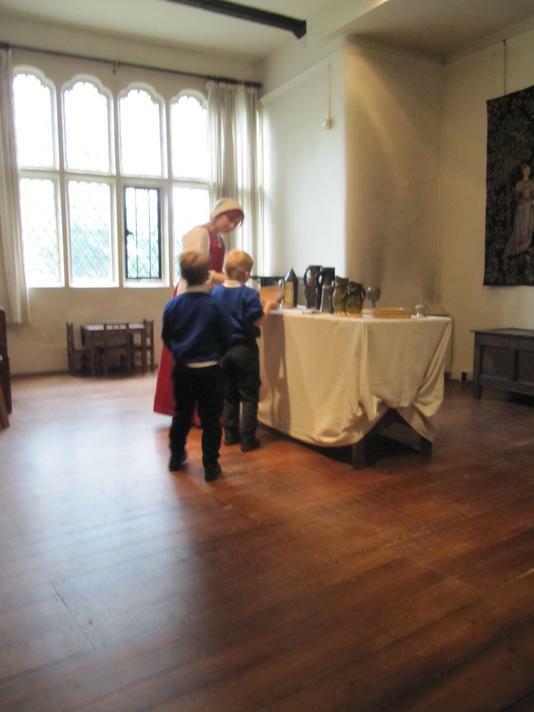 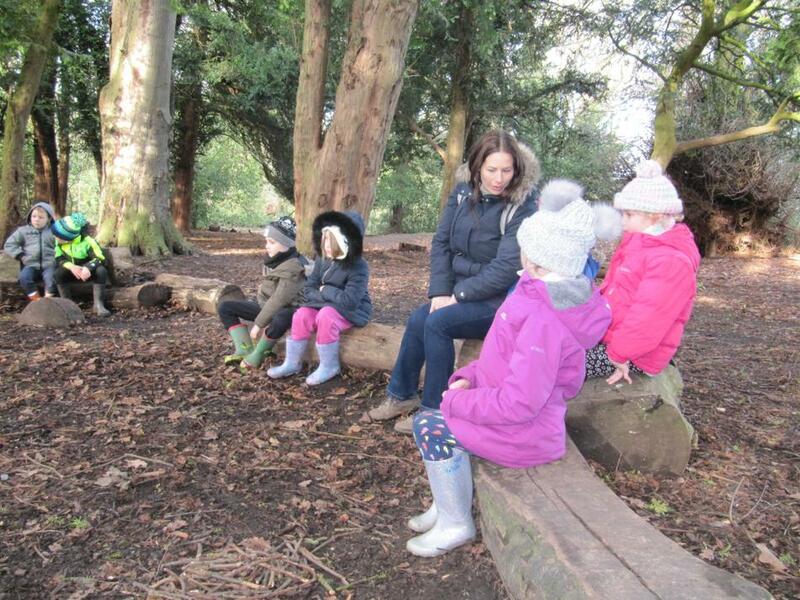 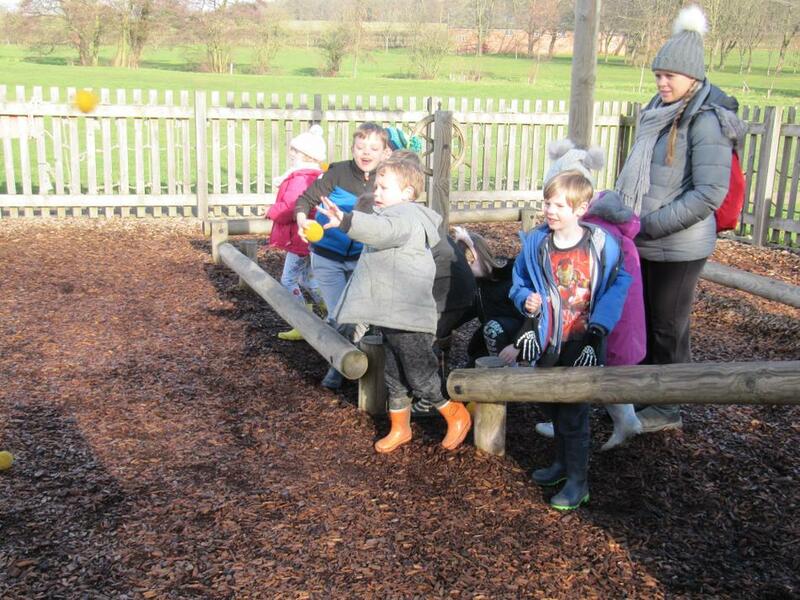 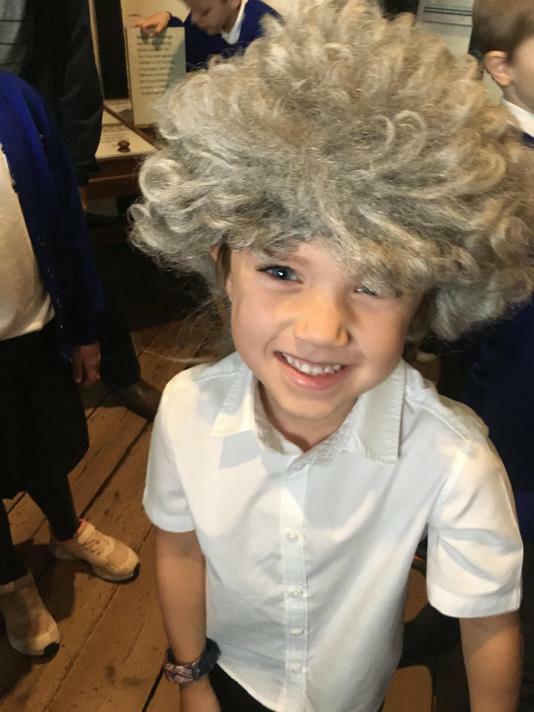 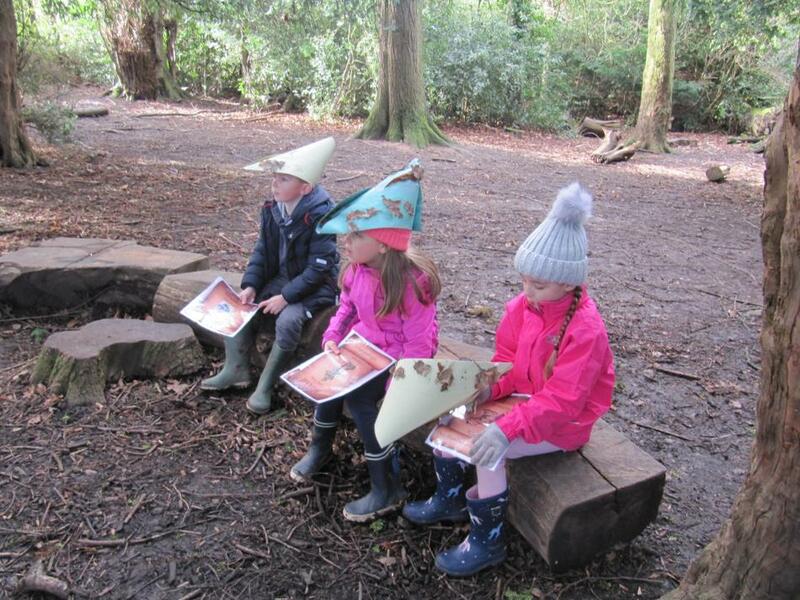 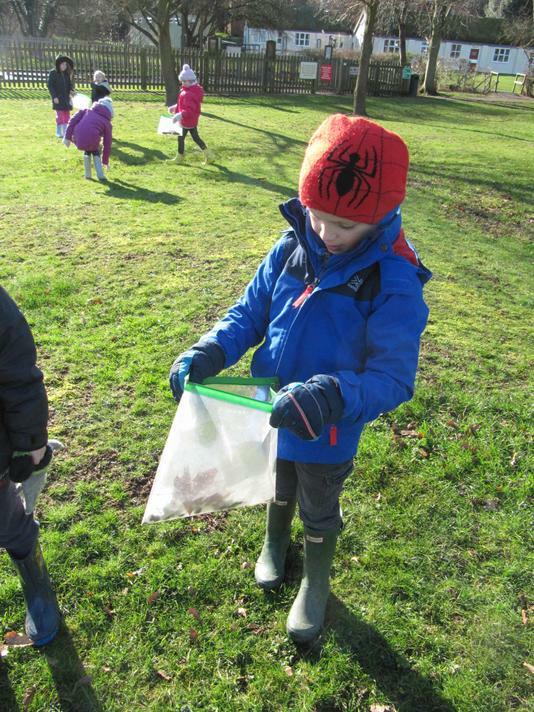 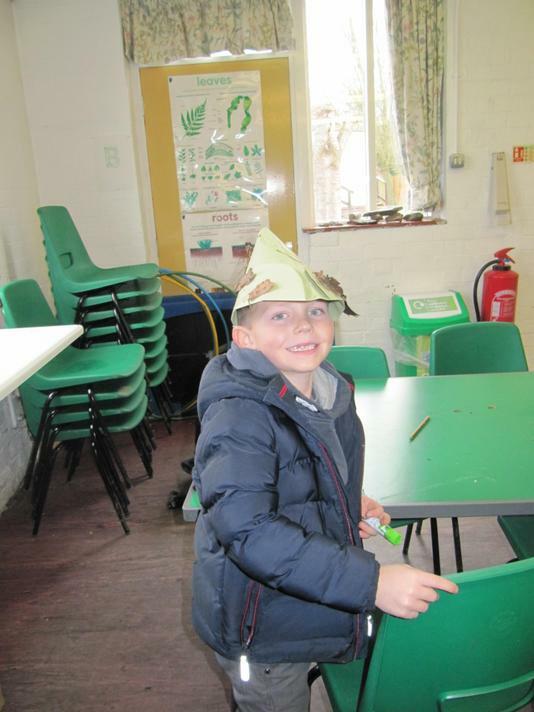 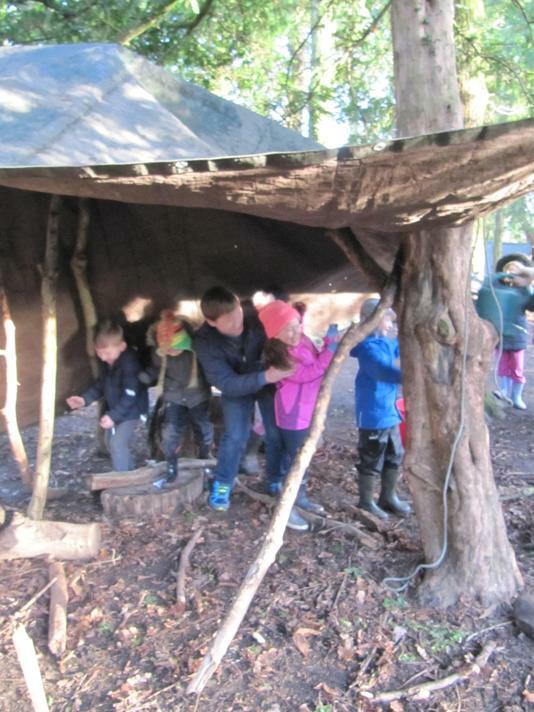 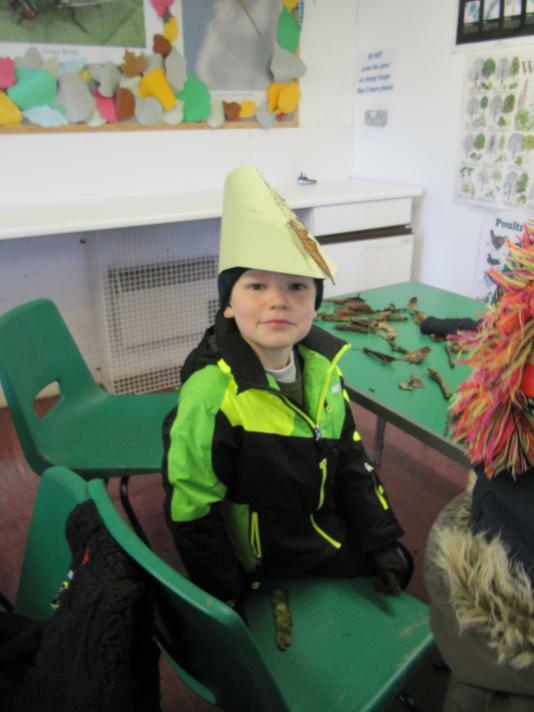 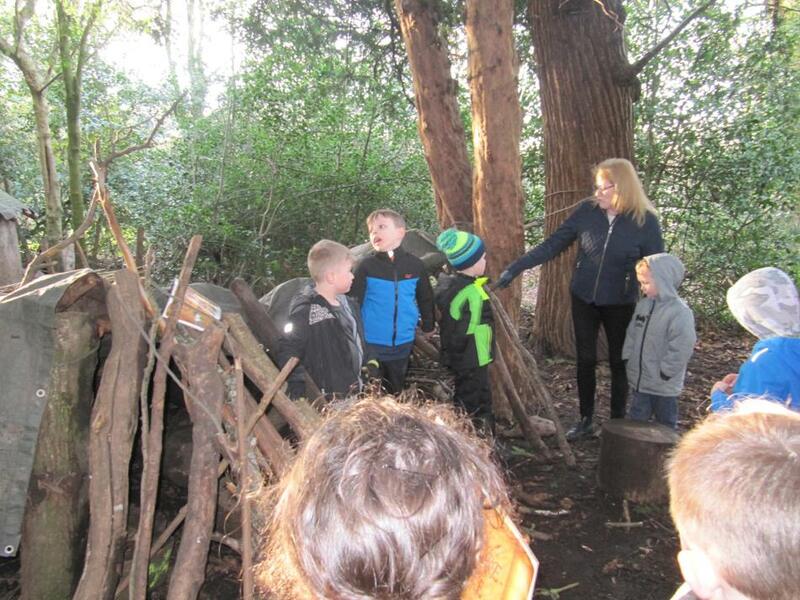 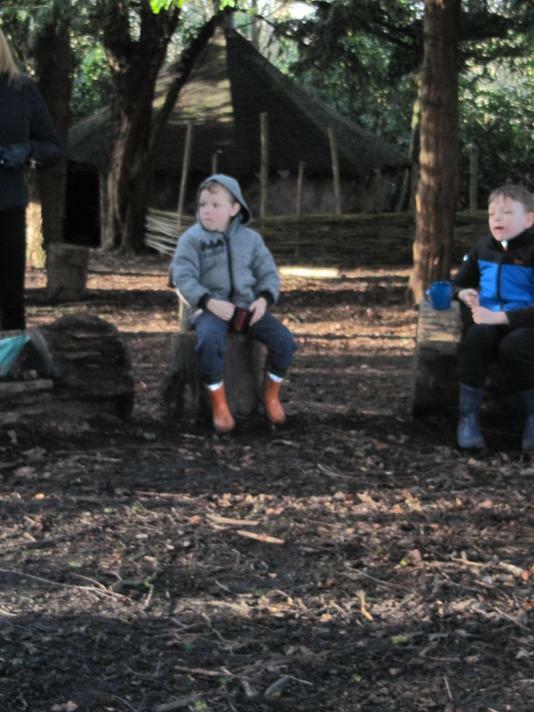 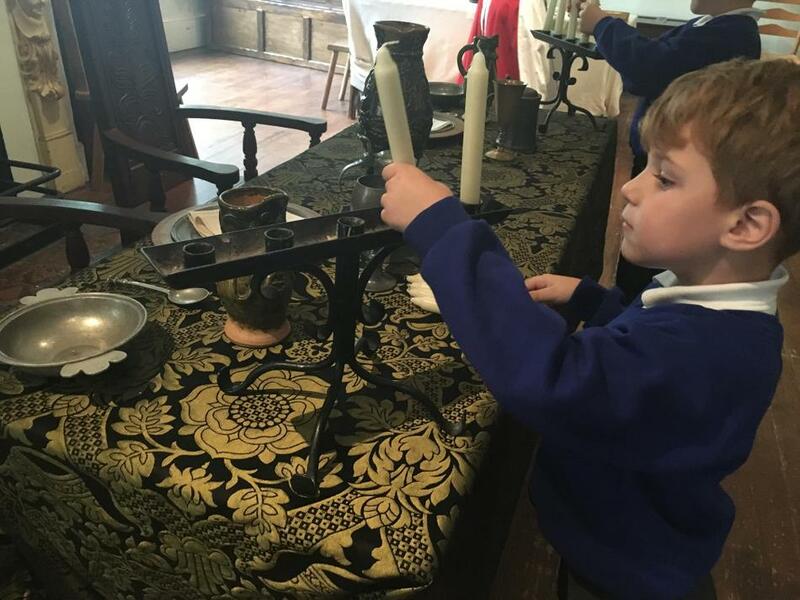 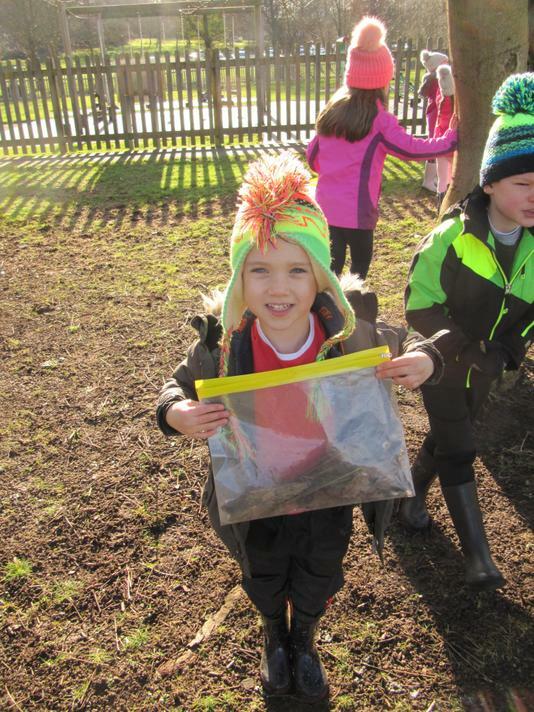 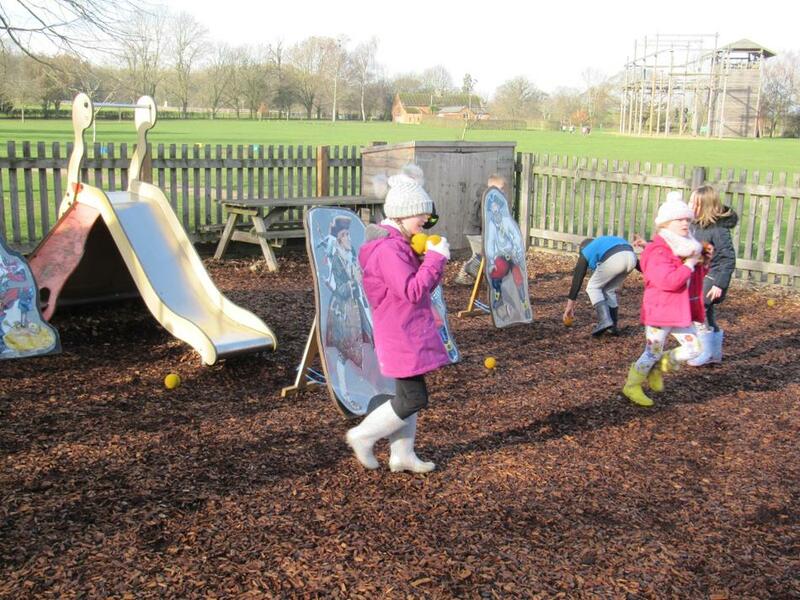 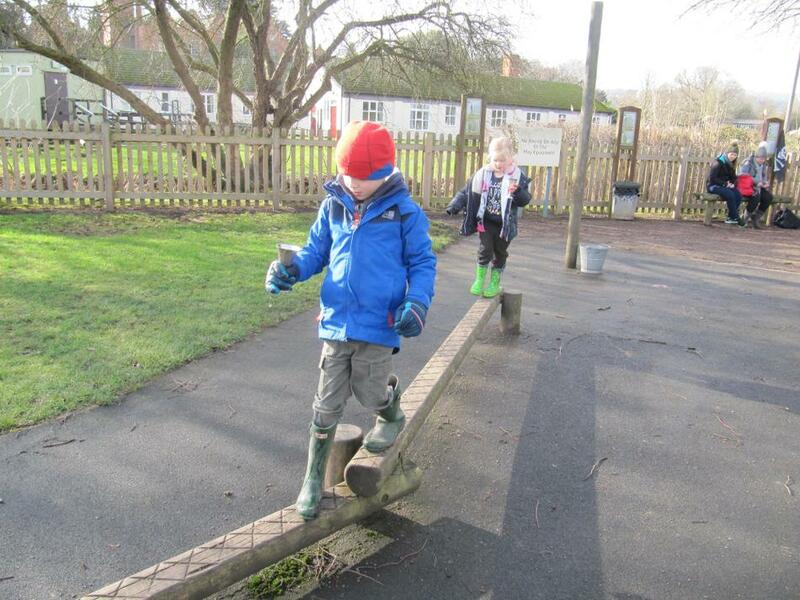 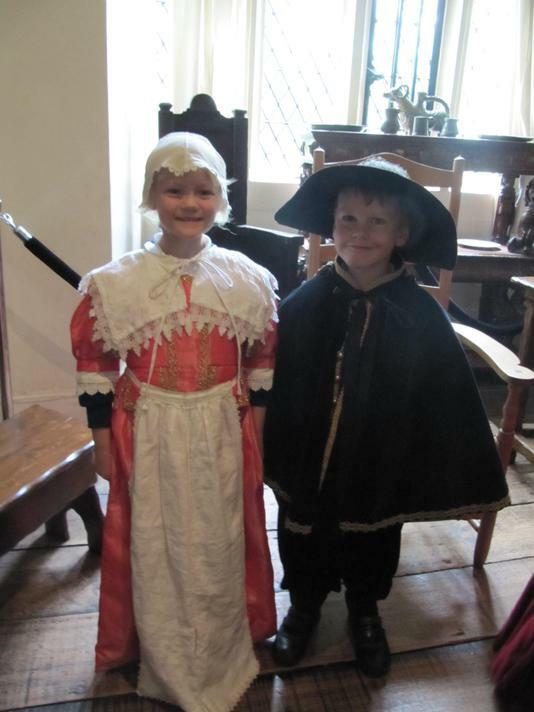 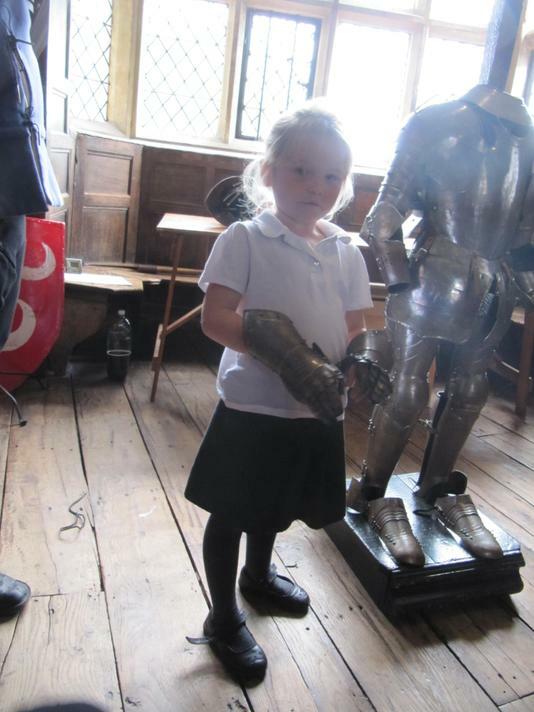 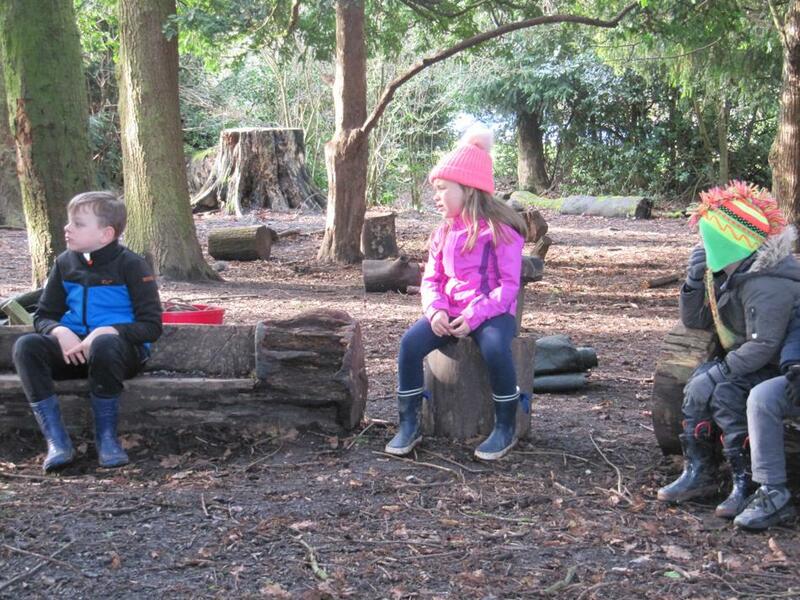 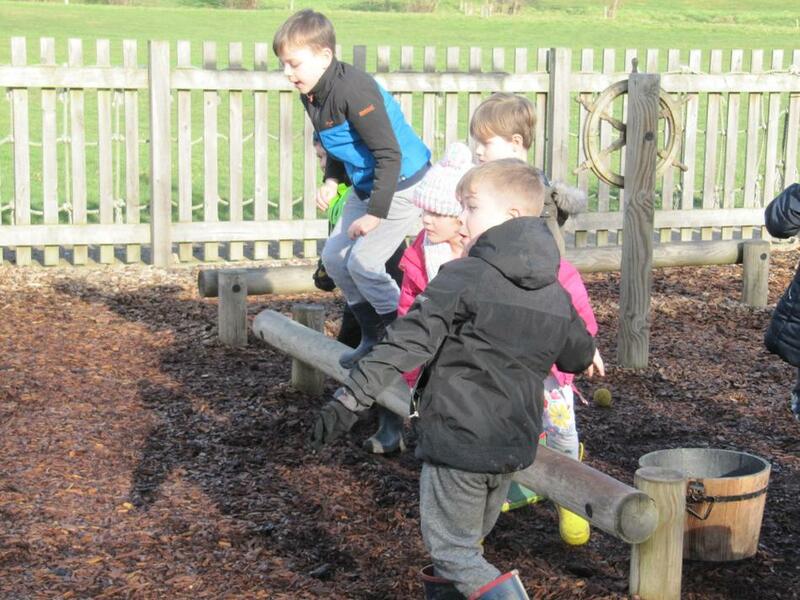 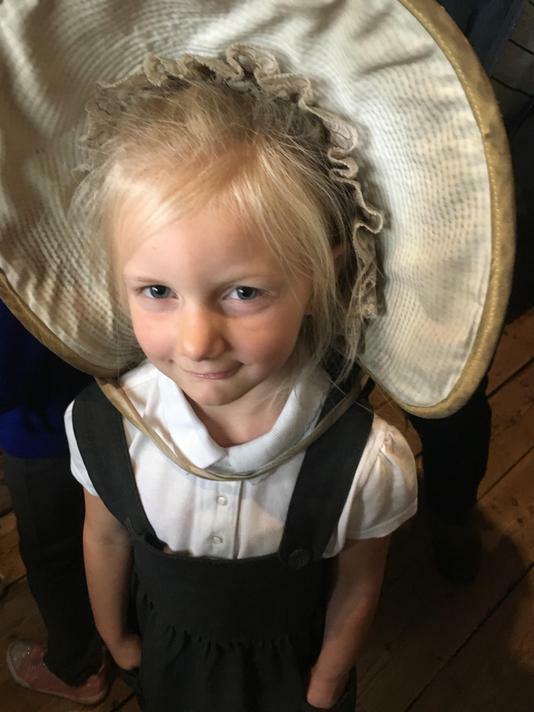 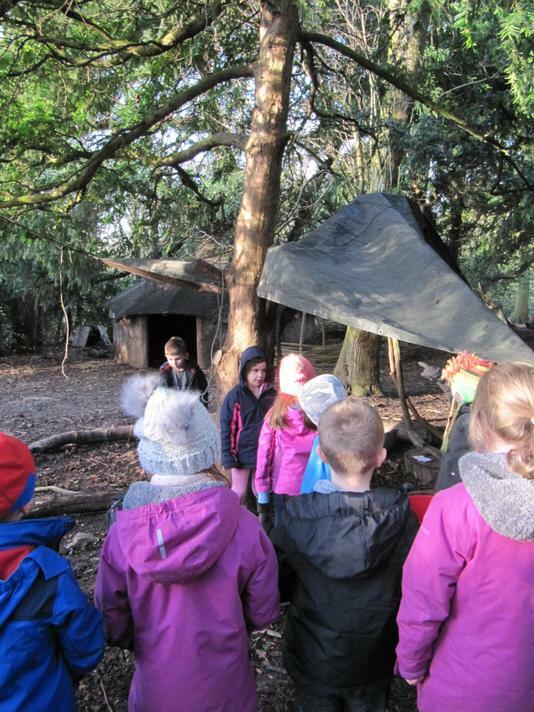 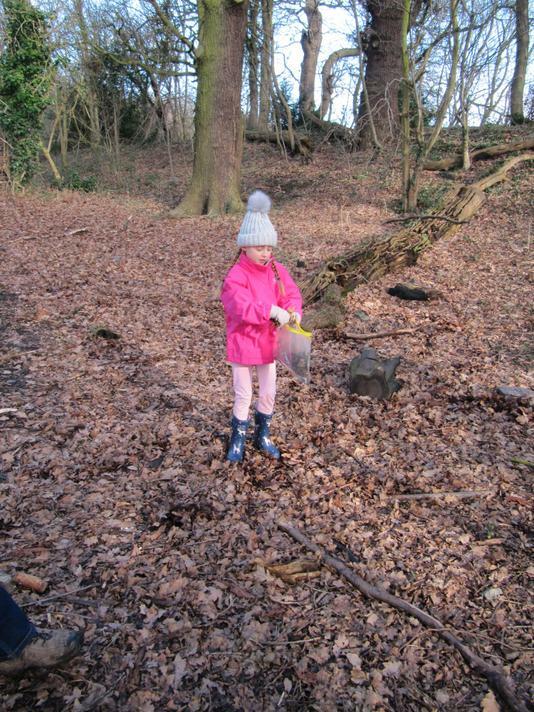 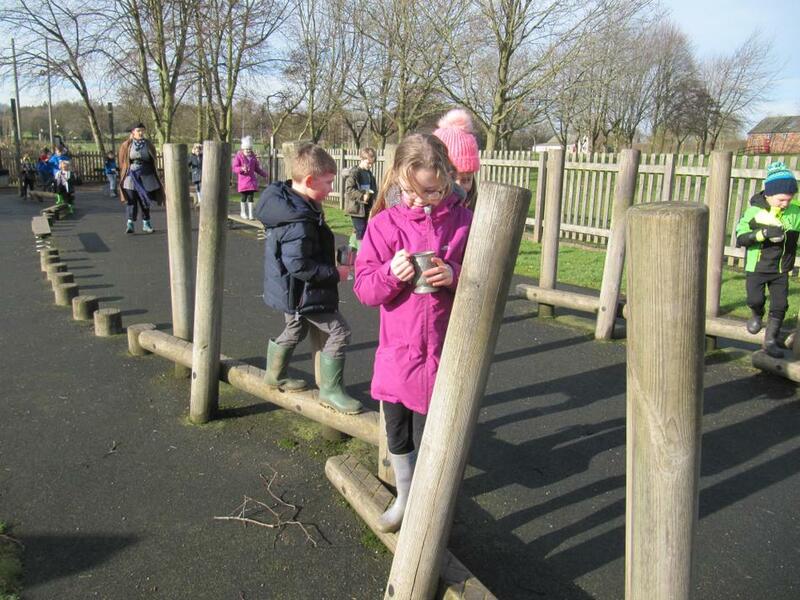 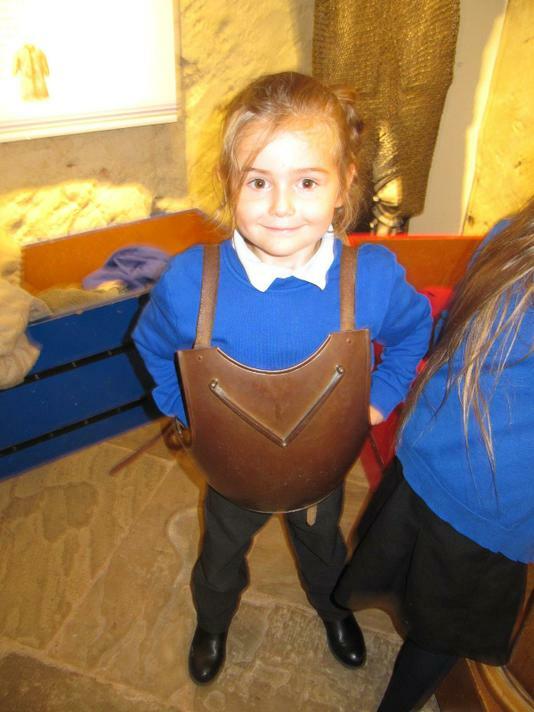 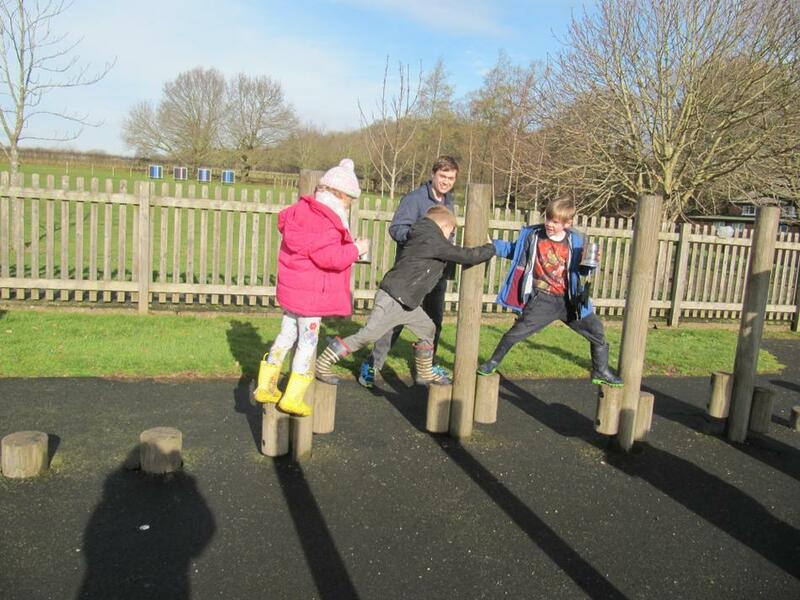 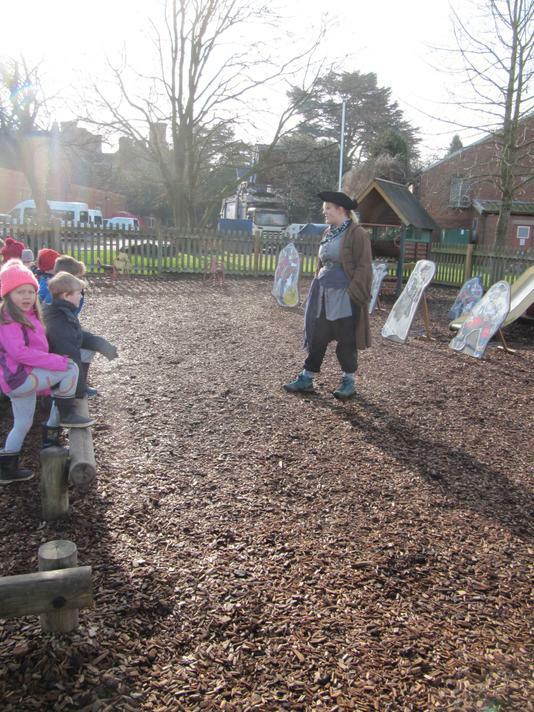 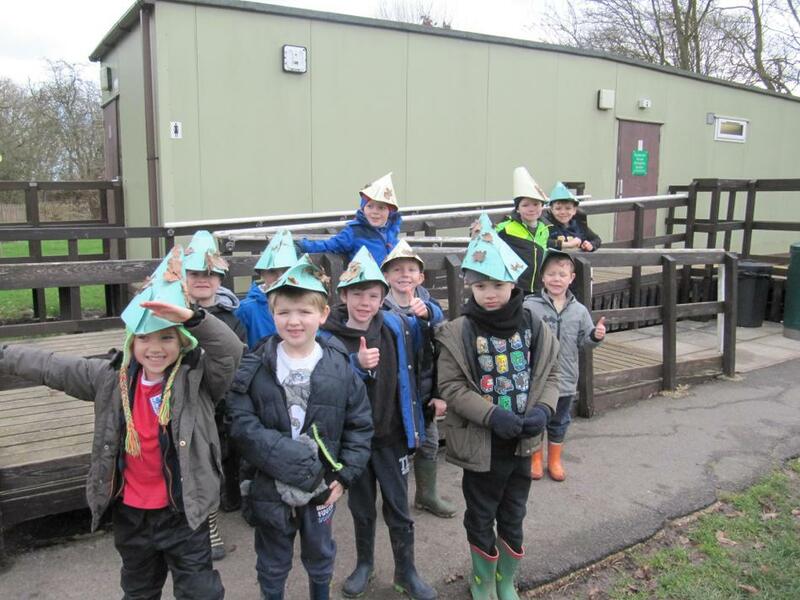 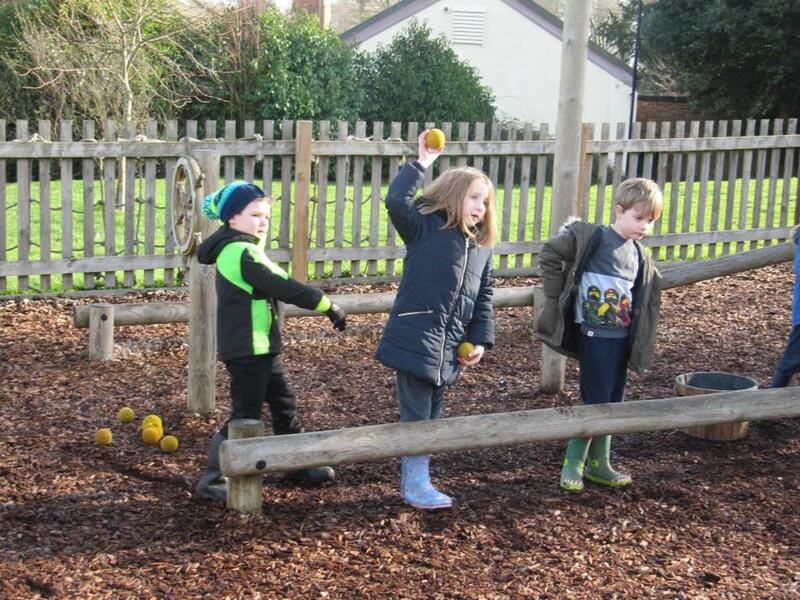 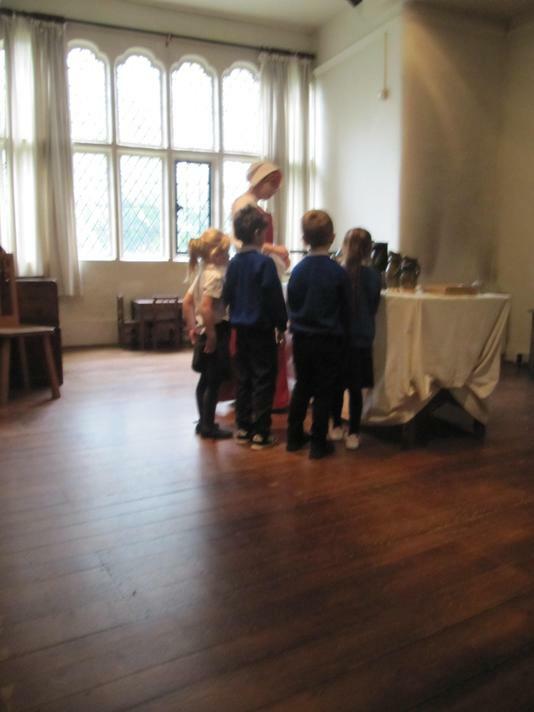 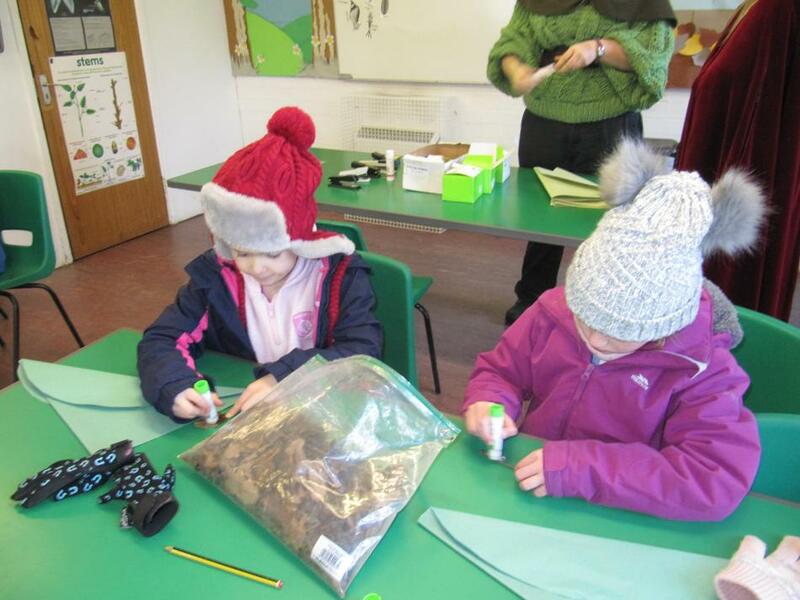 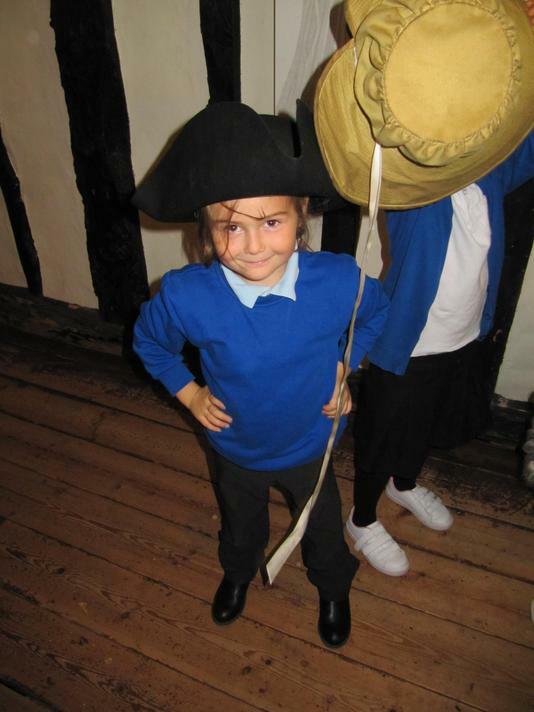 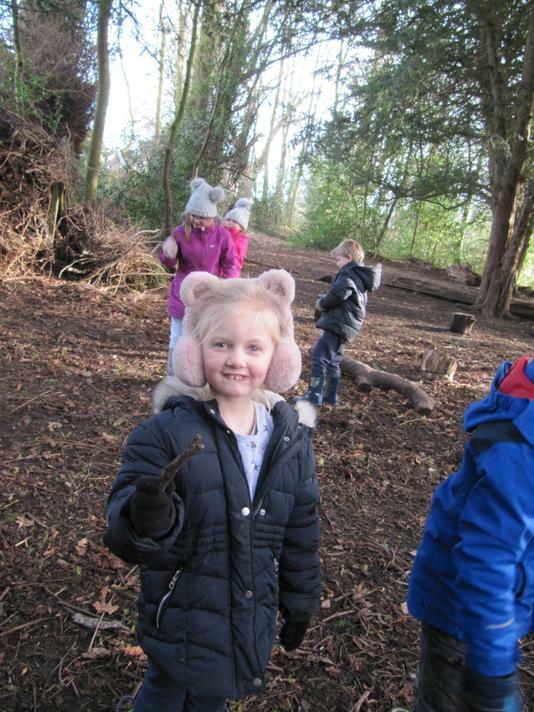 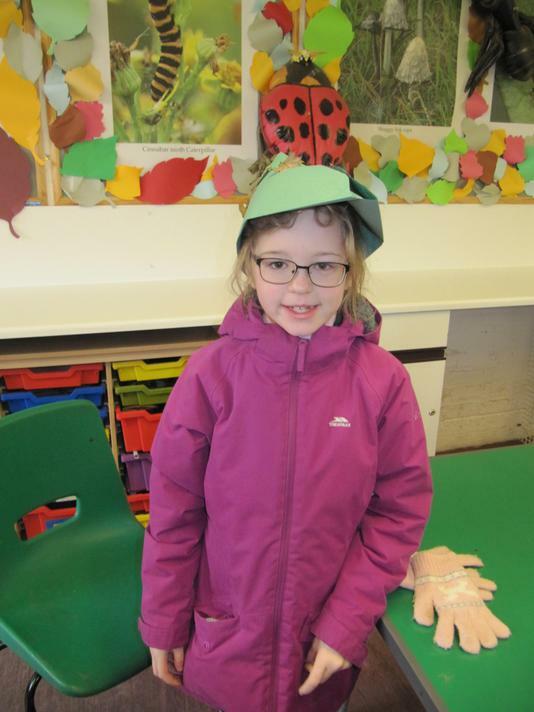 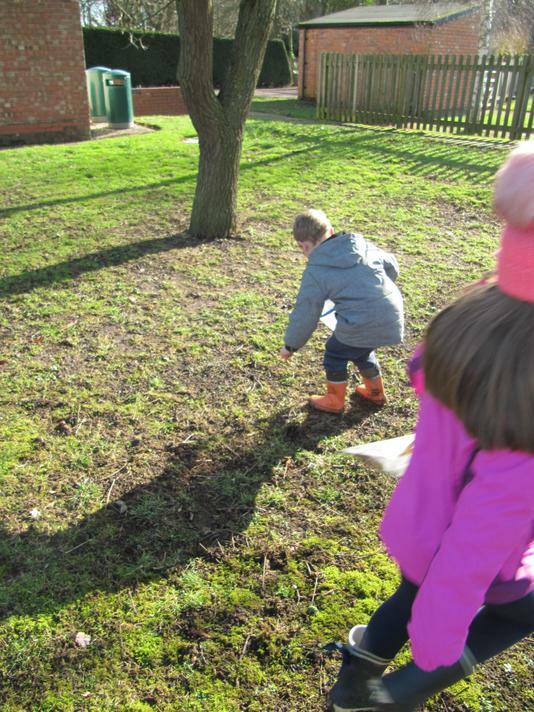 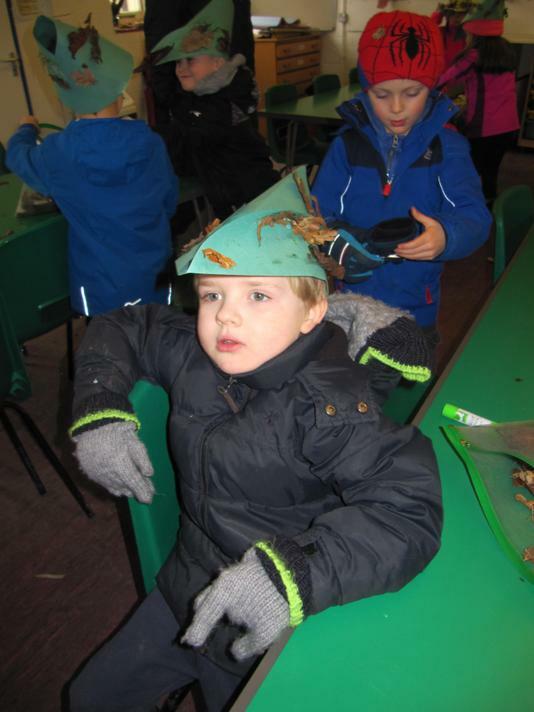 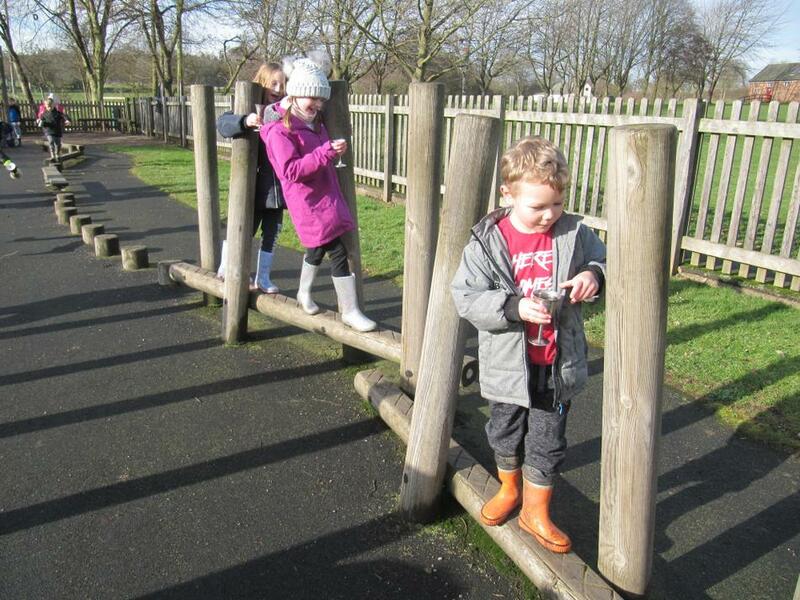 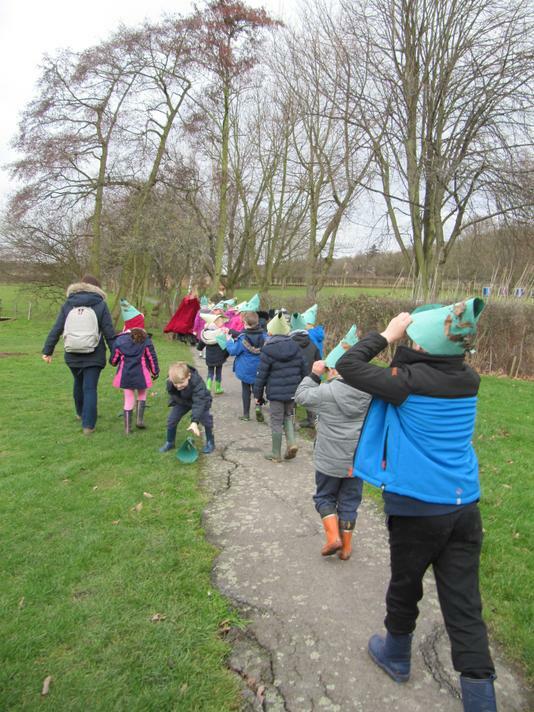 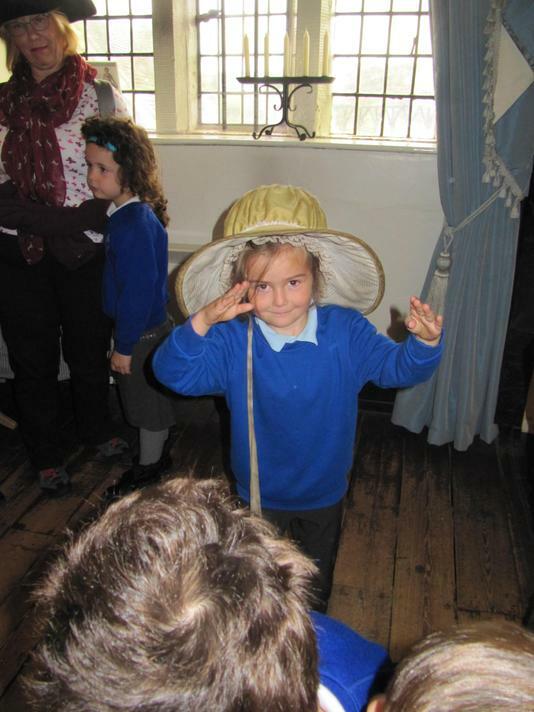 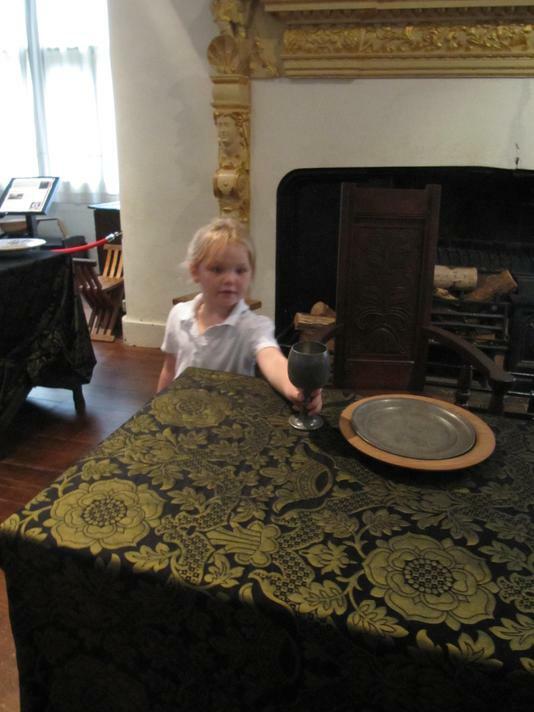 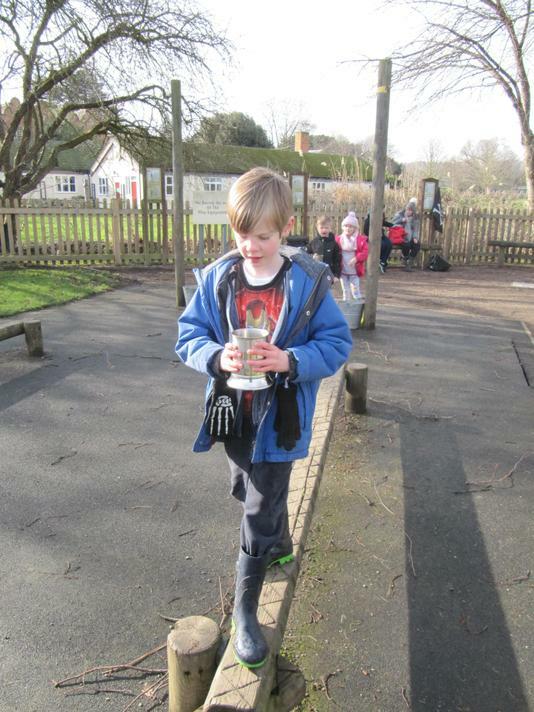 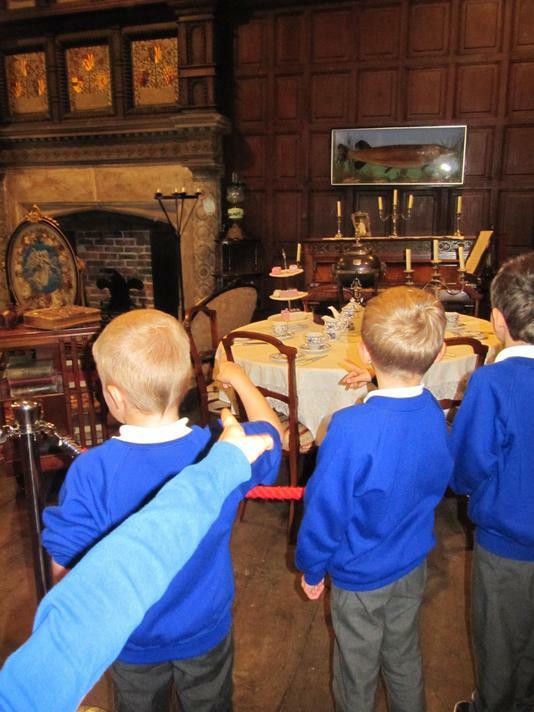 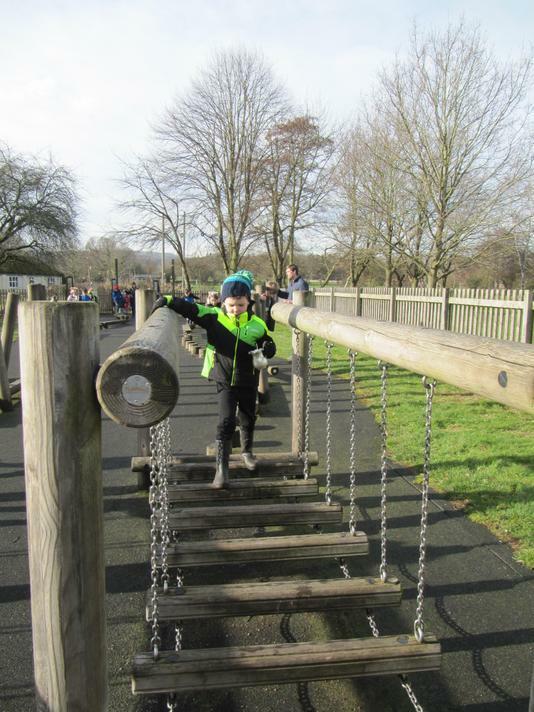 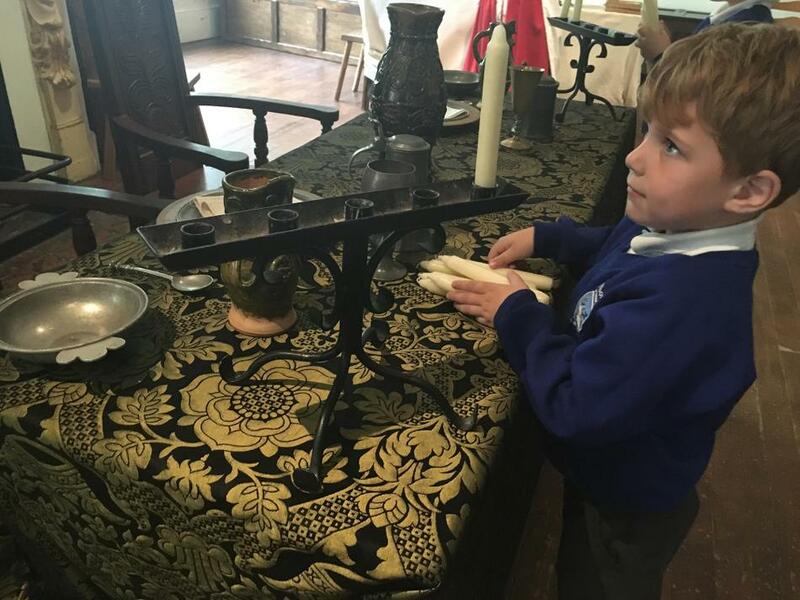 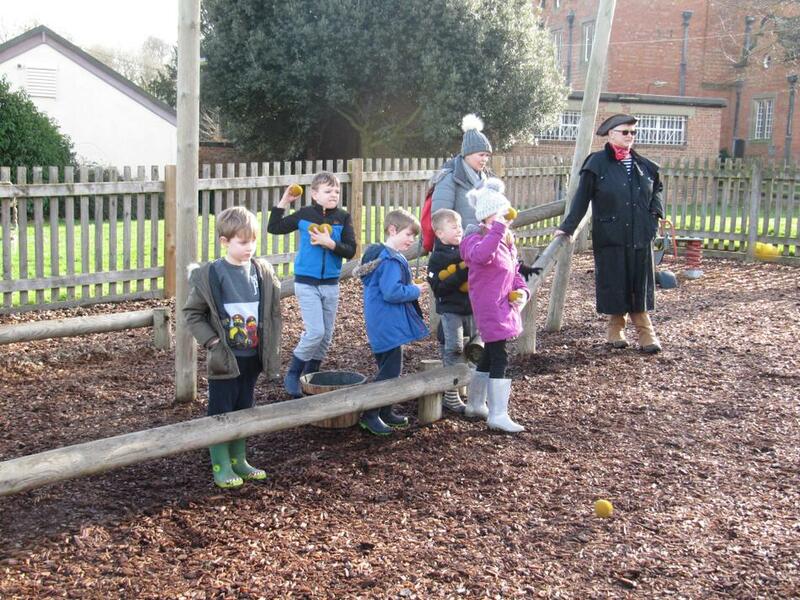 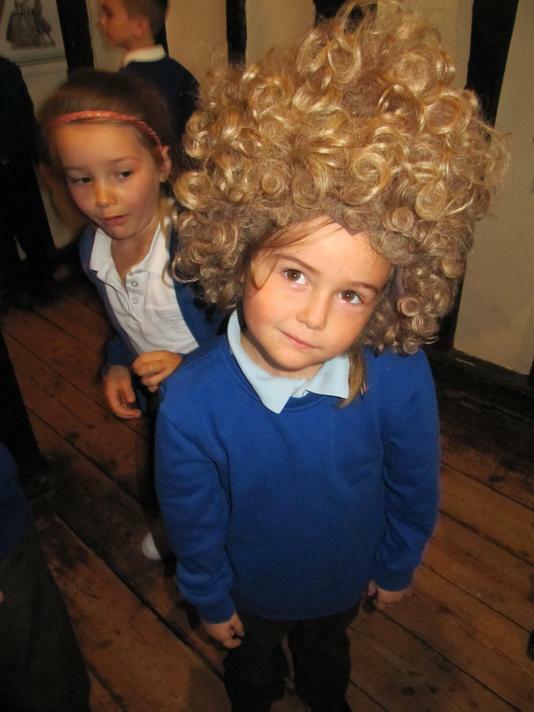 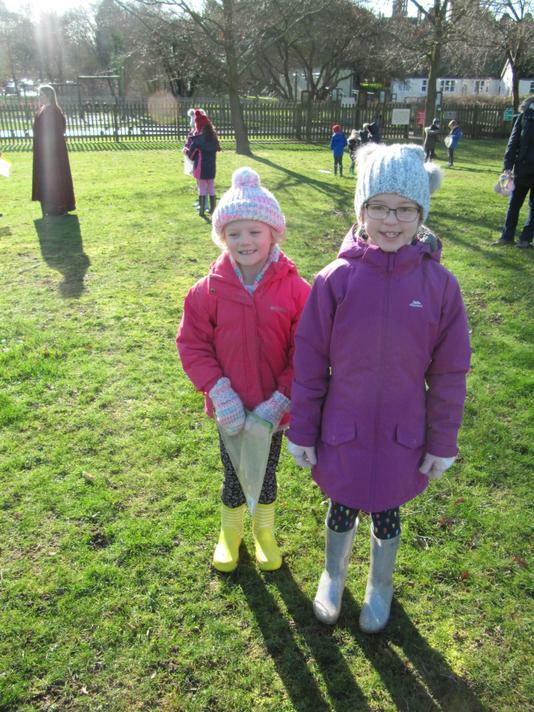 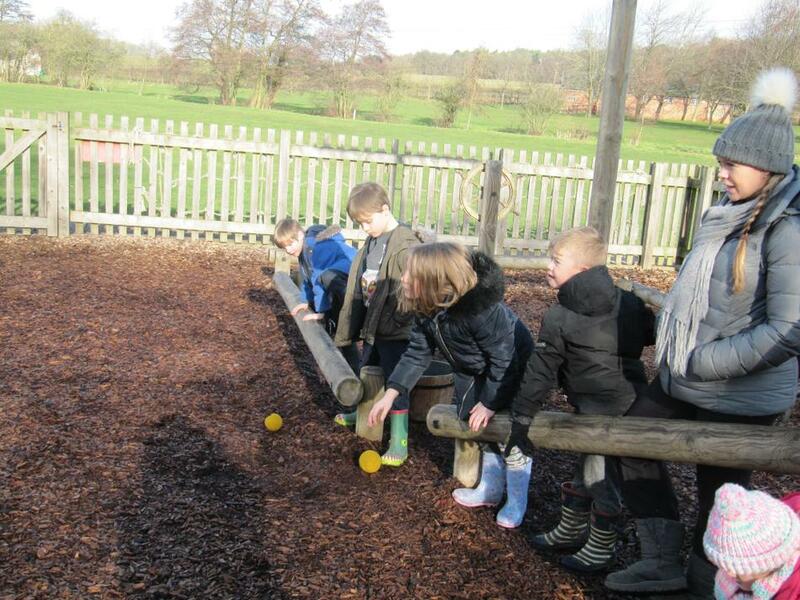 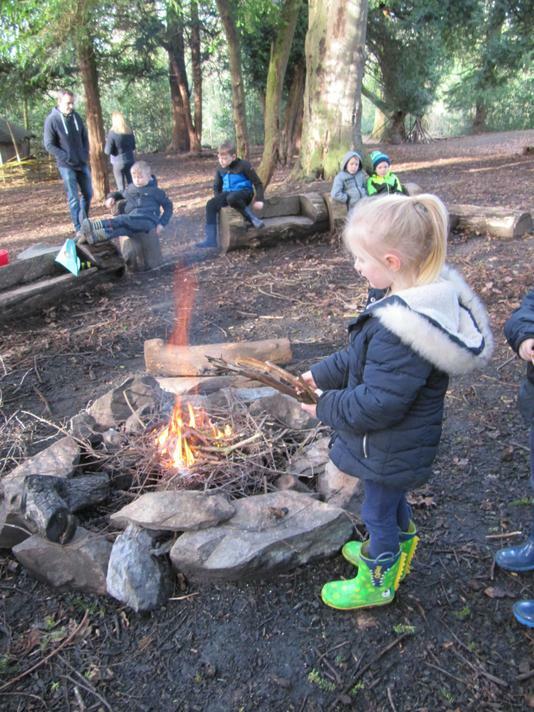 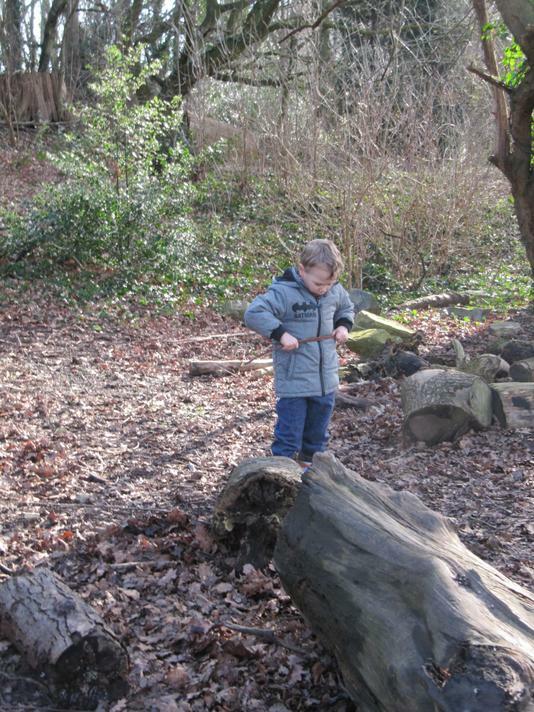 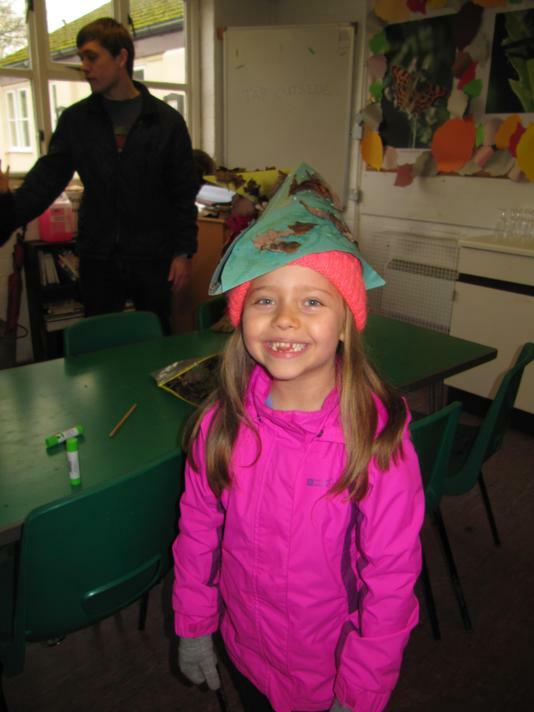 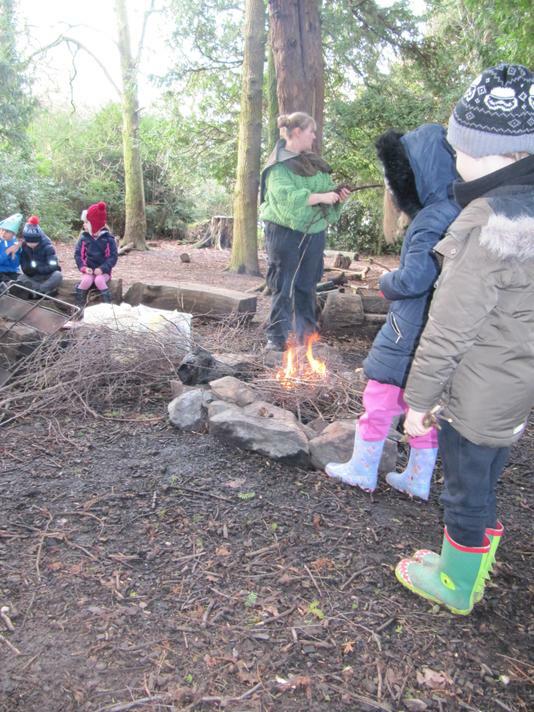 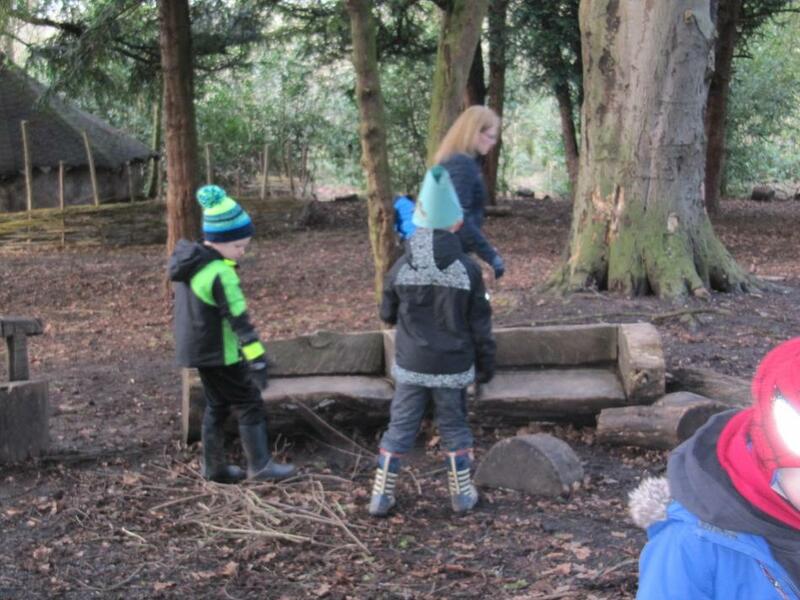 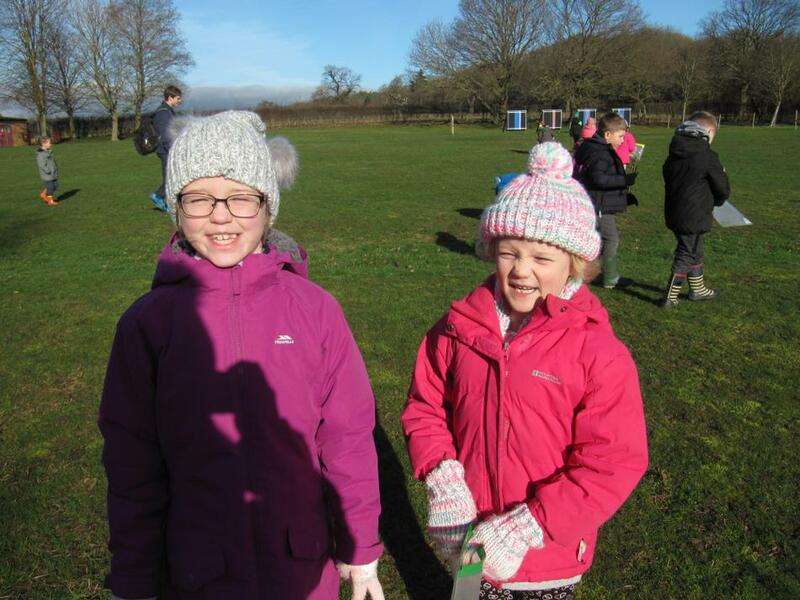 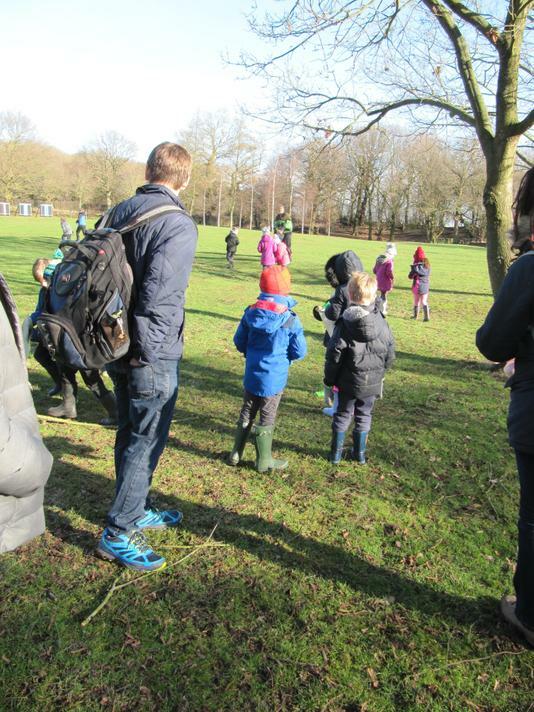 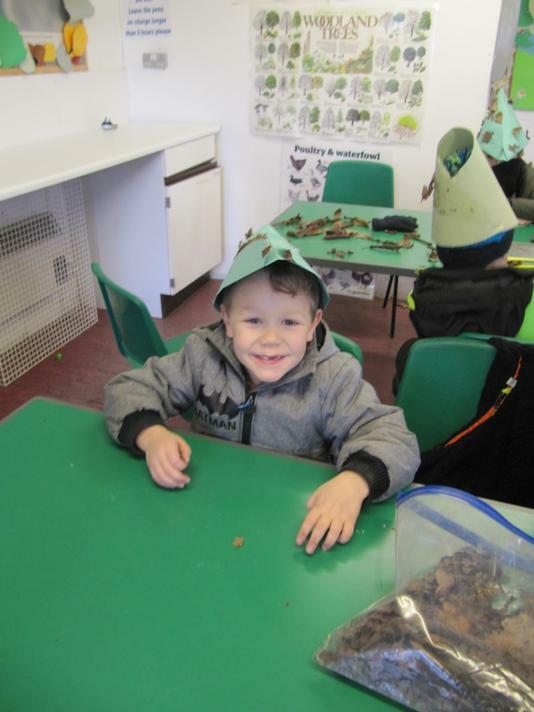 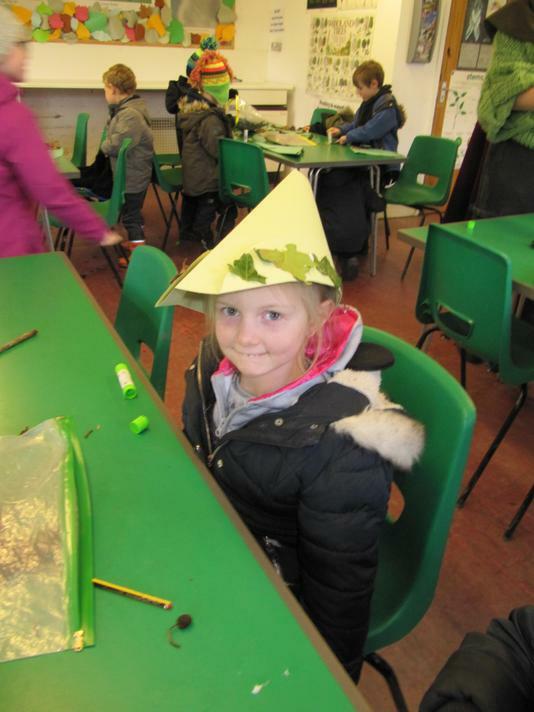 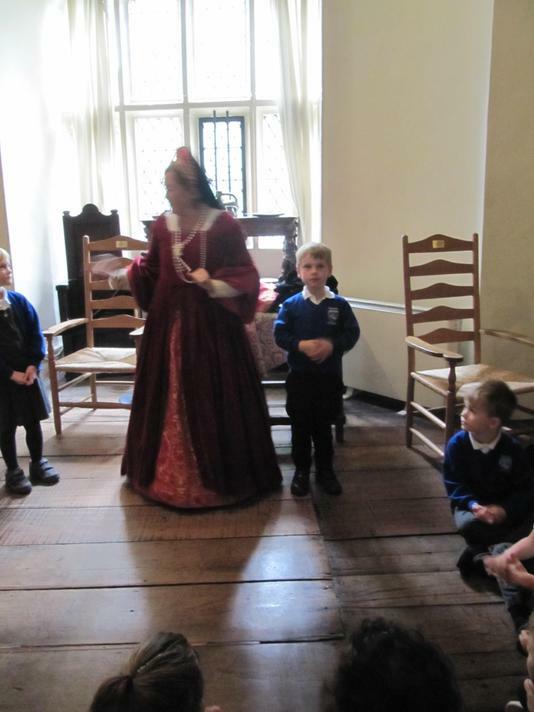 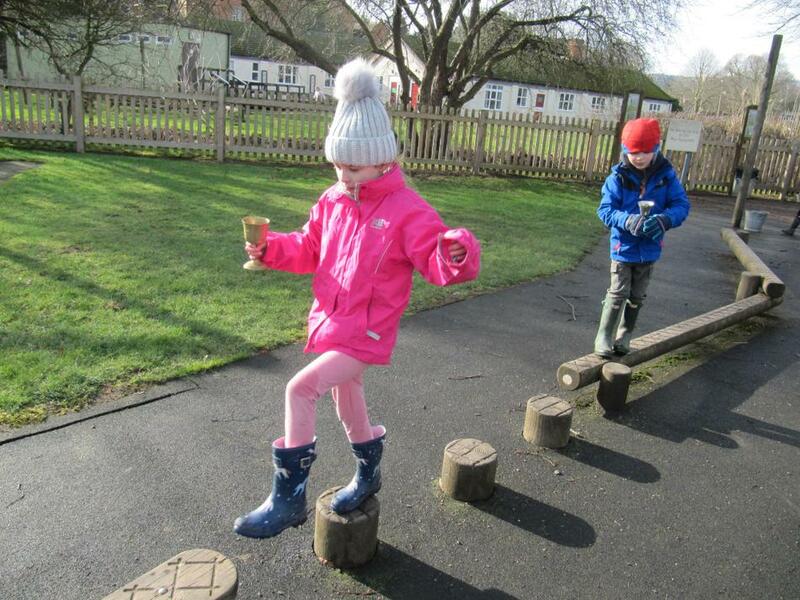 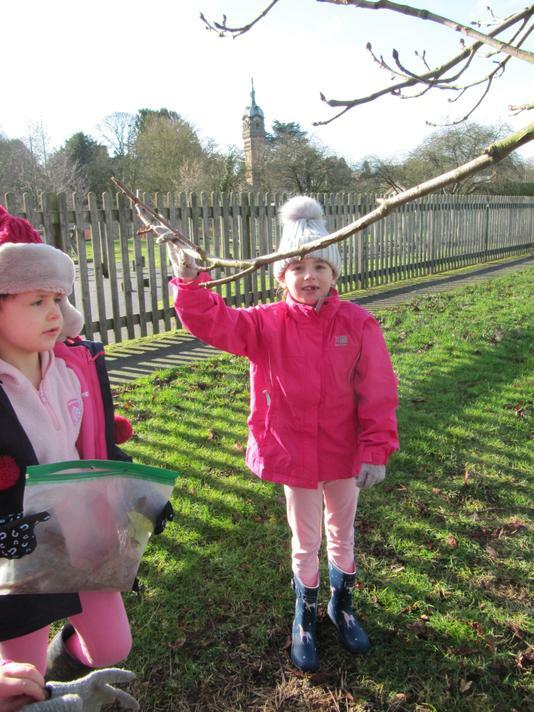 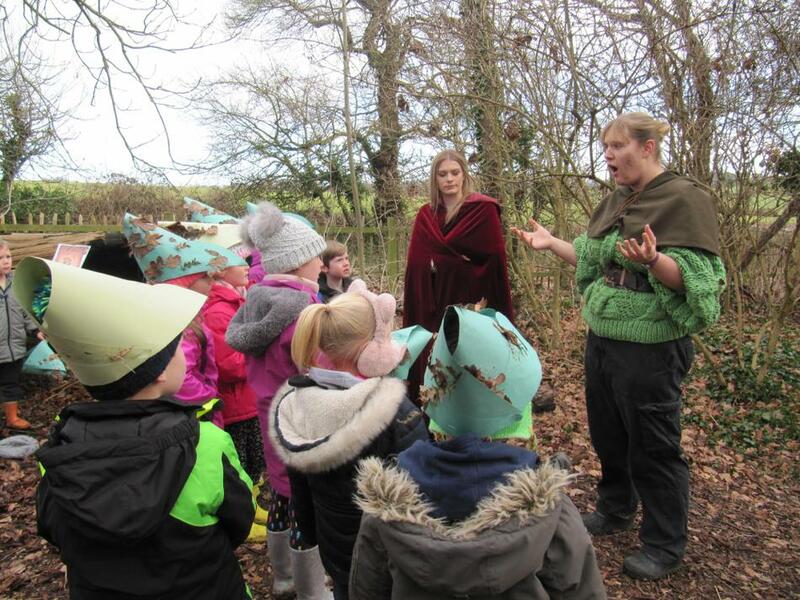 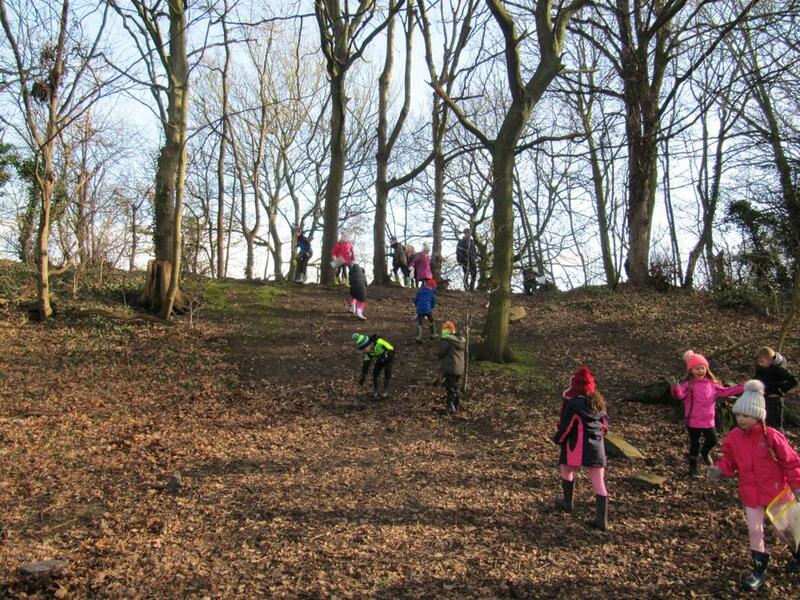 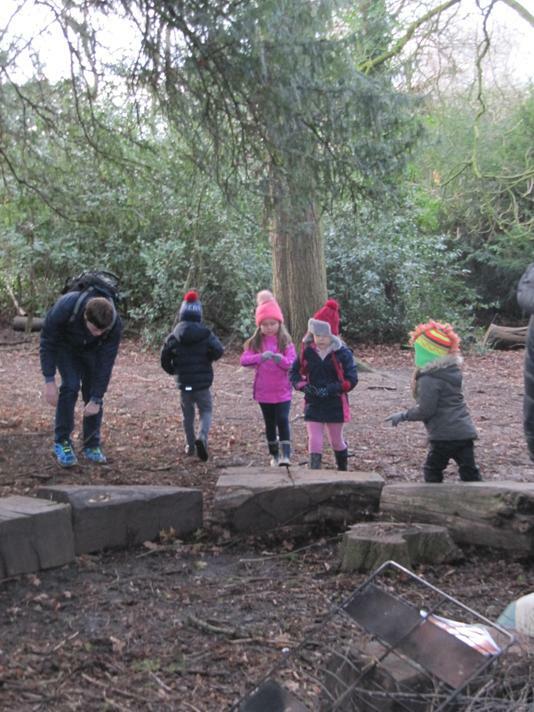 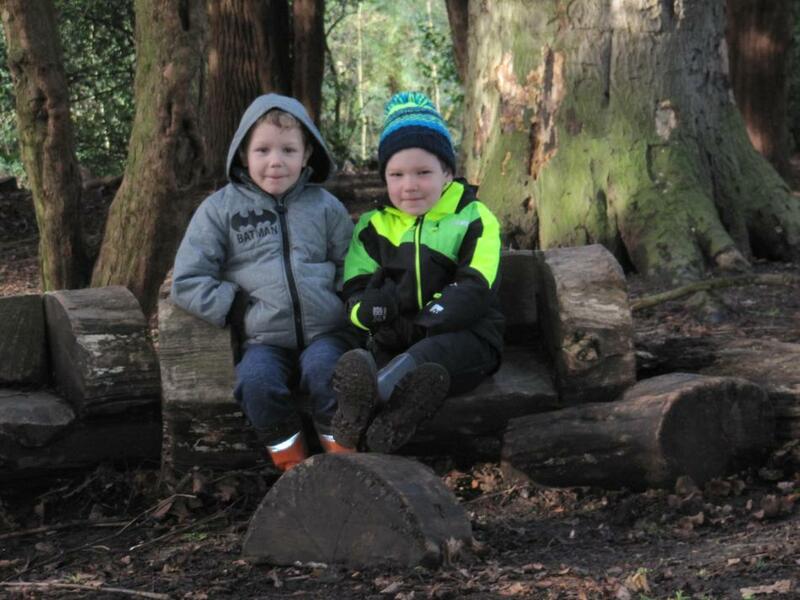 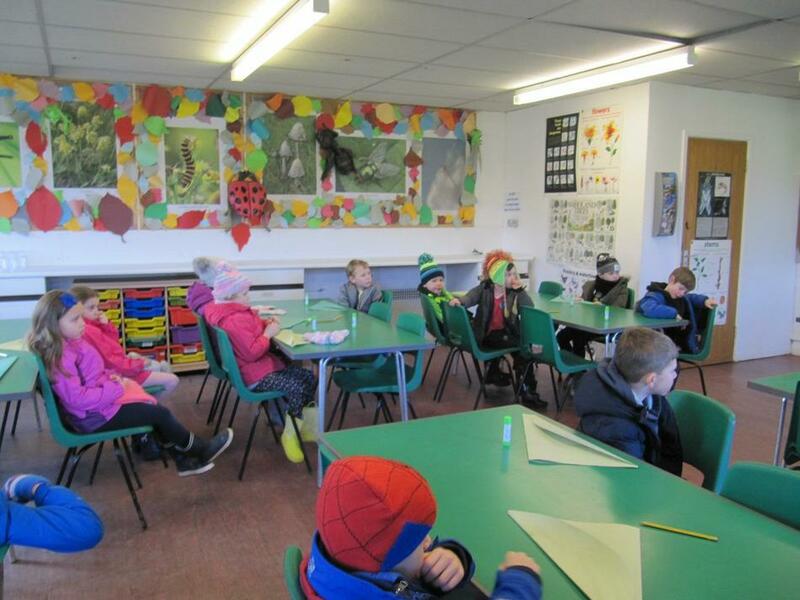 This term in year 1 the children enjoyed a trip to Manor Farm in Long Whatton. 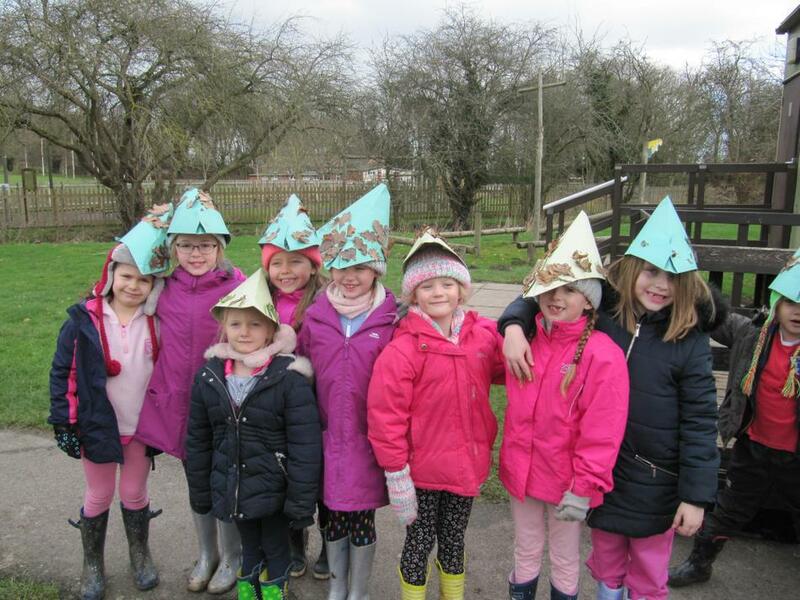 The children had the opportunity to interact with some of the farm animals such as goats, chickens and ducks before heading out onto the fields to burn some of their energy. 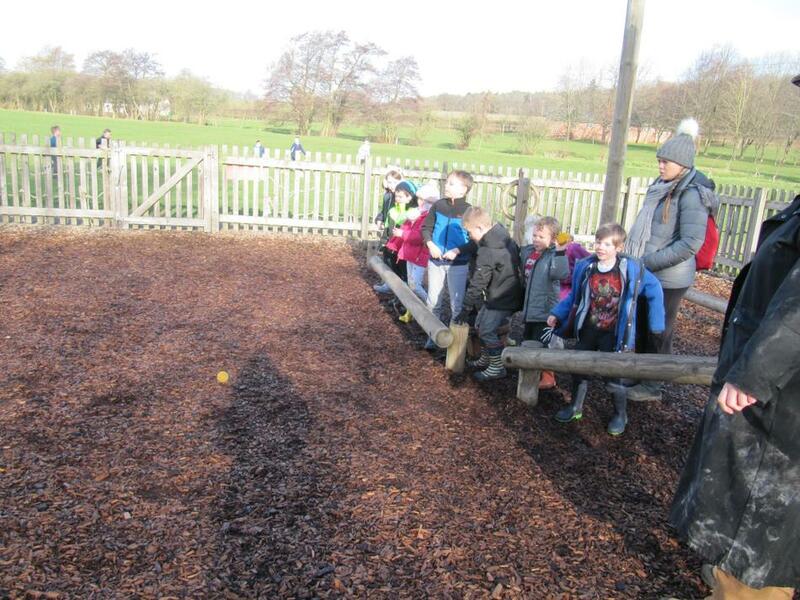 After that, we rushed back to the farm as a baby lamb was being born. 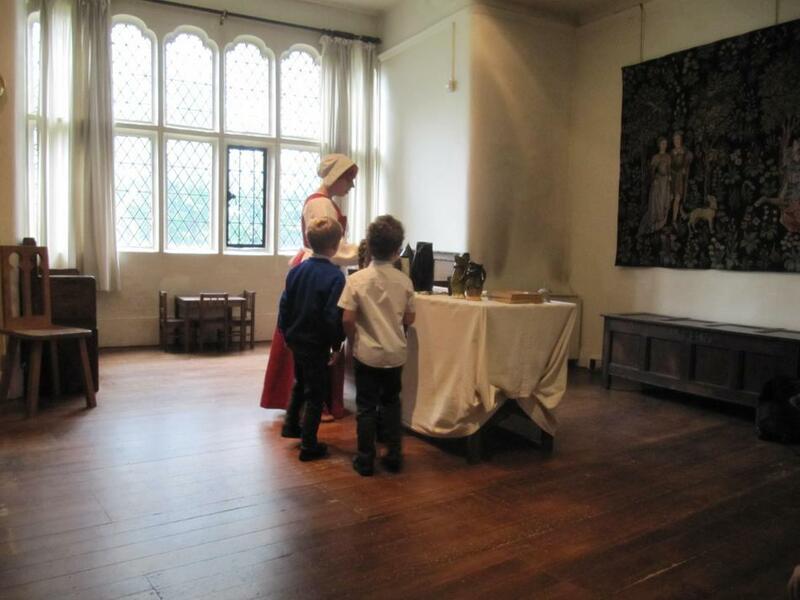 The children were lucky enough to see its first few minutes of life. 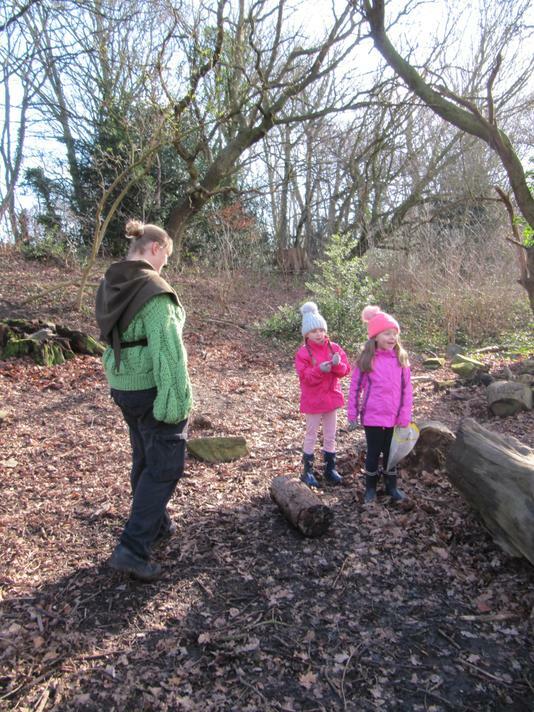 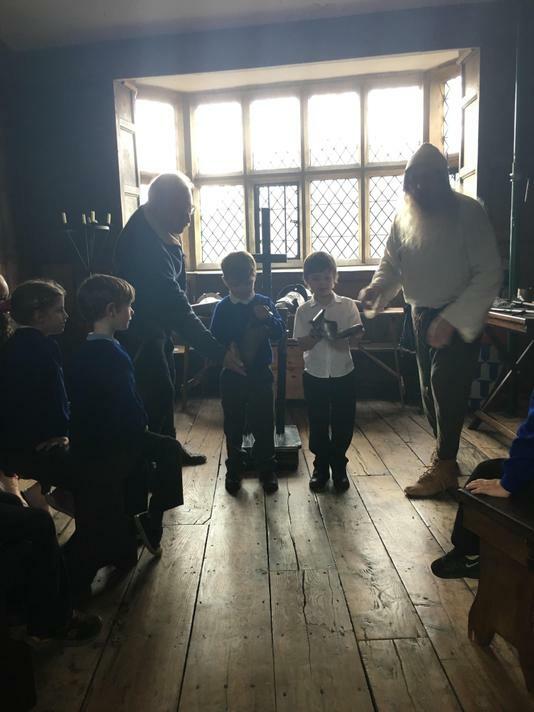 Most of the children had a cuddle with a baby lamb and we got some beautiful photographs which can be found on the ‘Healthy Schools’ section of the website. 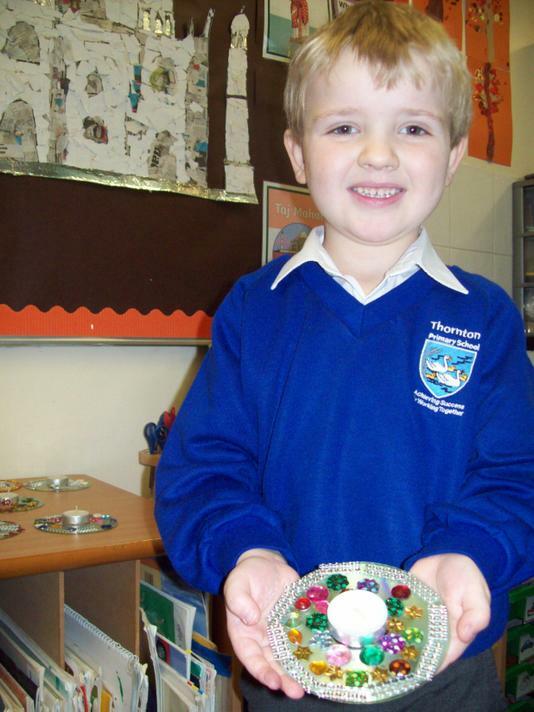 These have come home as a little Easter treat for their families. 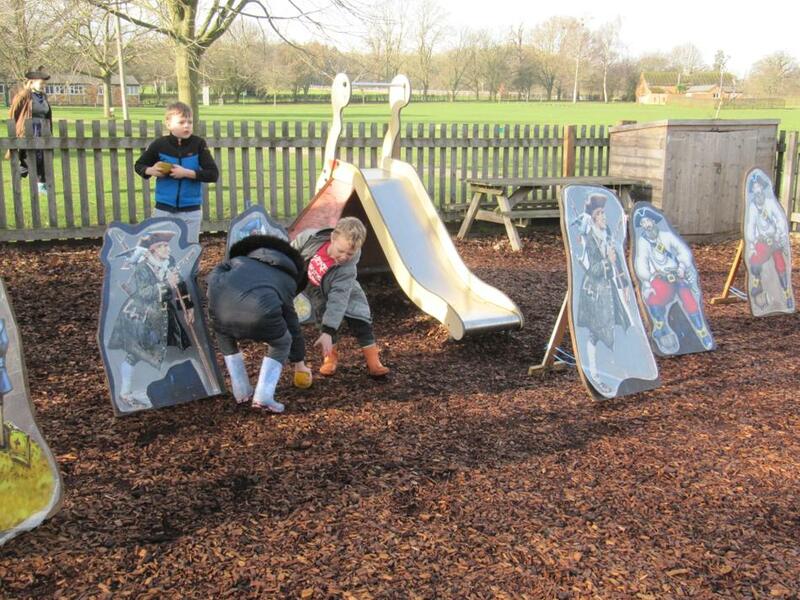 In Literacy, we have been using our class topic of ‘Pirates’ to inspire the children’s writing. 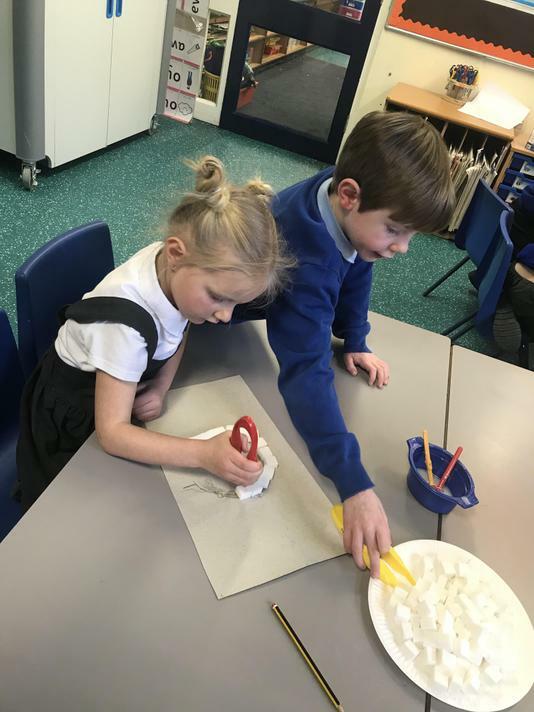 We started the term looking at instructions and wrote our very own instructions to make horrible soup. 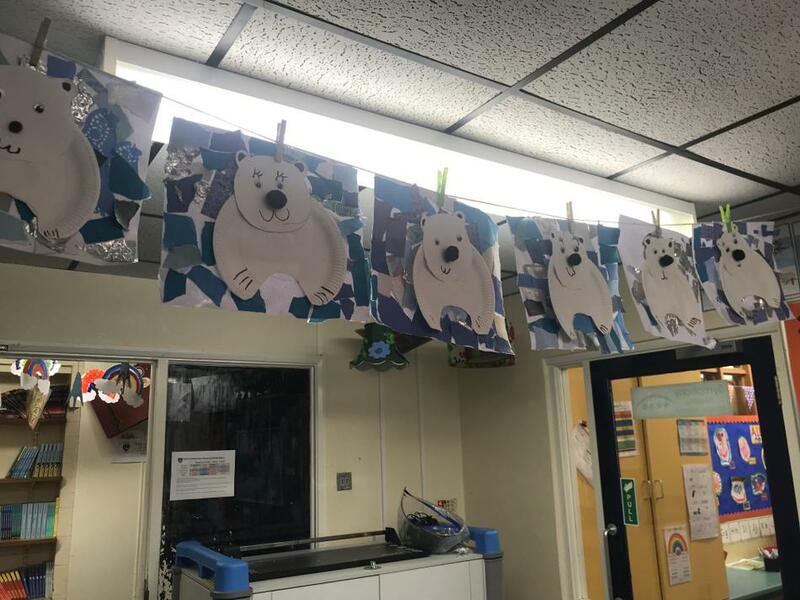 Unfortunately, a cheeky pirate popped into school in the middle of the night and stole our class teddy ‘Robbie Rich’ so the children used their descriptive writing skills to make ‘Wanted’ posters to help us find him. 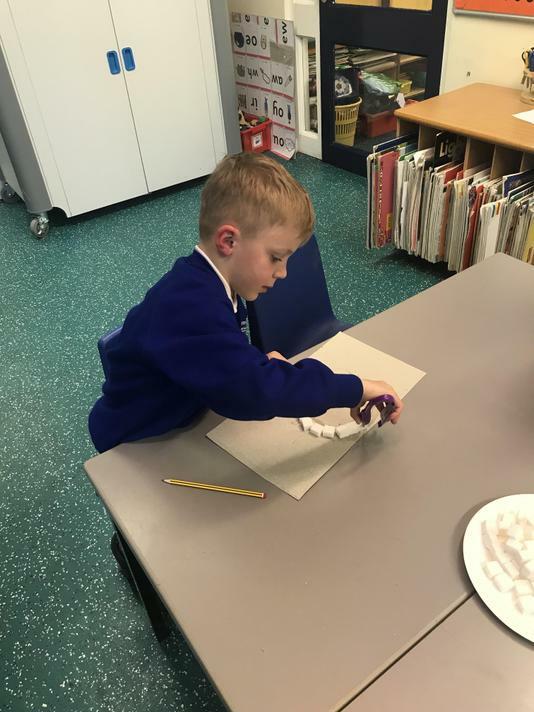 We finished the term by writing our very own adventure stories and the children have demonstrated how much progress they have made with their writing this term. 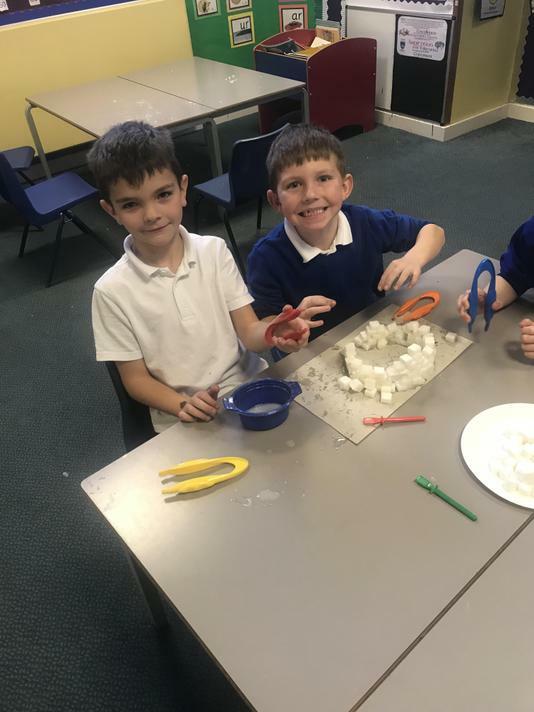 In Maths, the children have continued to develop their times table skills, increasing their recall of the 2, 5 and 10 times tables. 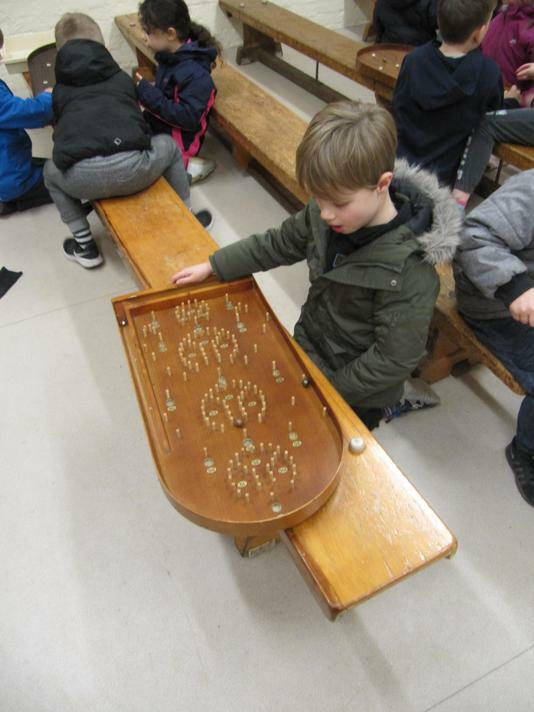 They enjoy listening to times table songs, chanting their times tables and playing an interactive game of ‘hit the button’. 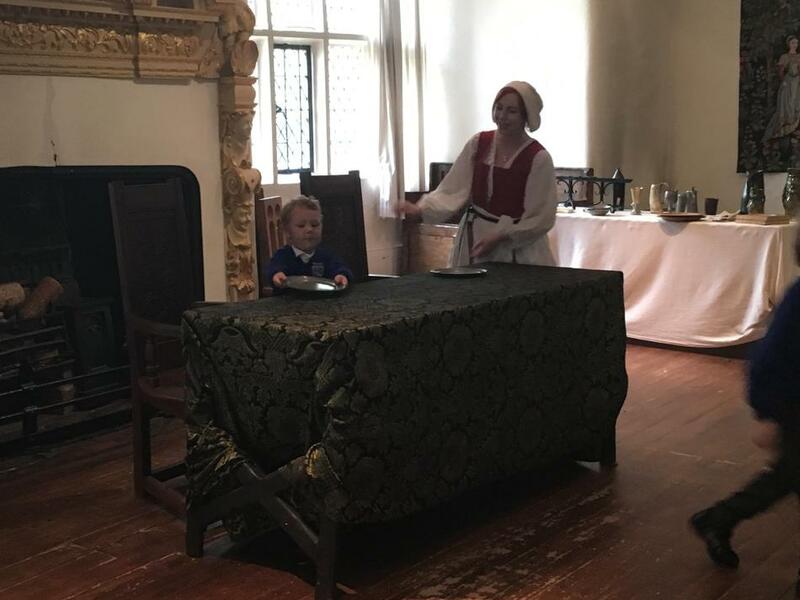 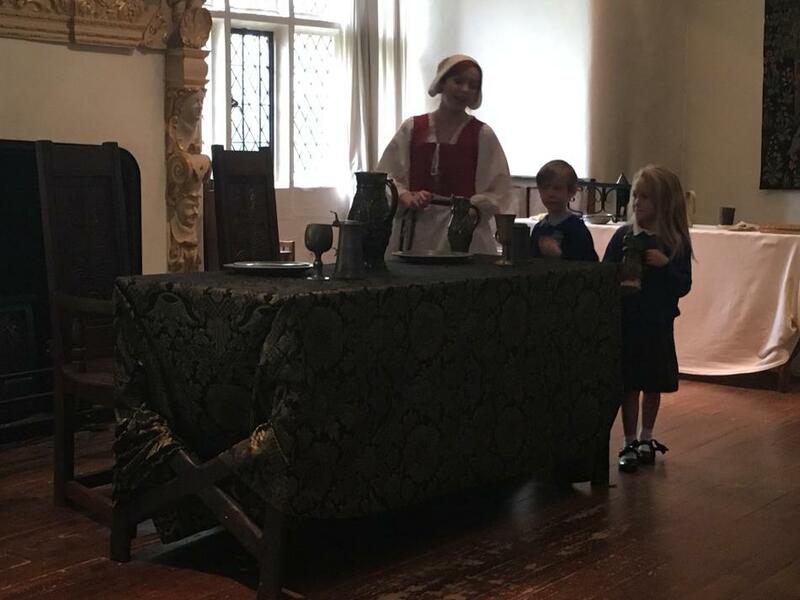 The children have also made excellent progress with strawberry jam and lemon curd, they really enjoy completing the sheets and trying to beat the timer! 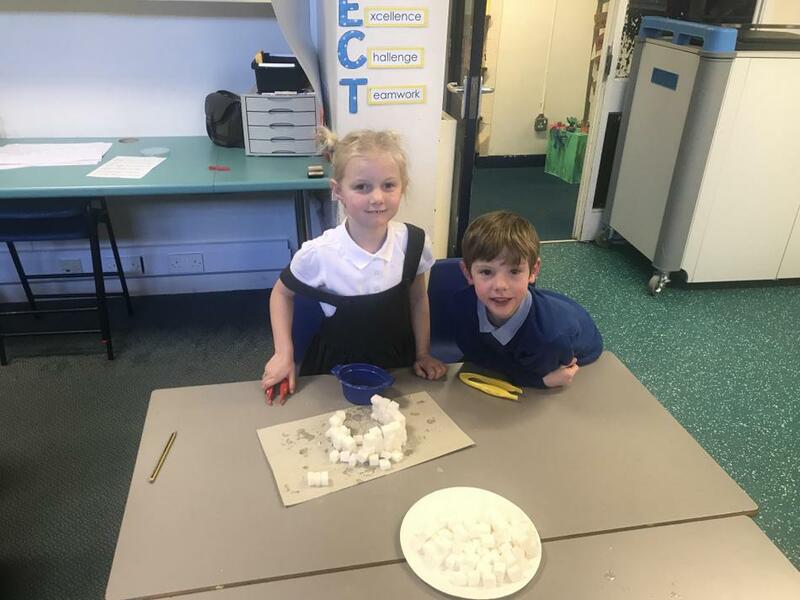 We have also covered fractions; finding half and a quarter of a shape or quantity, adding by making 10 and comparing measures. 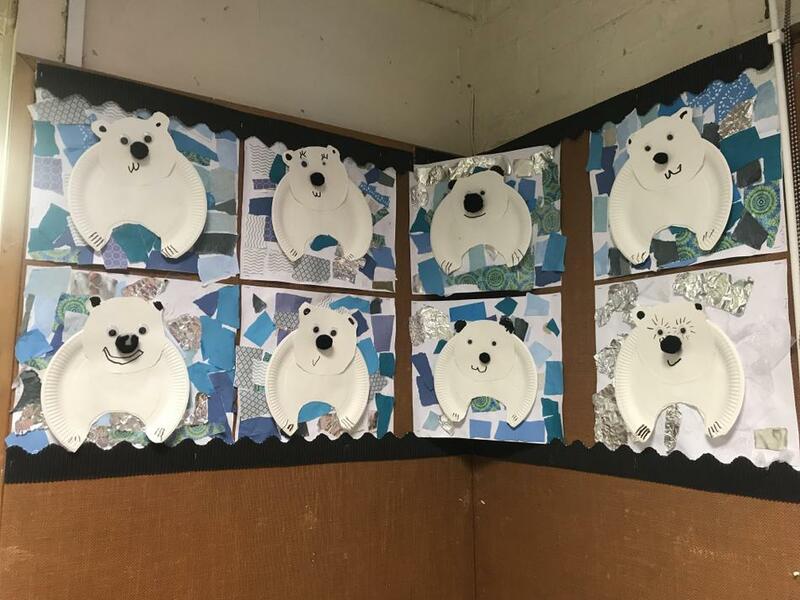 The children worked hard in art with Mrs Durham and Mrs Straw to produce some wonderful art work for the new corridor display. 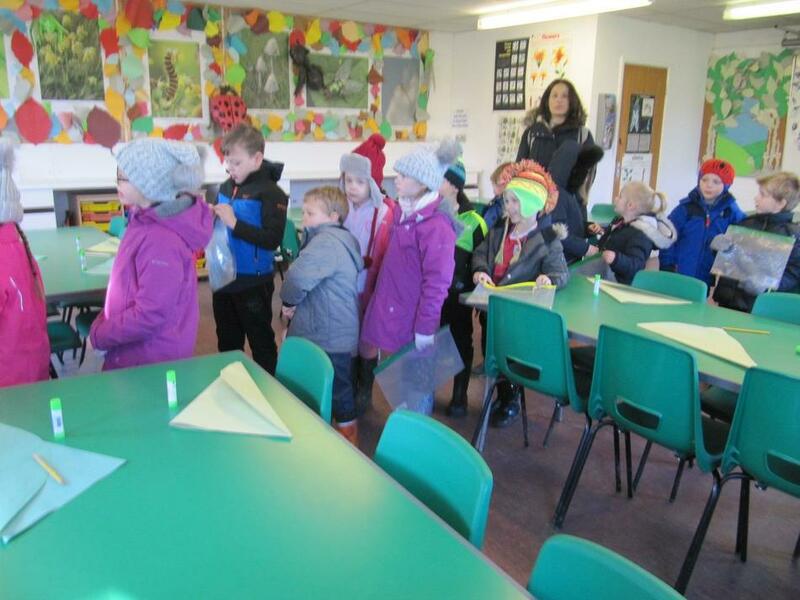 The children made pirate flags and dinosaurs and did some writing using similes to describe the Chinese dragon. 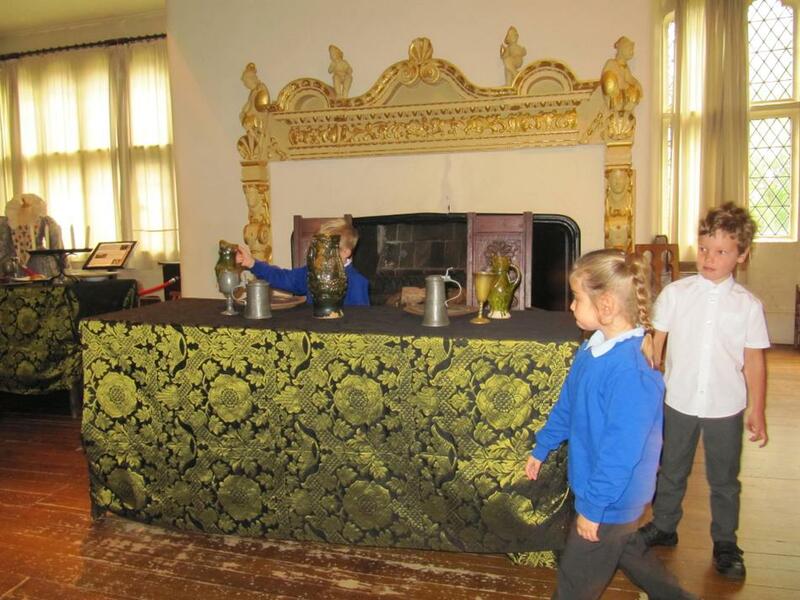 Please pop in to admire their hard work if you have time. 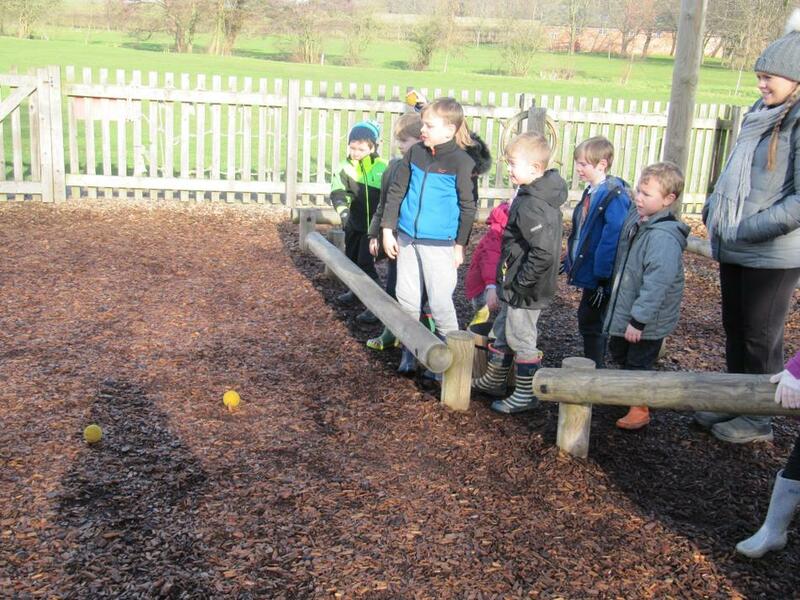 We will be joined in the summer term by Miss Freeman- a student teacher on her final teaching placement. 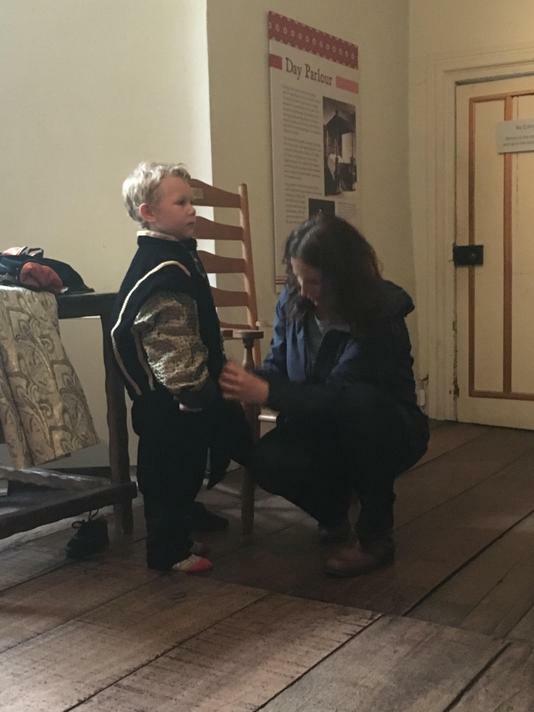 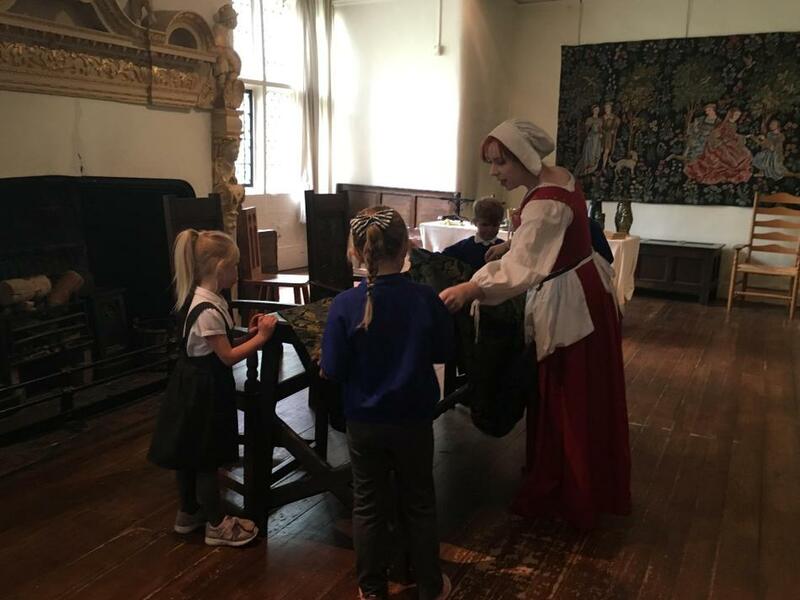 All of the children have met Miss Freeman when she taught year 2 on her first teaching placement, and we are looking forward to her joining us in the summer term for the ‘Parade of People’. 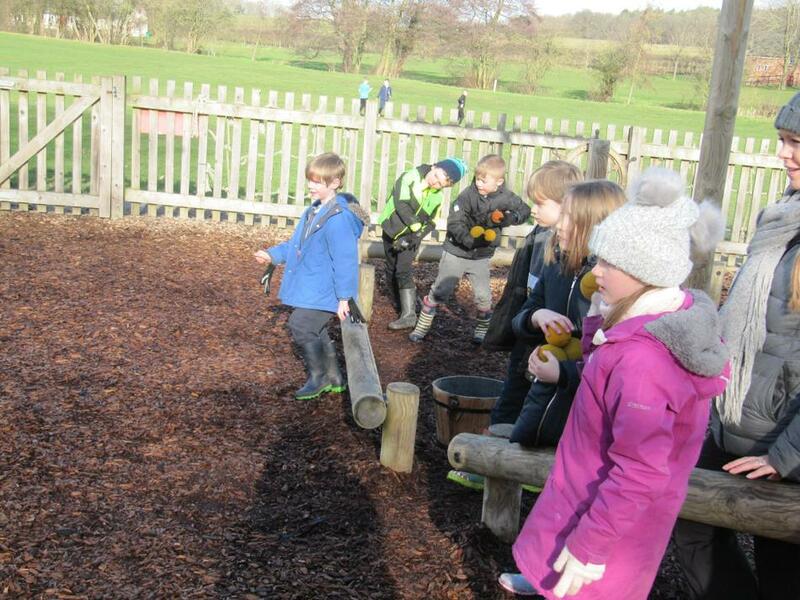 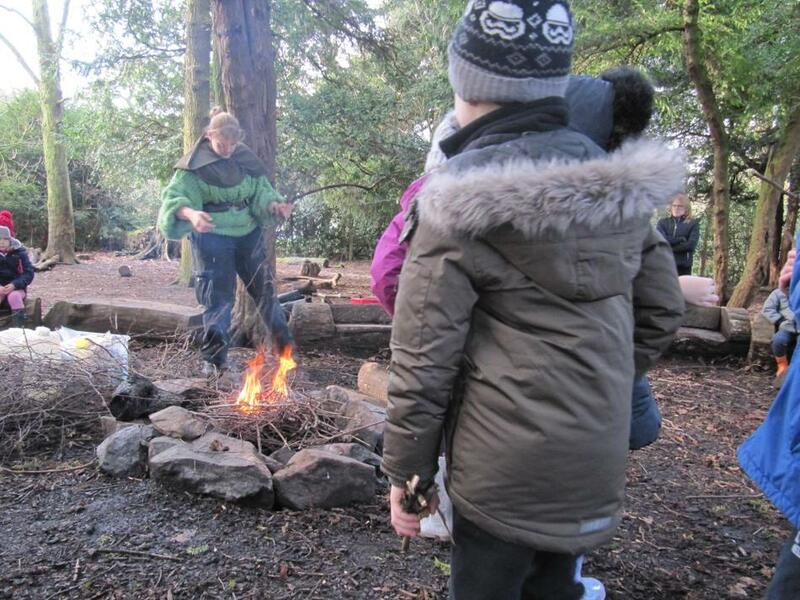 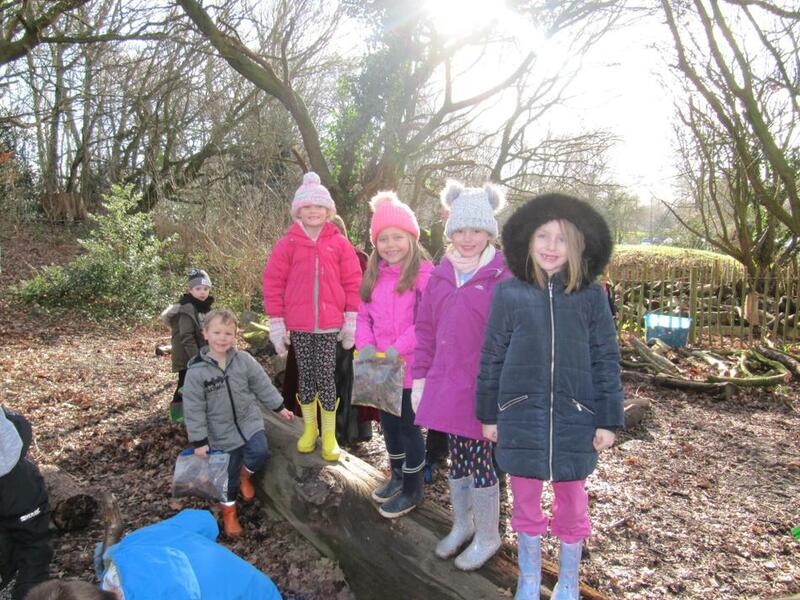 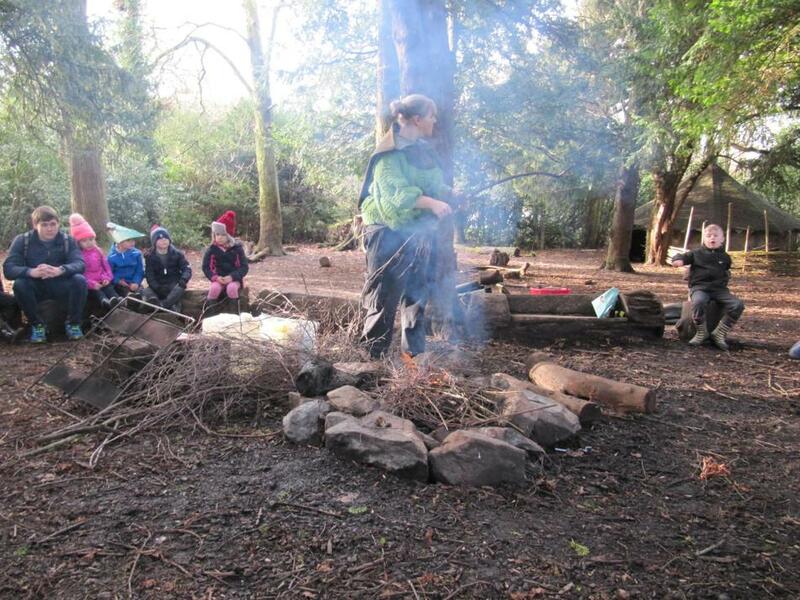 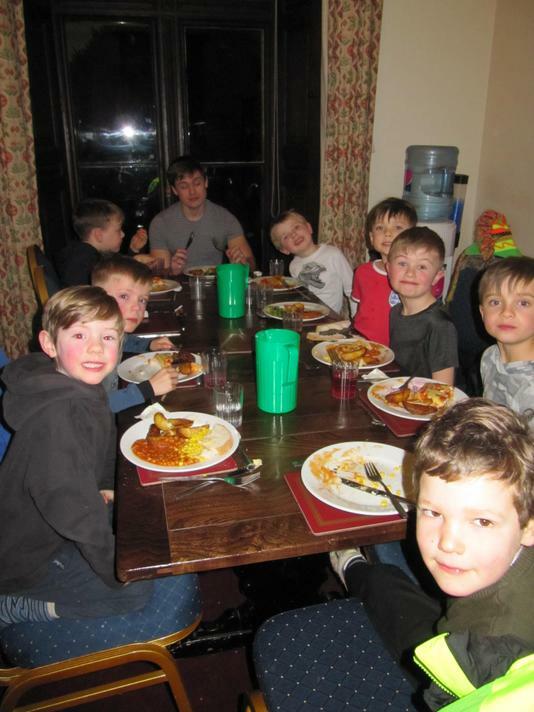 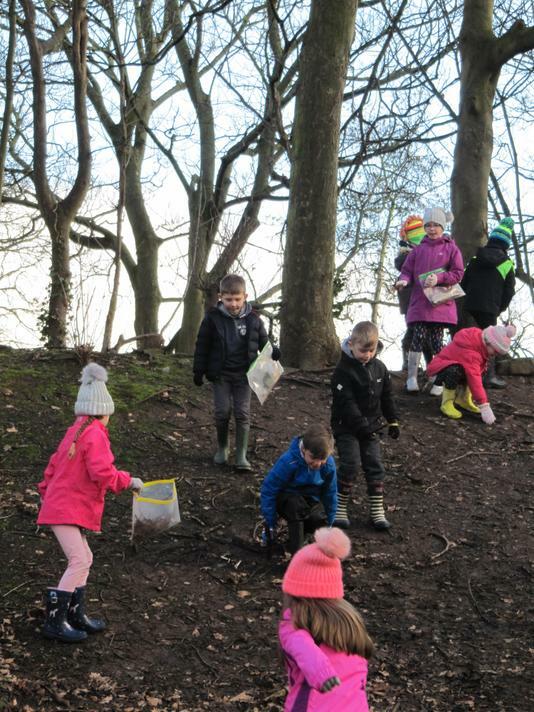 This half-term has been action packed and full of exciting activities which have enriched the children’s learning experiences. 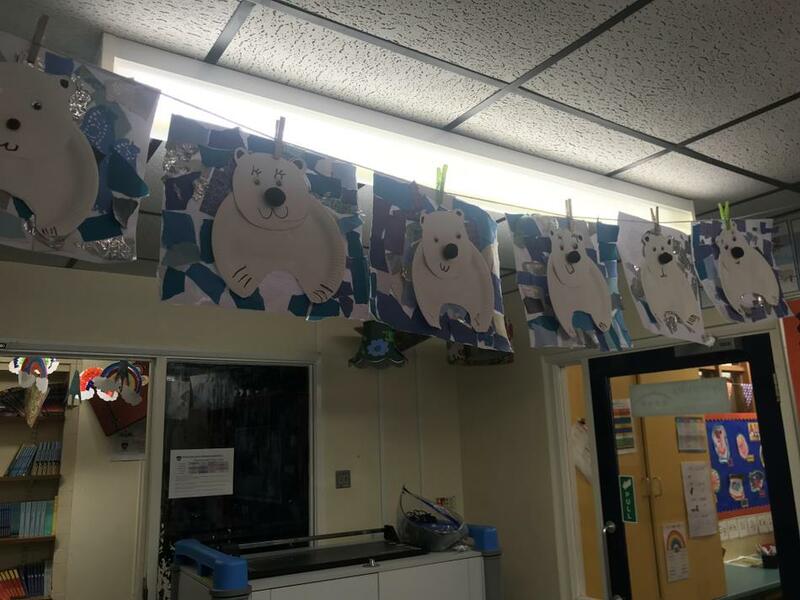 In literacy, the children have explored non-fiction texts (The Tigress, Ice Bear and Surprising Sharks), before researching an animal of their choice so they could write their own non-fiction report. 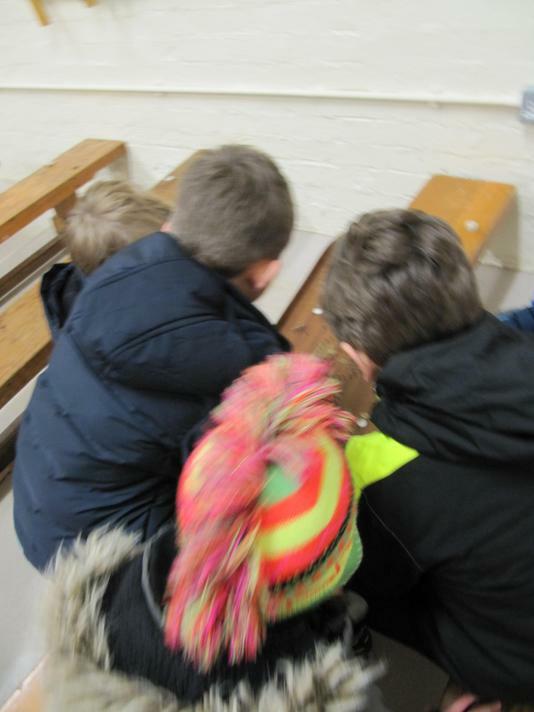 They then went on to look at recounts, using ‘The Diary of a Wombat’ and ‘Whatever Next’ to base their learning on. 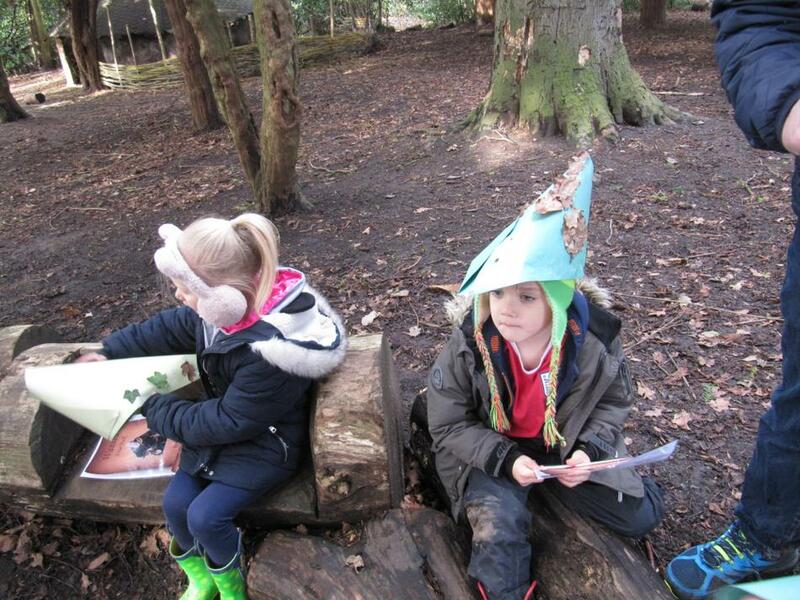 The Diary of a Wombat was a great text which the children really enjoyed. 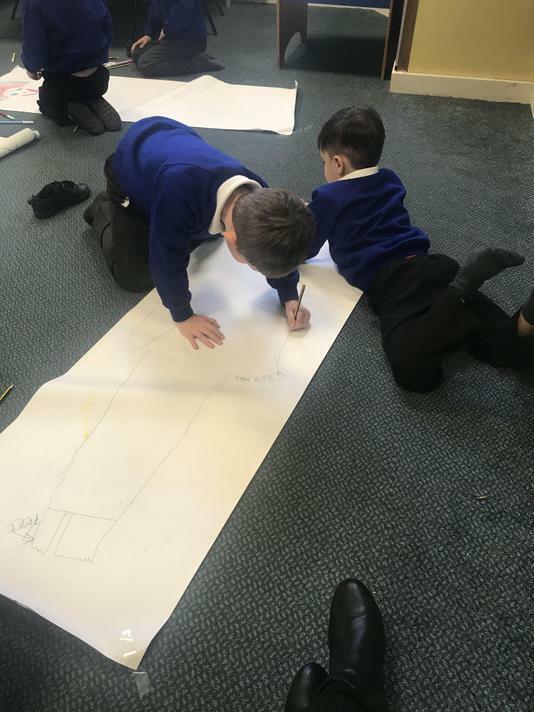 The children had a go at writing their names in Chinese and used the story ‘Dragons in the City’ to write a narrative in time for Chinese New Year. 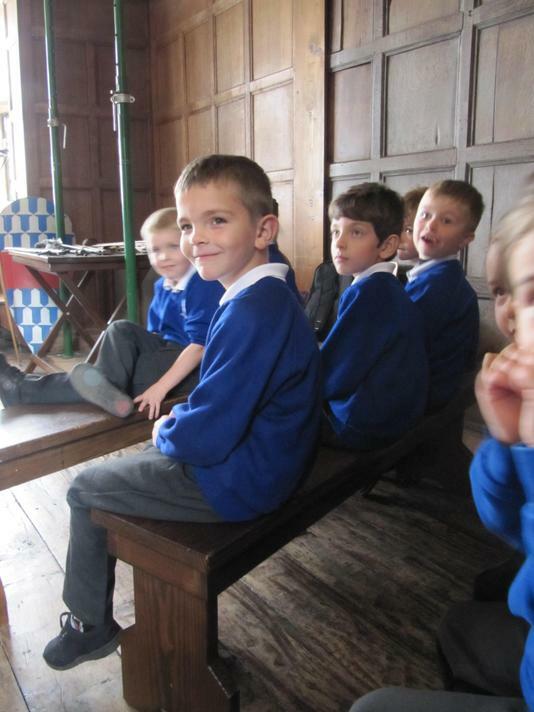 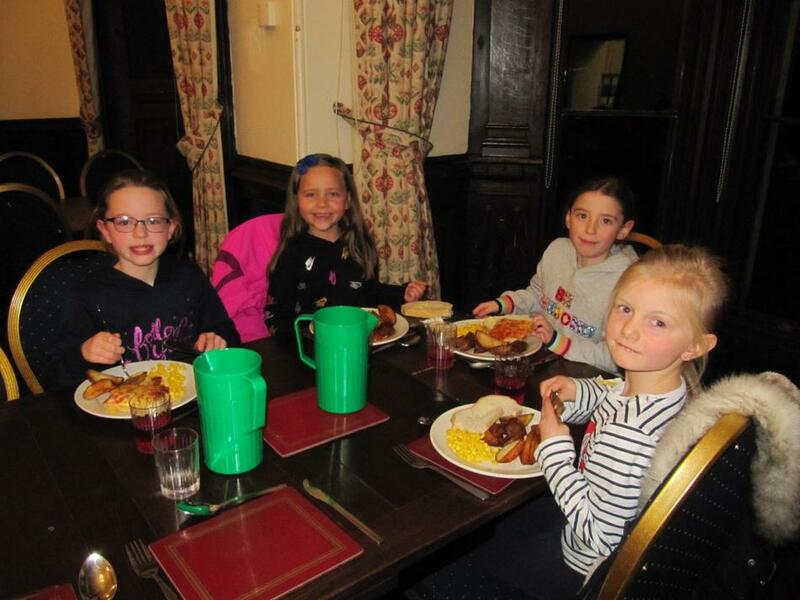 The children have got stuck into learning their 2, 5 and 10 times tables this year. 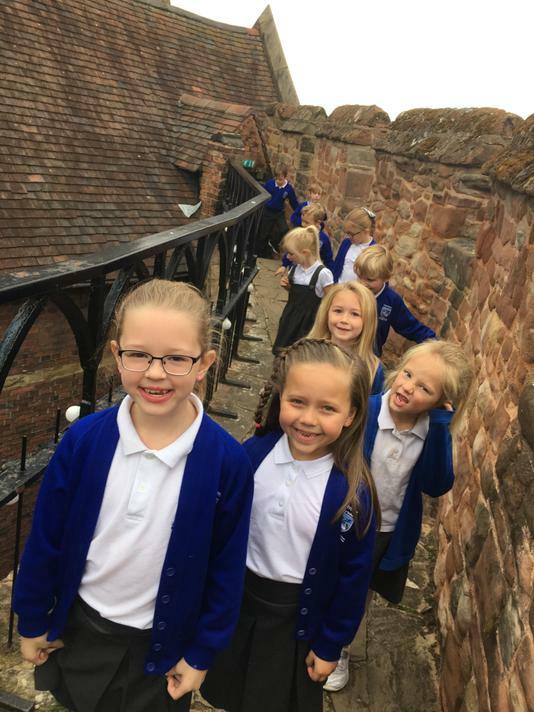 They have enjoyed taking part in Kahoot quizzes and listening to the 2 times table song to the tune of the popular song ‘Can’t stop the feeling!’ Fire some questions at them at home and see how well they can recall the answers, it’s very impressive! 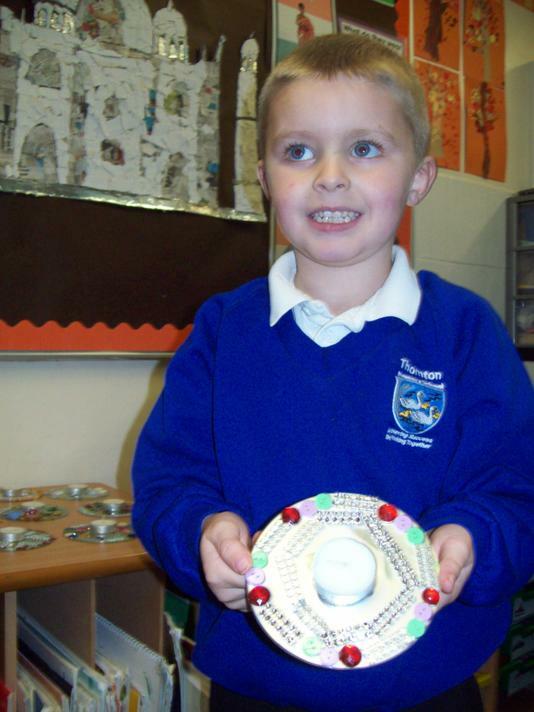 The human body has been the focus of the last couple of weeks in Science. 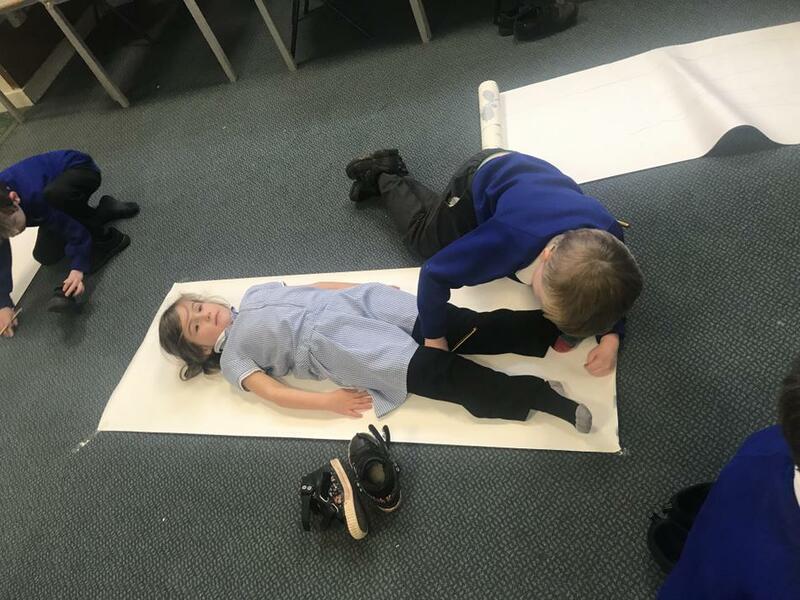 The children enjoyed drawing around each other and labelling the different body parts, before taking part in a ‘Senses’ investigation. 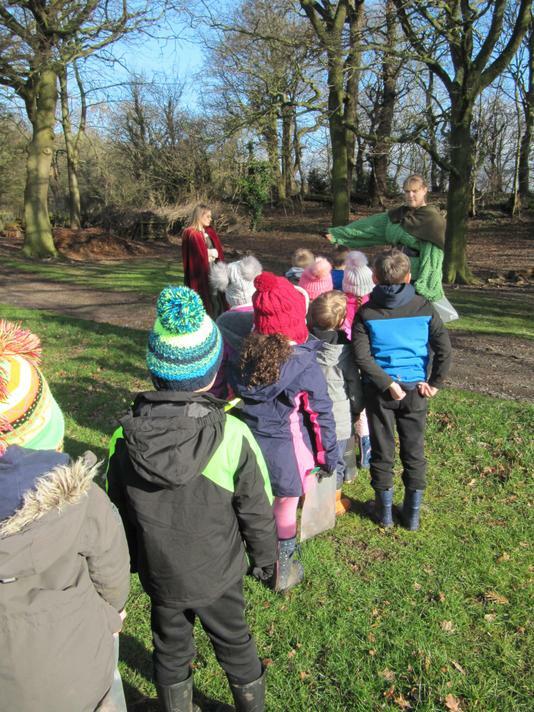 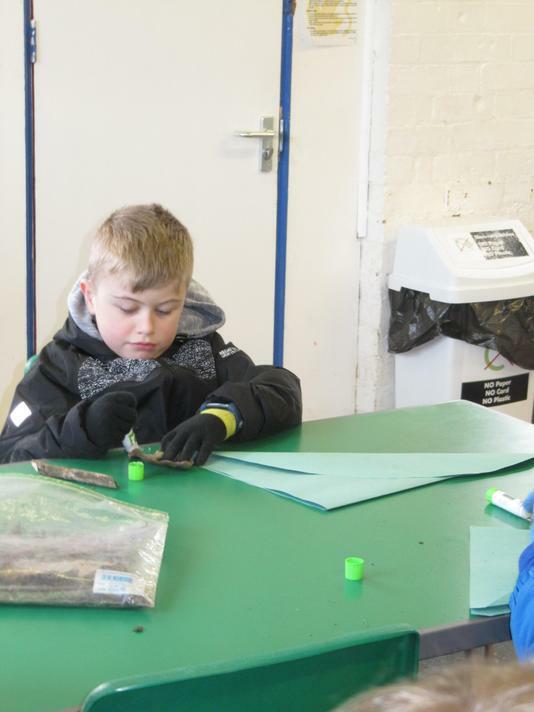 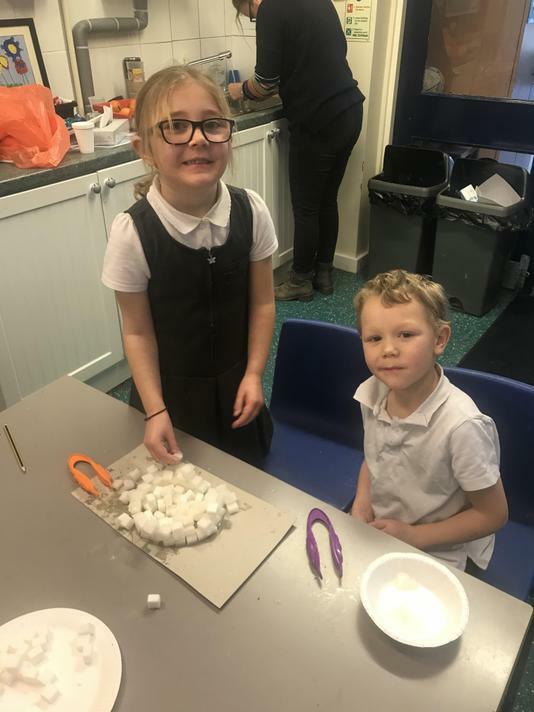 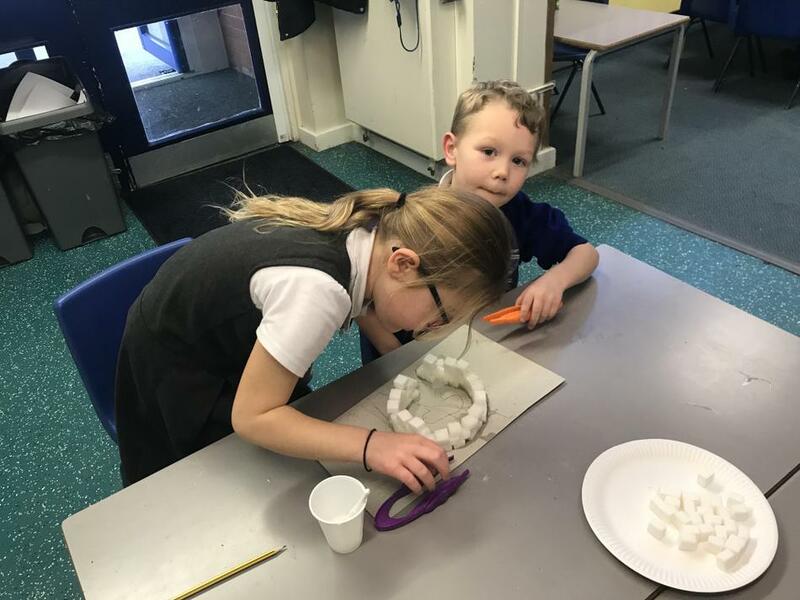 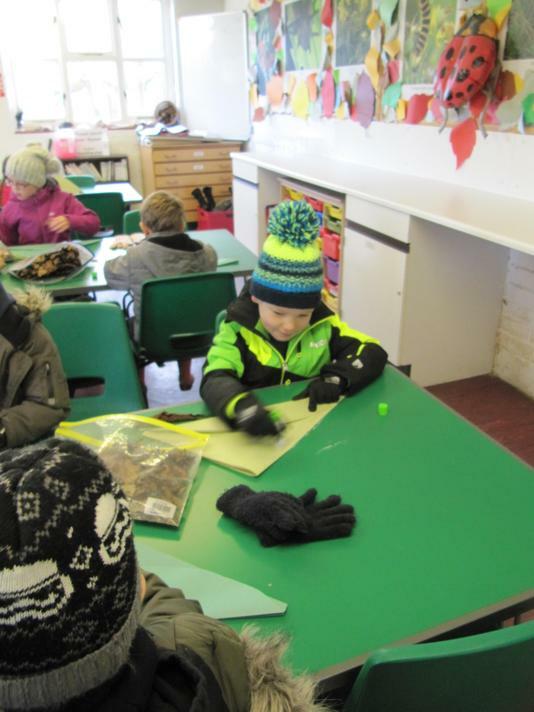 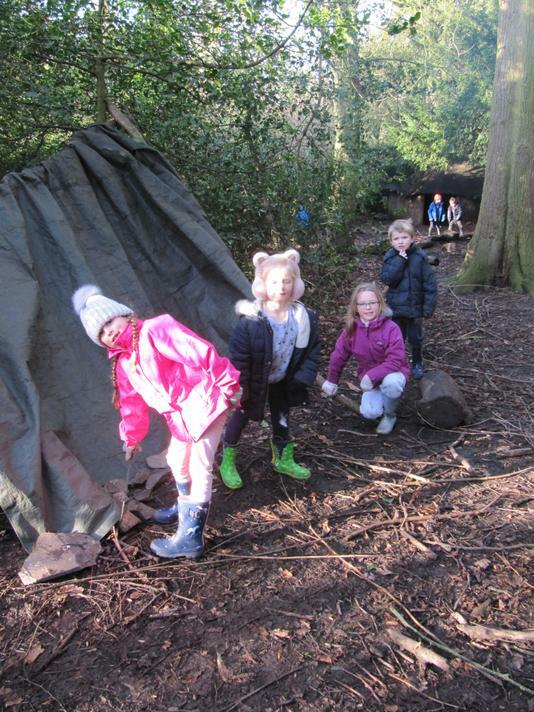 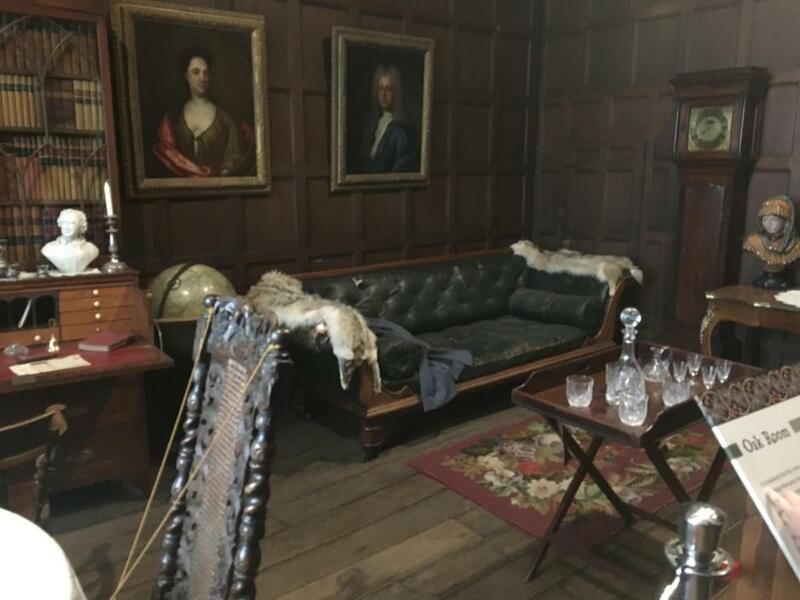 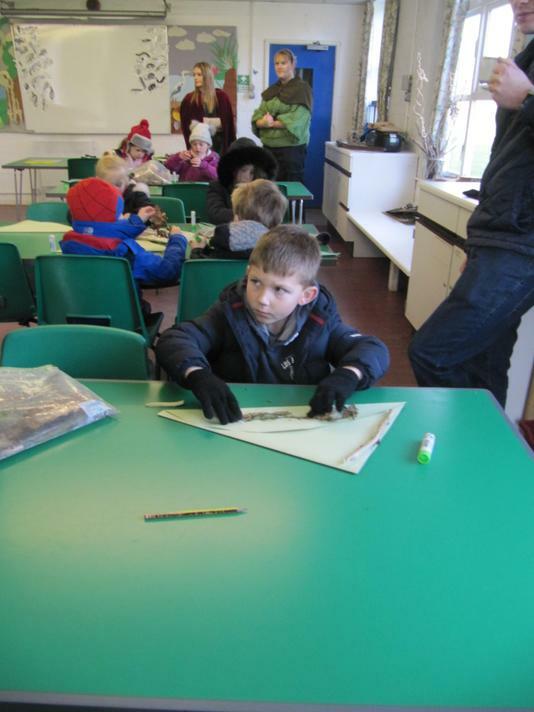 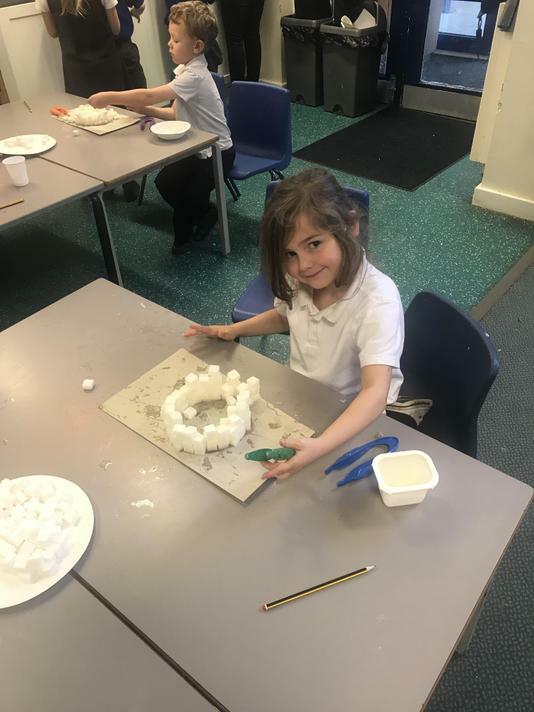 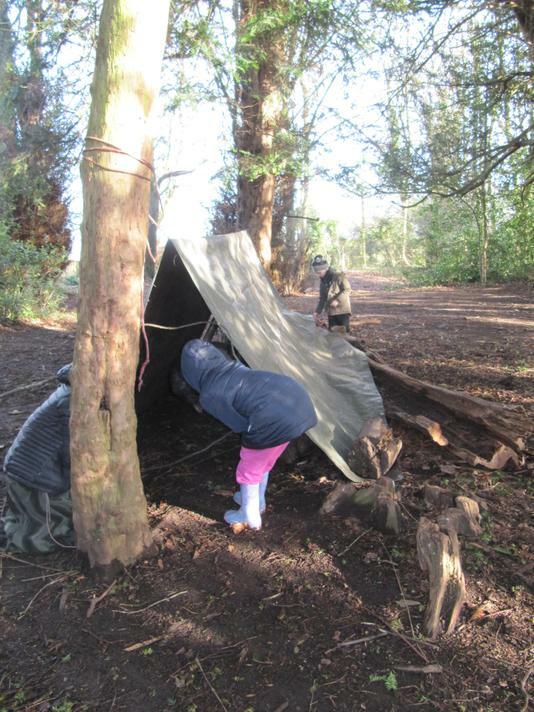 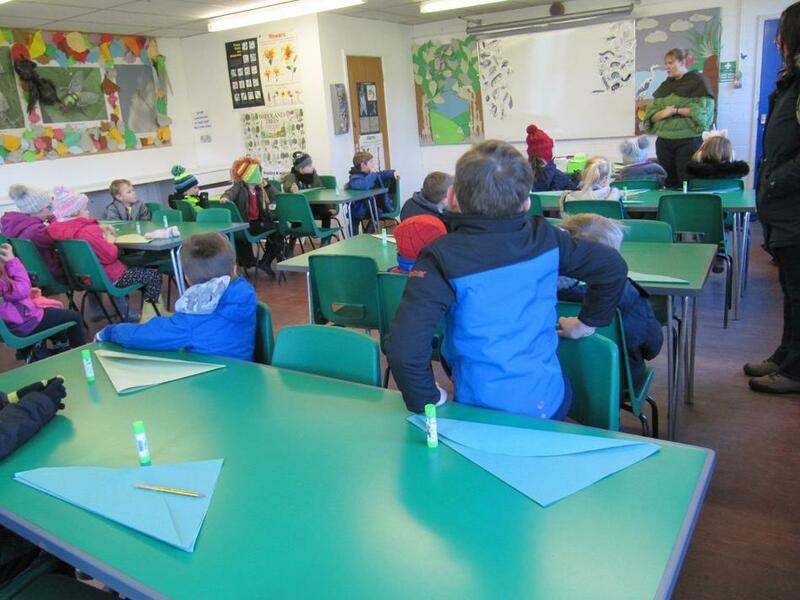 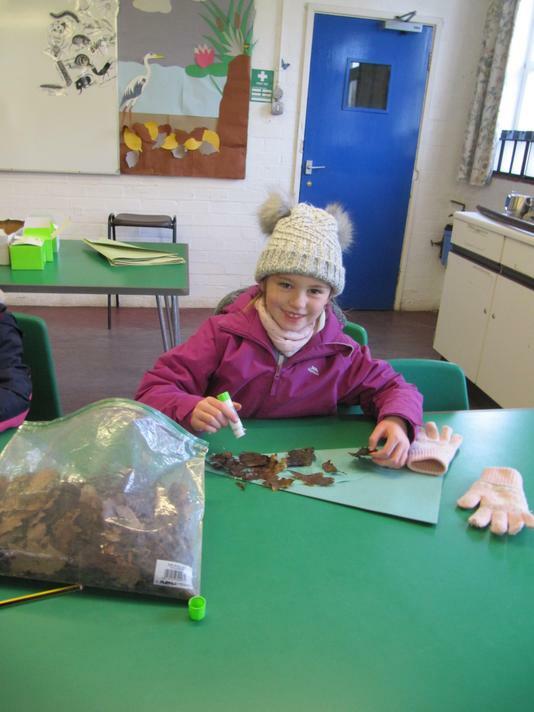 As well as all of that learning, we’ve managed to fit in making igloos using sugar cubes and over-sized tweezers, an exciting visit from Warburtons, producing art for the exhibition, an overnight stay at Beaumanor Hall and so much more! 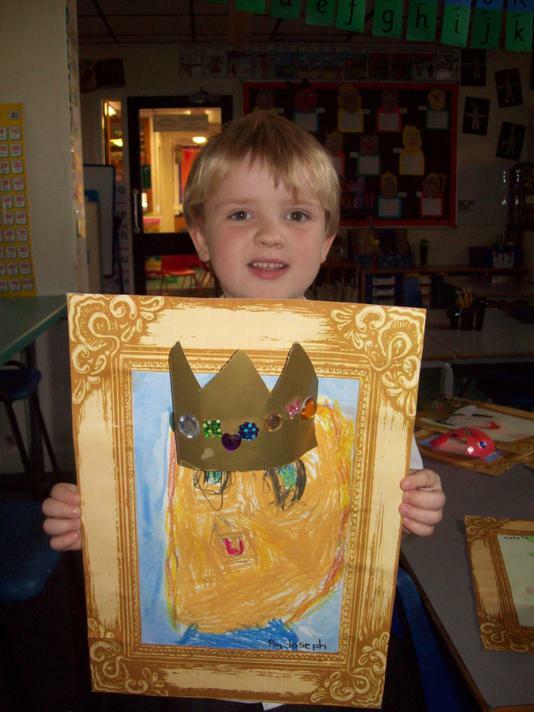 Year 1 started the Autumn 2 term by looking at ‘The Tiger Child.' 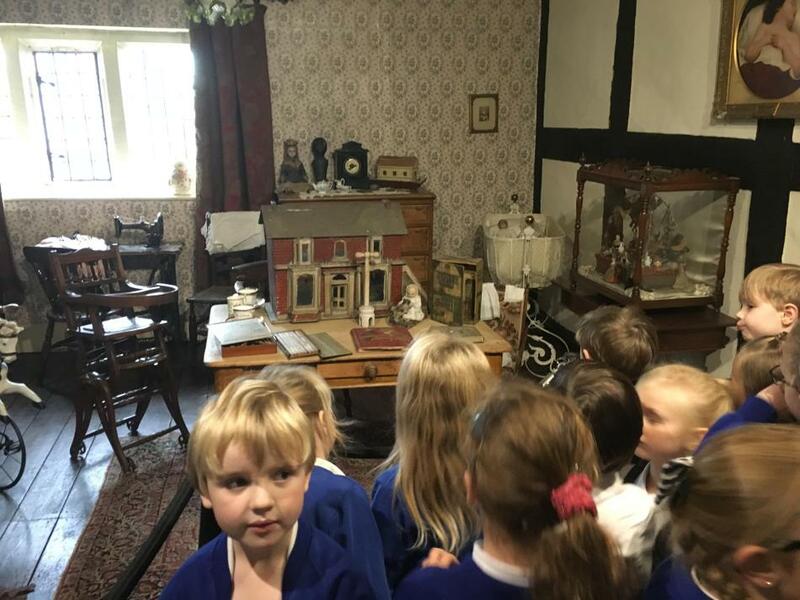 The children listened to and watched a version of the story before ordering it and looking at the features of a traditional tale. 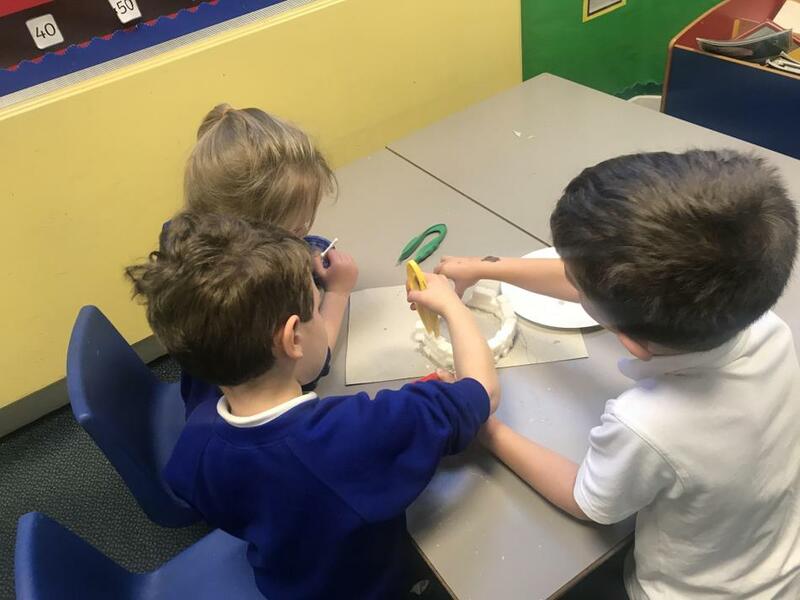 They enjoyed performing their favourite parts of the story in drama lessons and went on to write their own versions of ‘Little Red Riding Hood’ which are excellent. 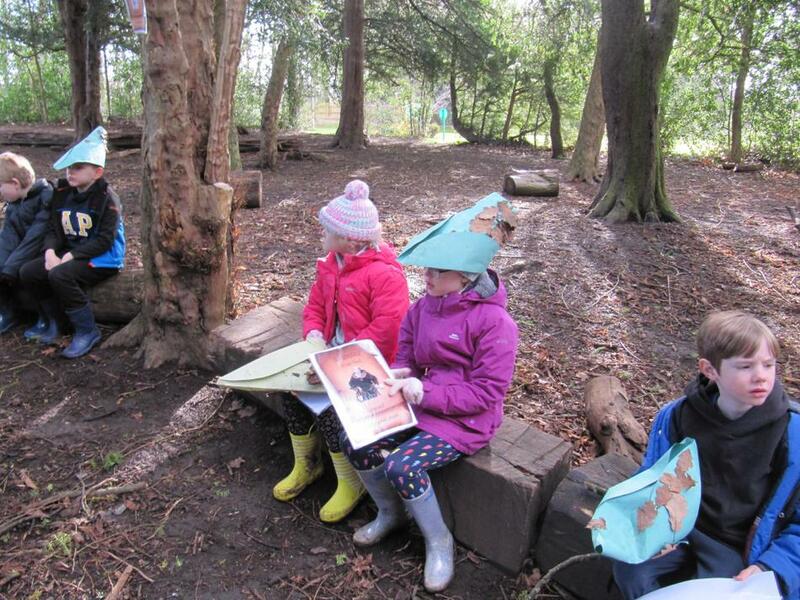 Next, we explored instruction texts. 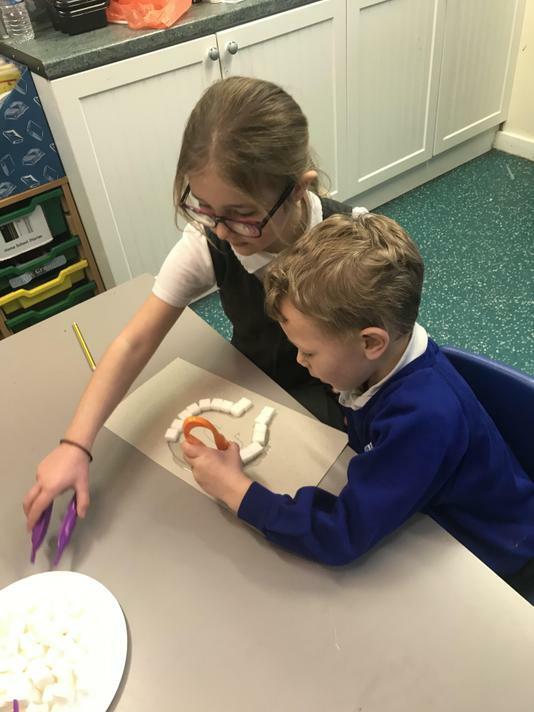 The children identified different features of instruction texts, followed instructions to make yummy jam sandwiches and then wrote their own set of instructions for an alien who was visiting Earth! 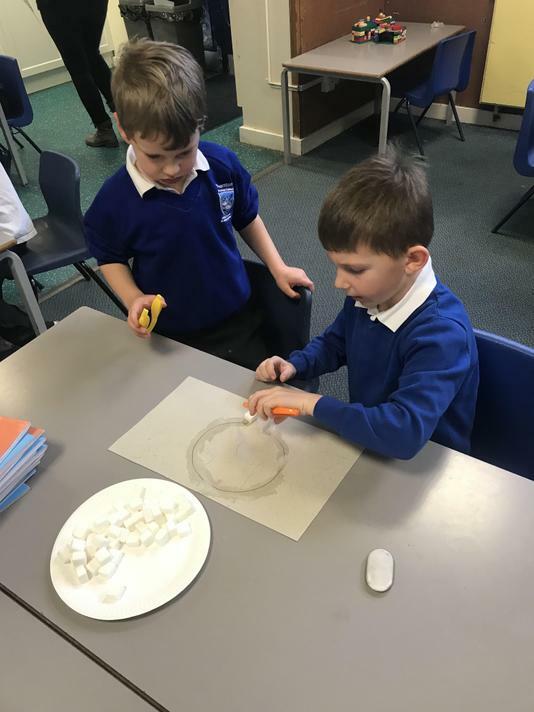 In Maths, the children have continued to develop their number skills, by looking at doubling, halving and improving their recall by adding numbers to 20. 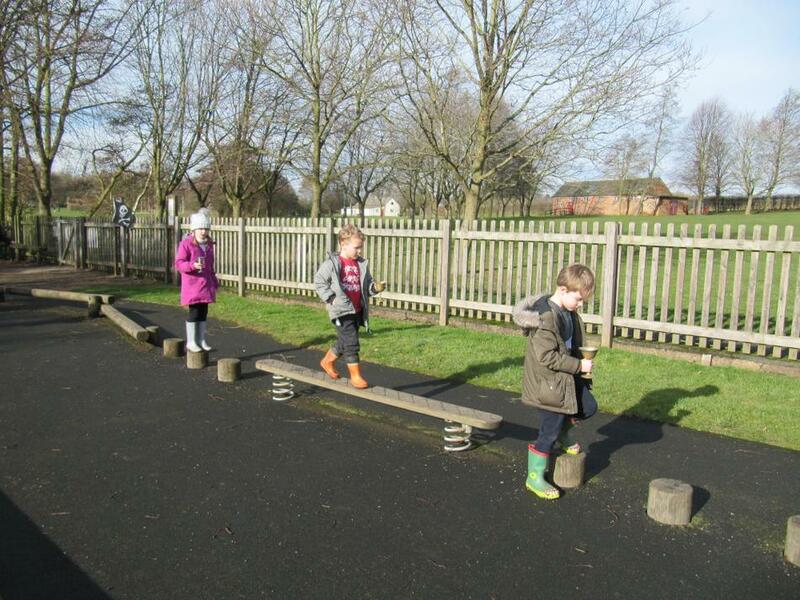 We spent a few weeks exploring measurement, using non-standard measures to find weight, length and capacity. 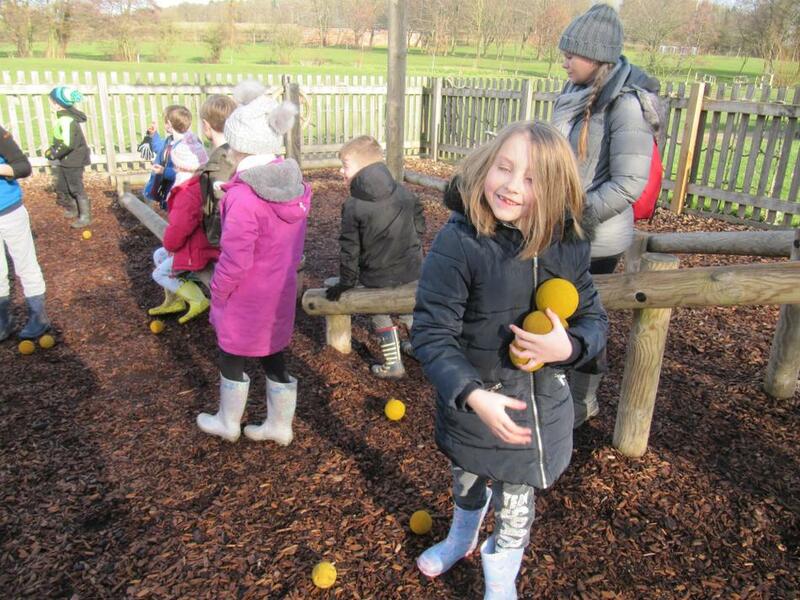 The children have started completing lemon curd more regularly and have really impressed me and themselves with the progress they are making. 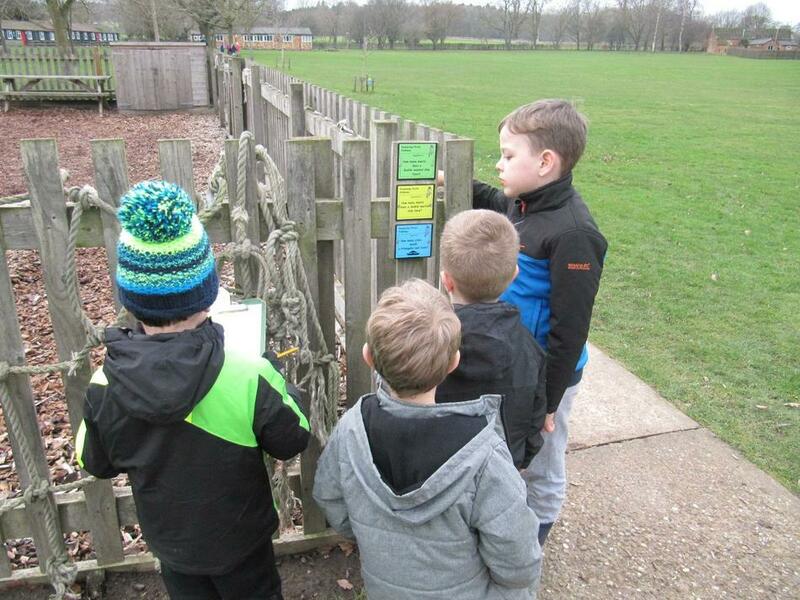 The automatic recall of their number bonds to 10 is excellent! 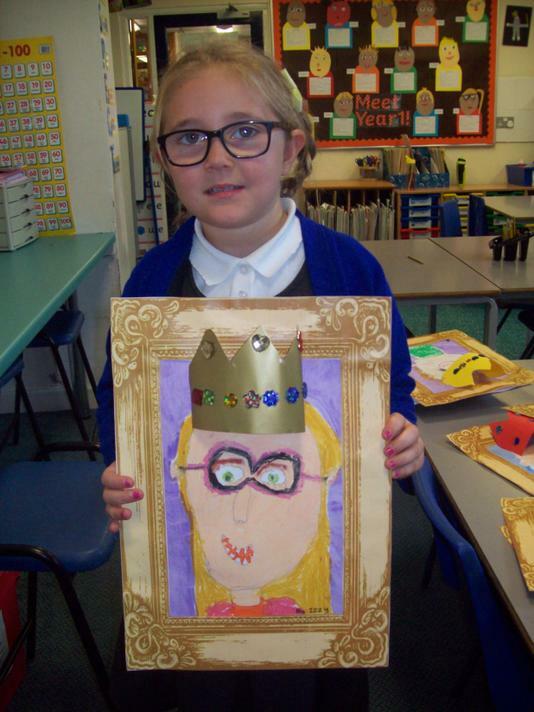 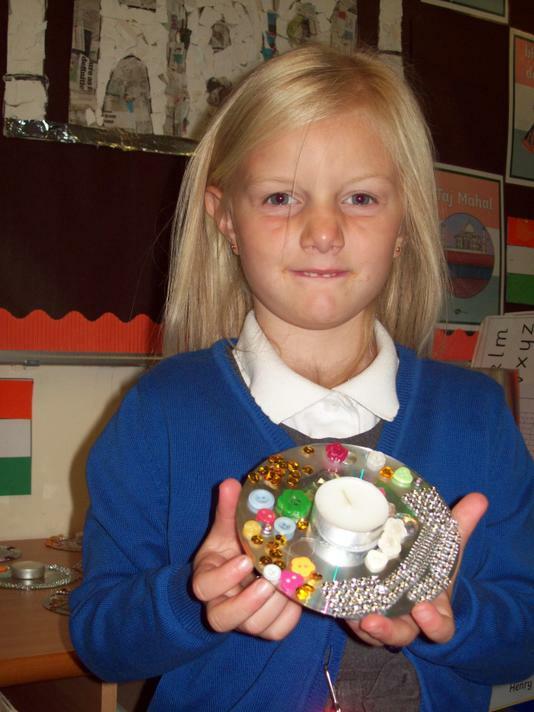 India has inspired both our topic and our art lessons this term. 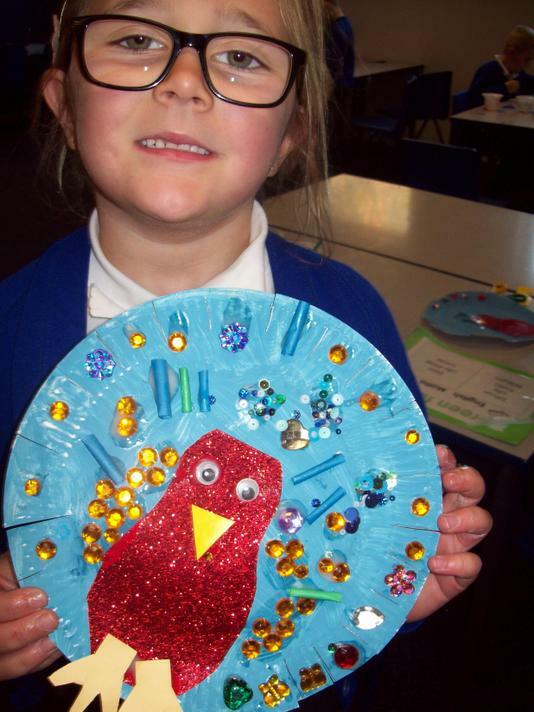 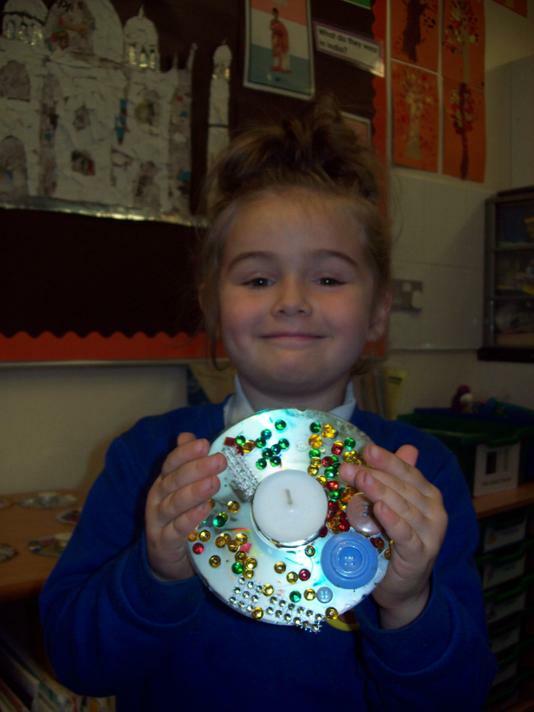 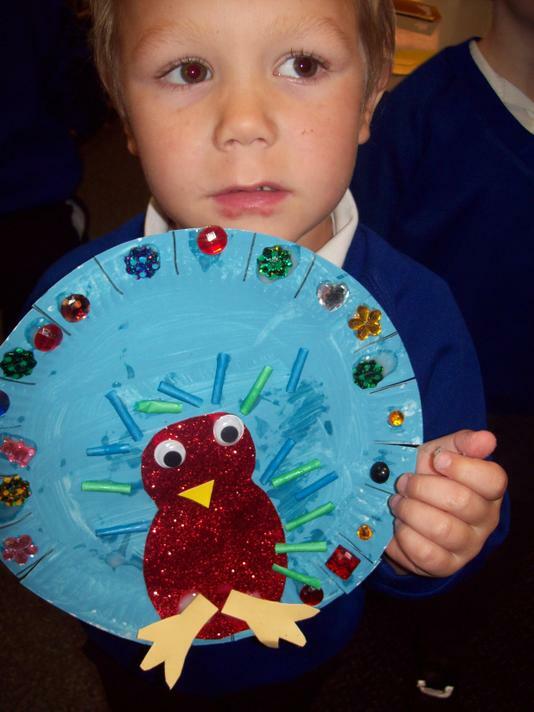 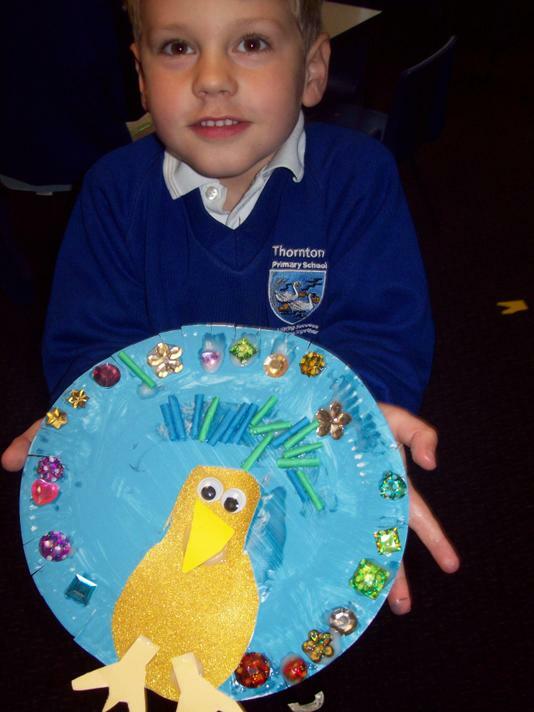 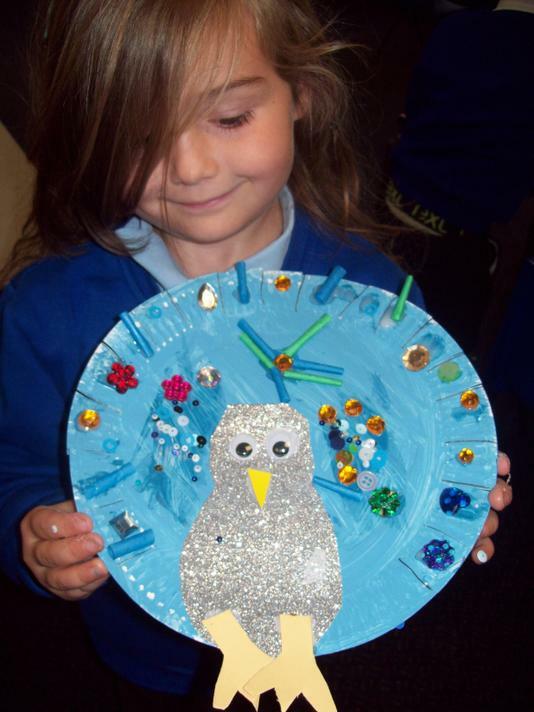 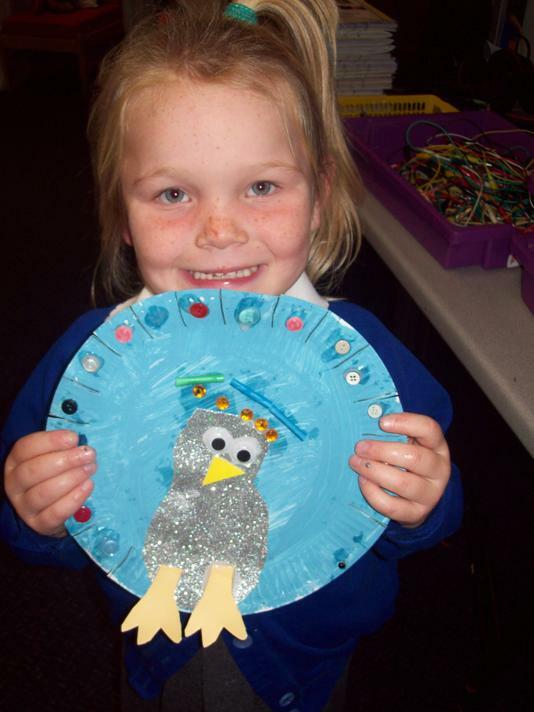 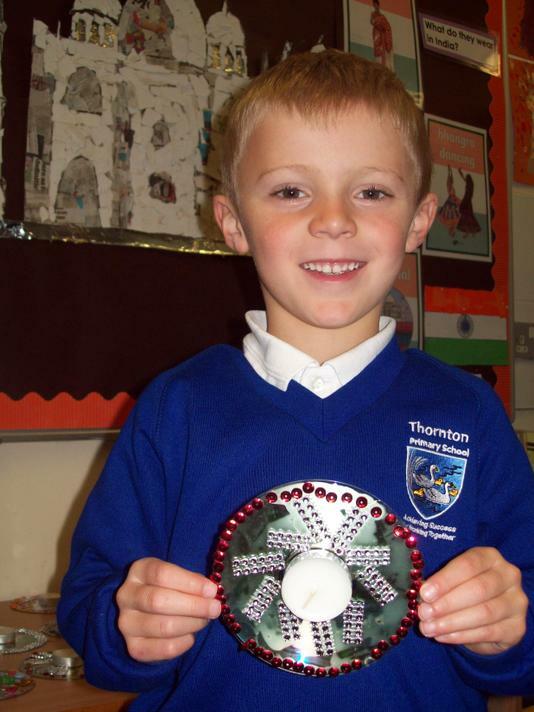 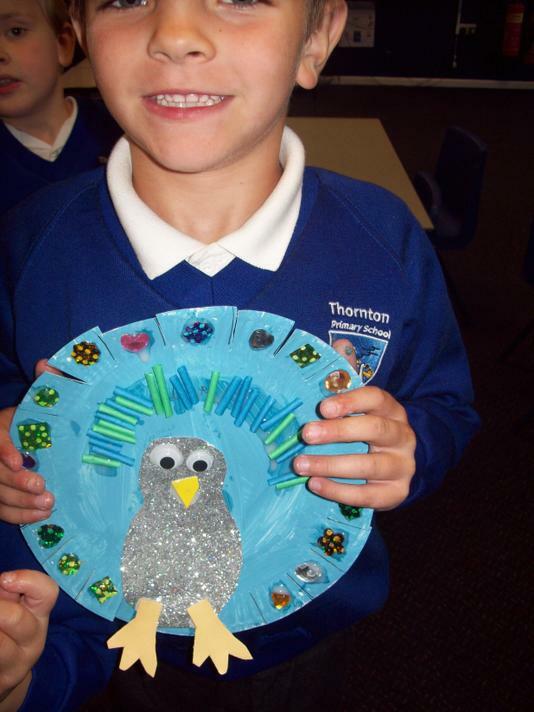 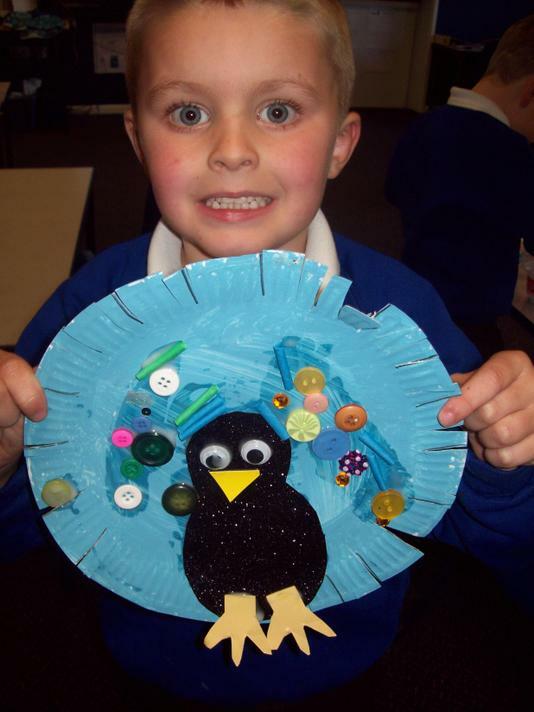 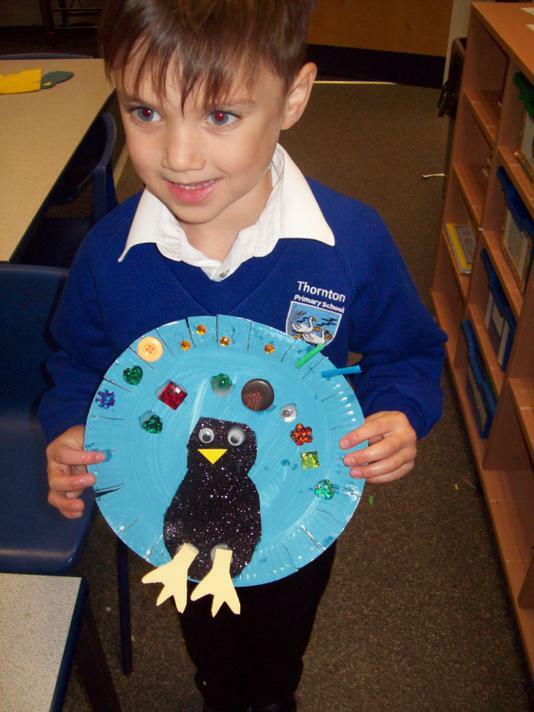 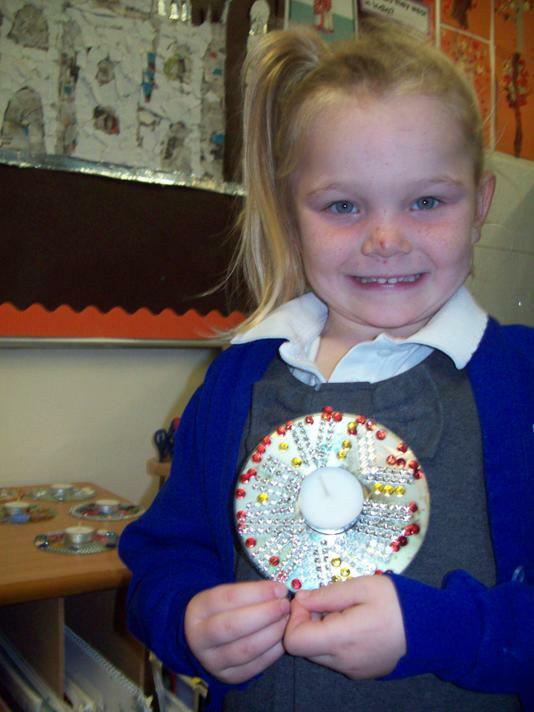 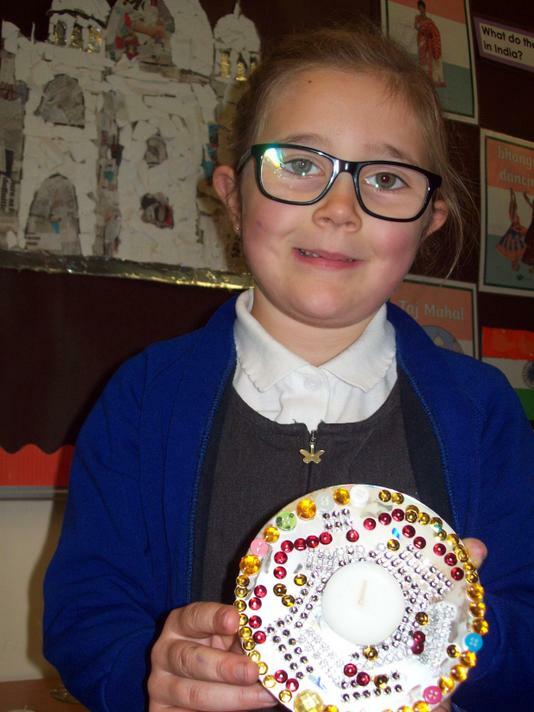 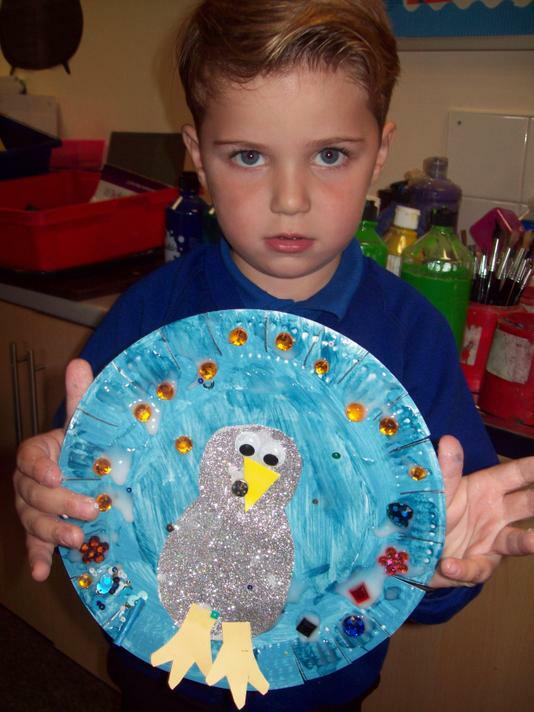 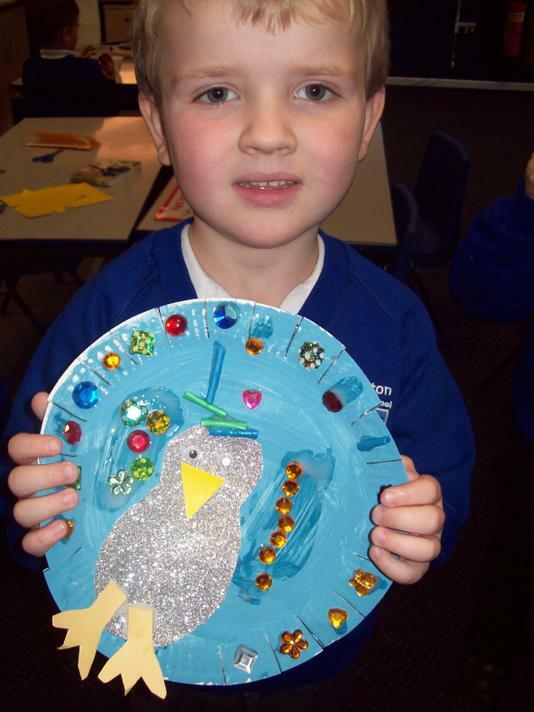 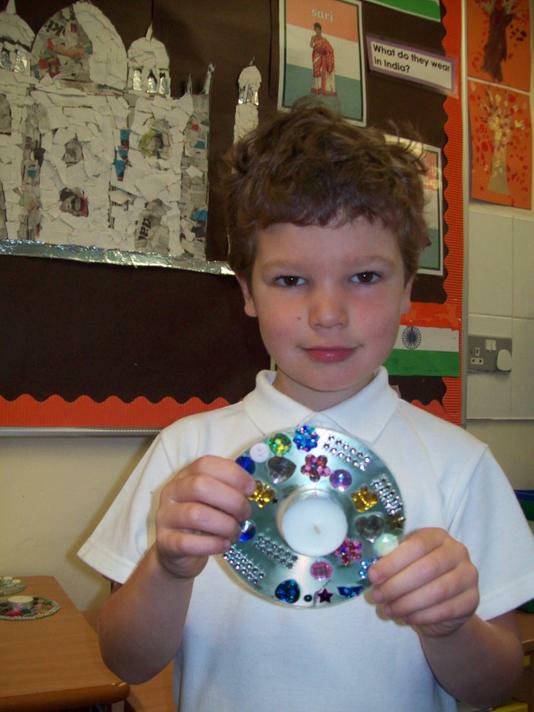 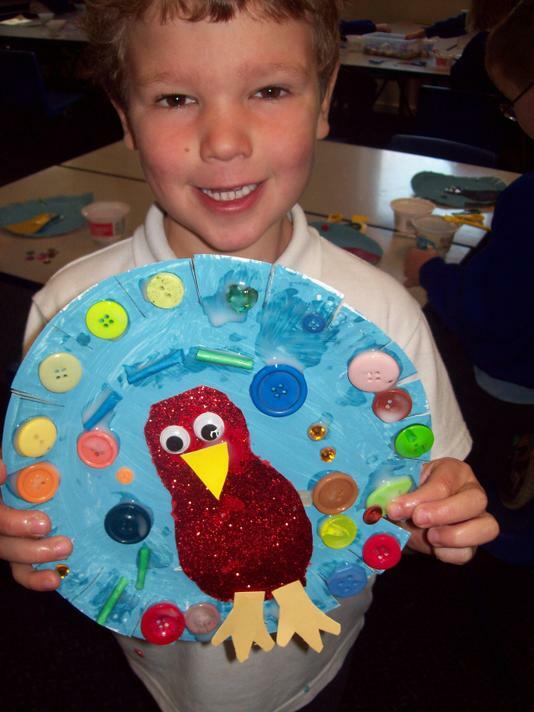 The children have produced wonderful pieces of artwork with Mrs Durham based around India, such as peacocks, rangoli patterns and diva lamps. 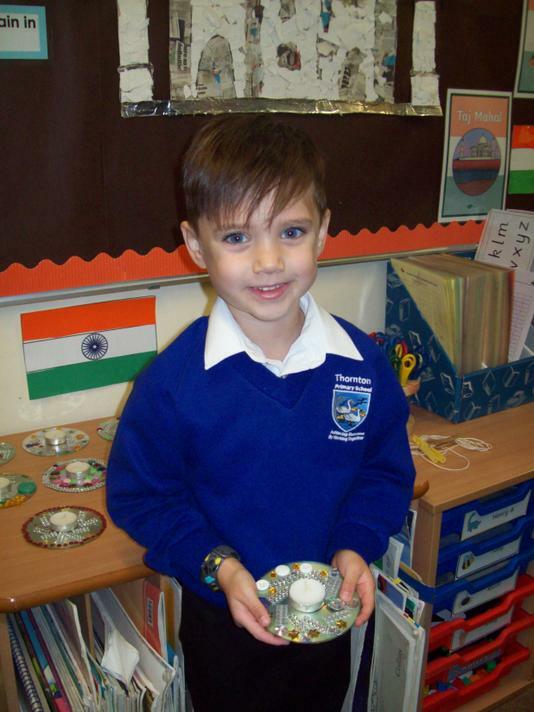 In topic, the children have explored different geographical features of India and made comparisons with England. 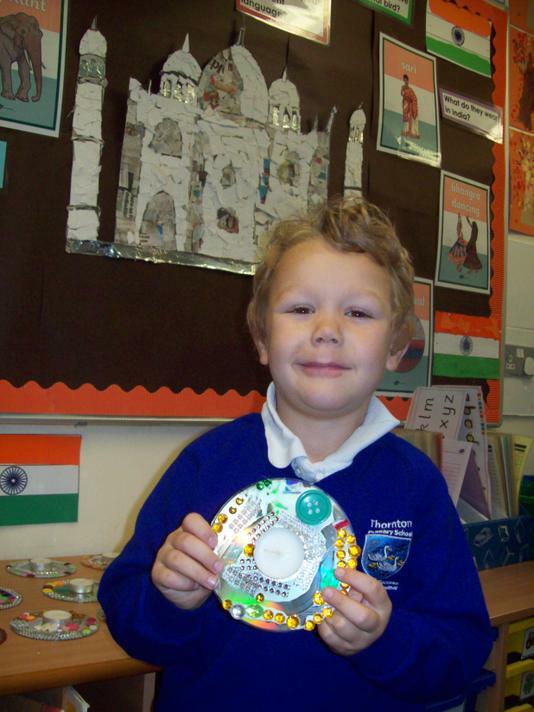 They have looked at the Mumbai slums and made comparisons with other parts of India. 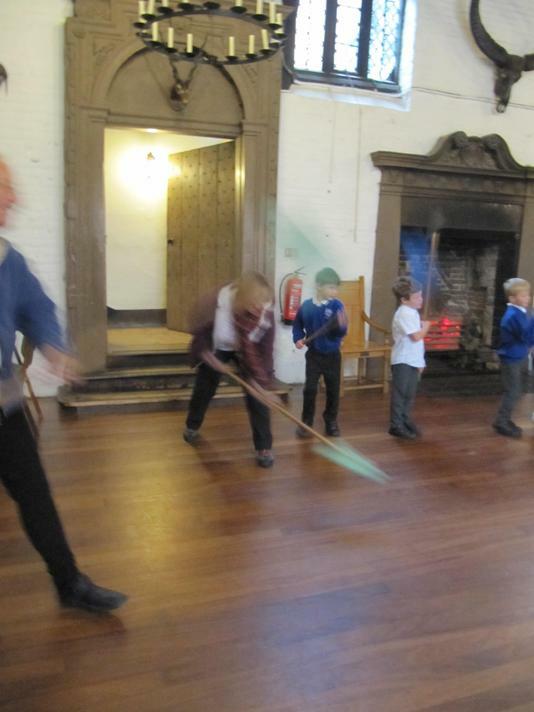 On Monday 3rd December, the children enjoyed an Indian Dance Workshop delivered in school by Dynamique Dance Company. 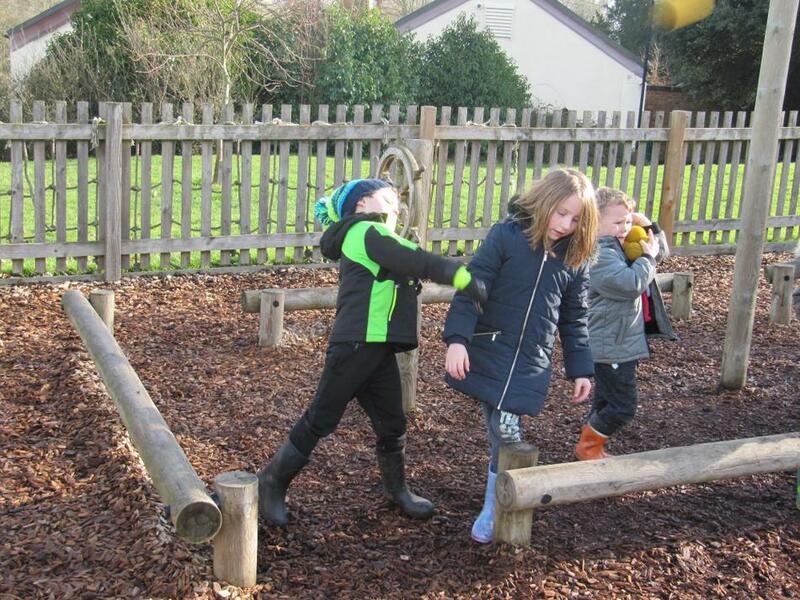 The children spent an hour working on different hand positions, before putting a dance routine together. 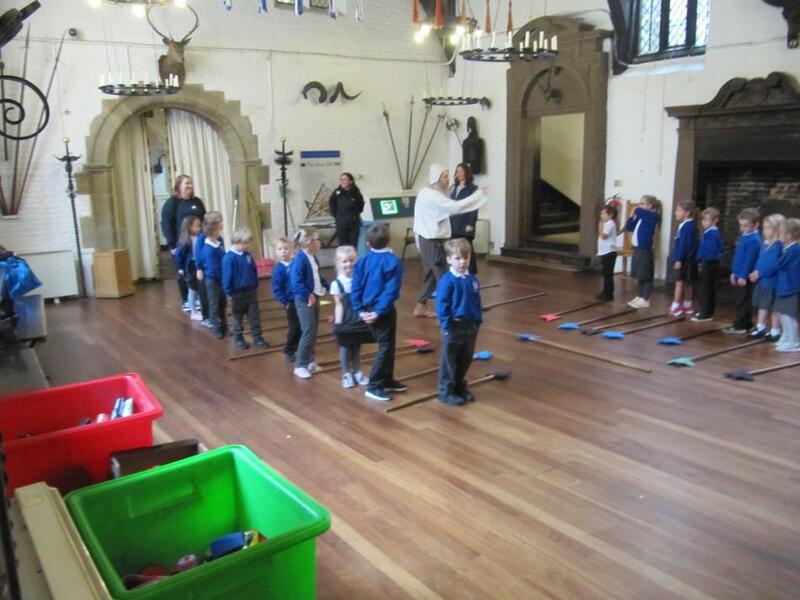 We then got together with the other group for a quick rehearsal before our audience arrived. 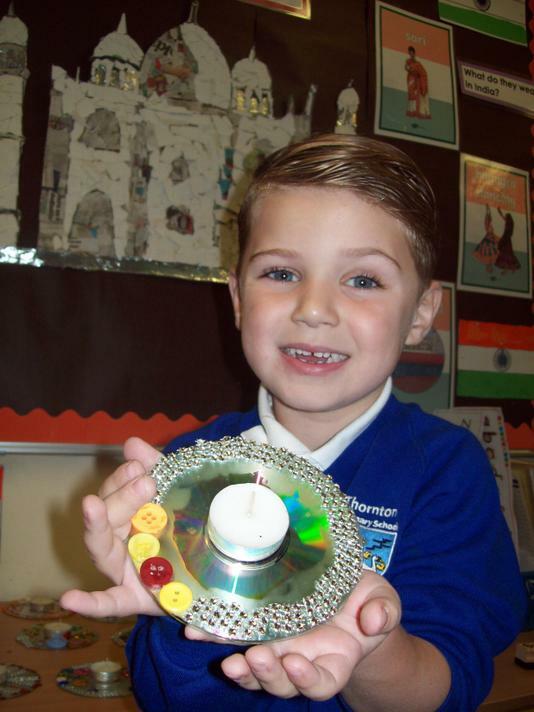 We look forward to furthering our knowledge of different countries as we move onto 'Around the World’ after our Christmas break! 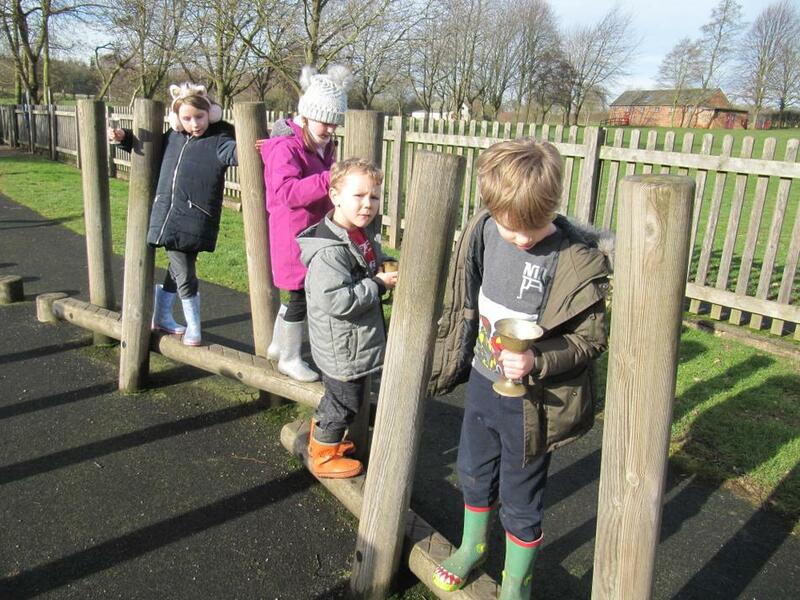 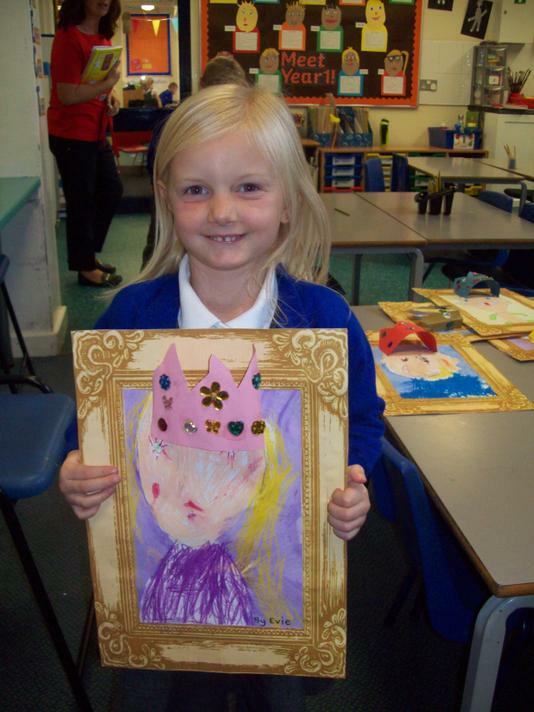 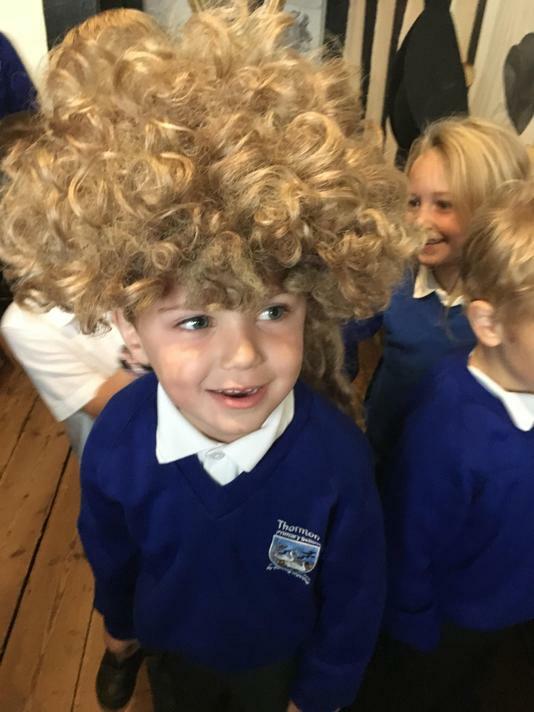 What a busy and brilliant first half term in Year 1! 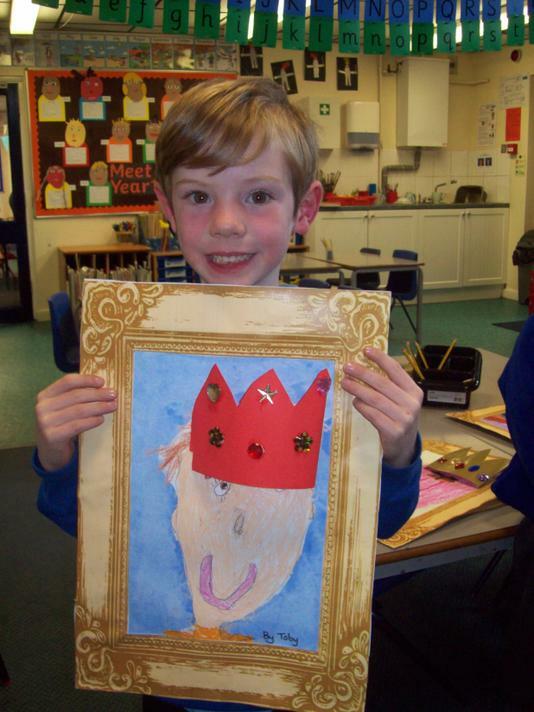 This term in English the children have made great progress with their writing. 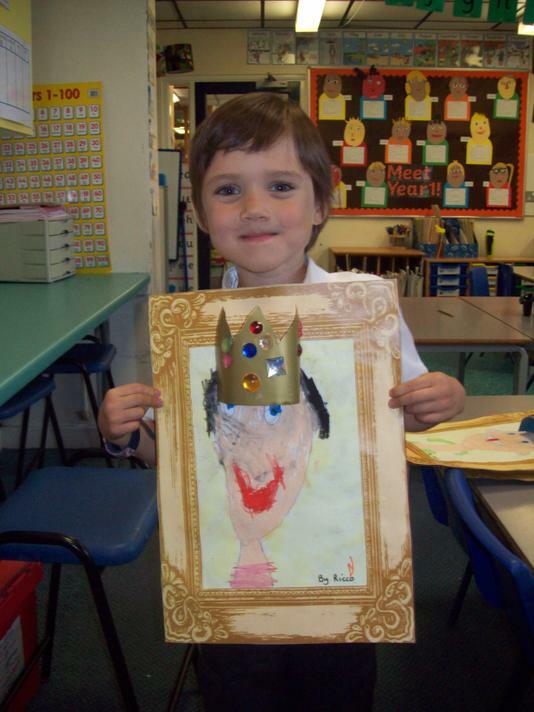 We began the term looking at Cinderella and worked towards writing our own version of Cinderella, using adjectives. 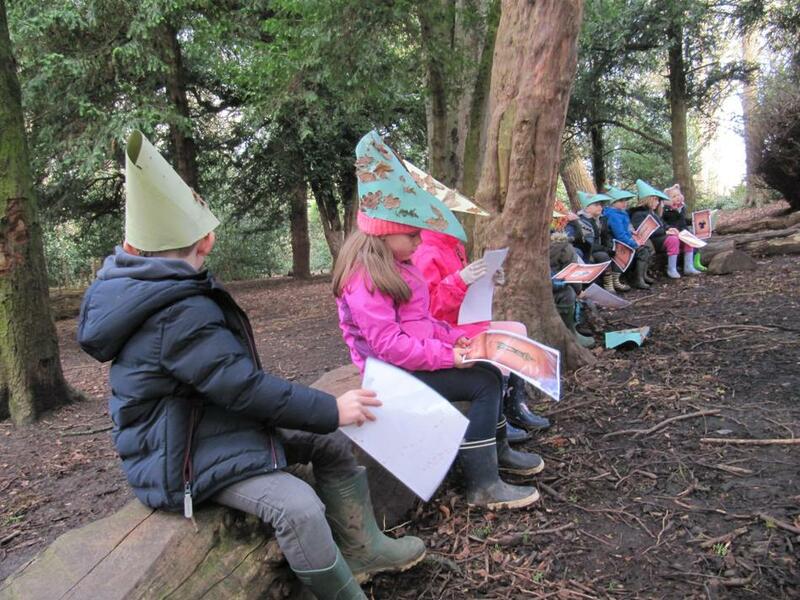 The stories produced were brilliant, you wouldn't believe they were written by year 1 children in their first term! 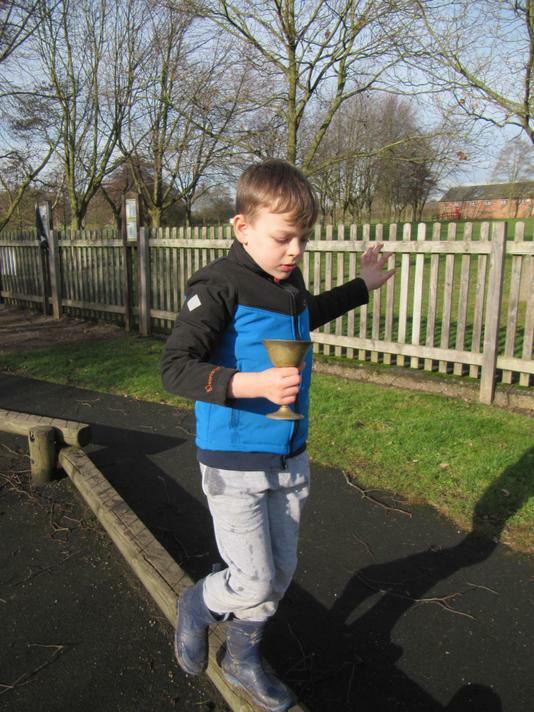 We then moved onto exploring different forms of poetry and produced our own acrostic poems. 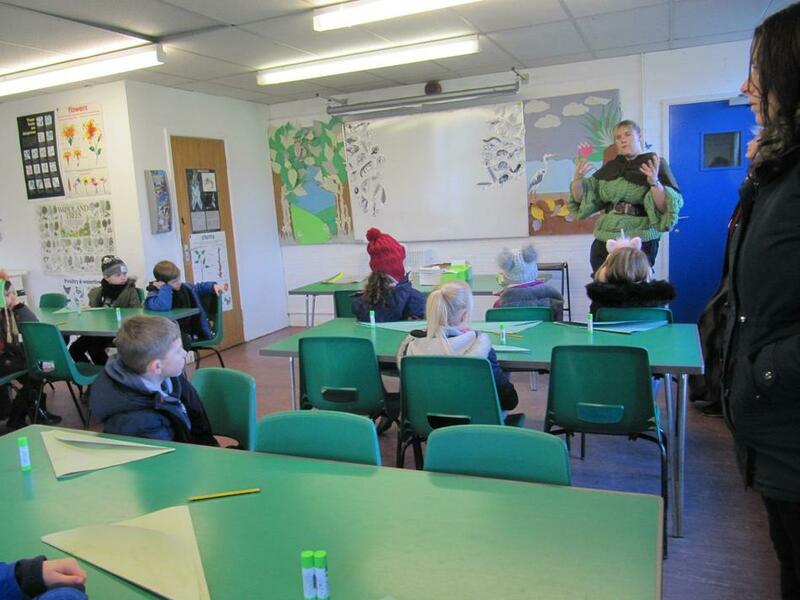 The children wrote fantastic poems about dragons, with some children using similes! 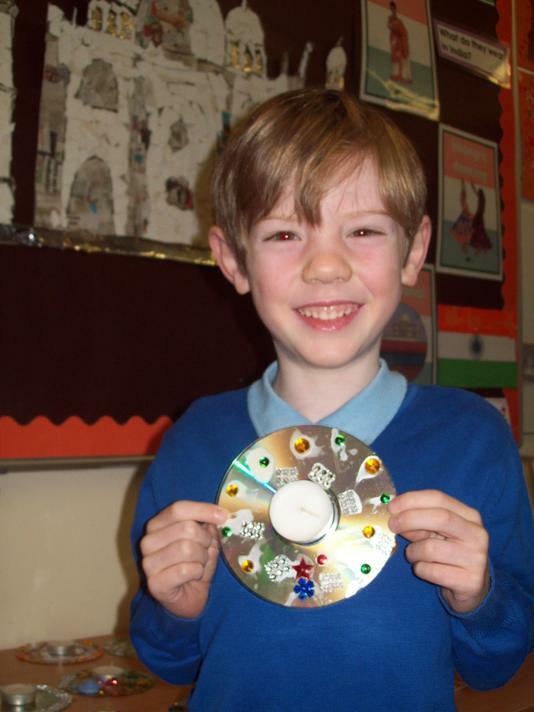 In Maths, the children have looked at place value and addition and subtraction. 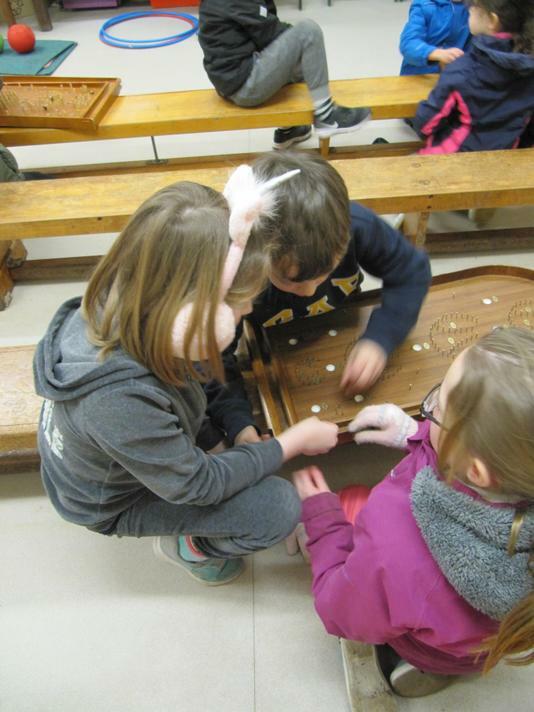 We have begun to use counting on and back to find the difference and work out totals. 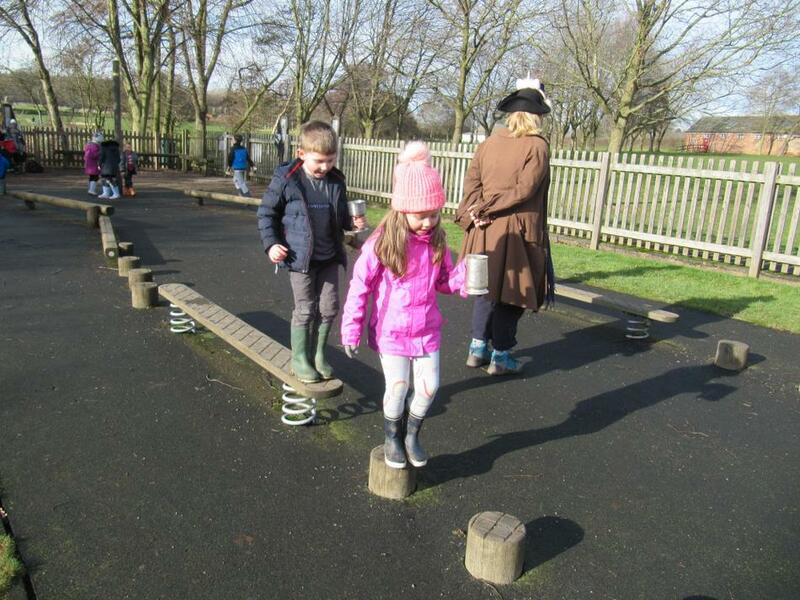 The children have explored a range of different methods that they can use when attempting to answer a number sentence. 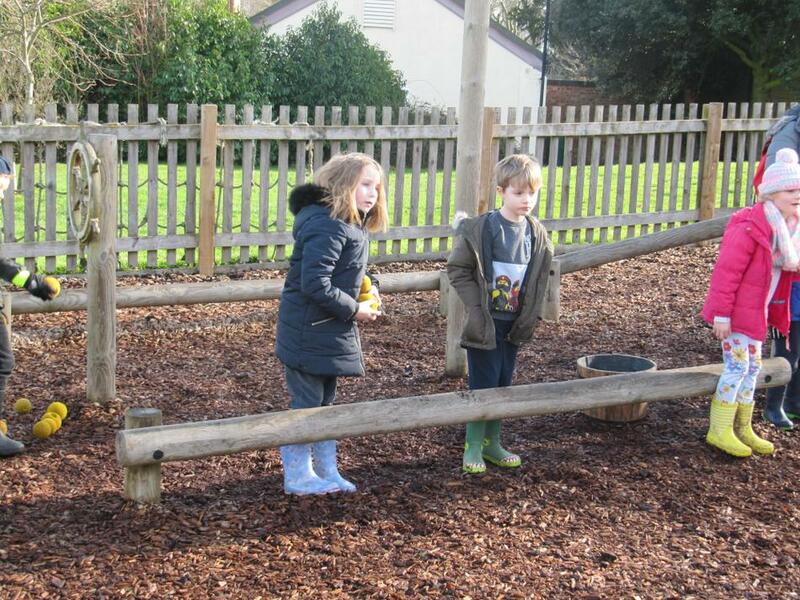 Their rapid recall of number bonds to 10 has also improved. 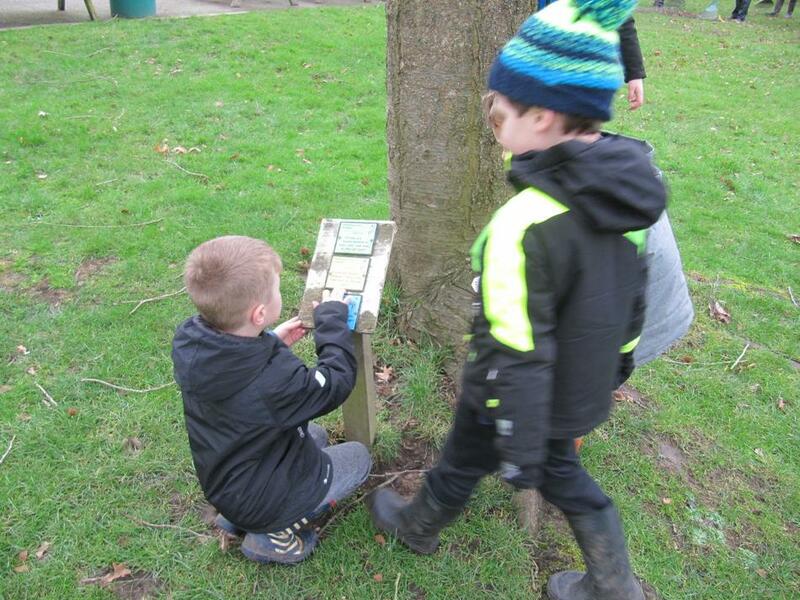 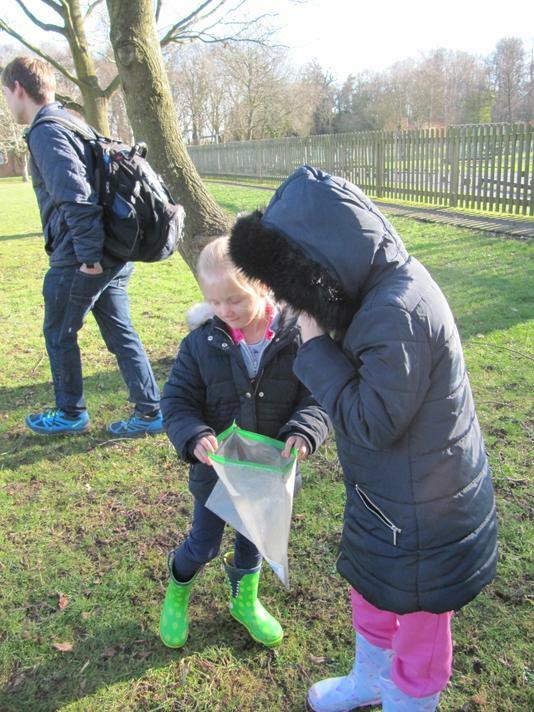 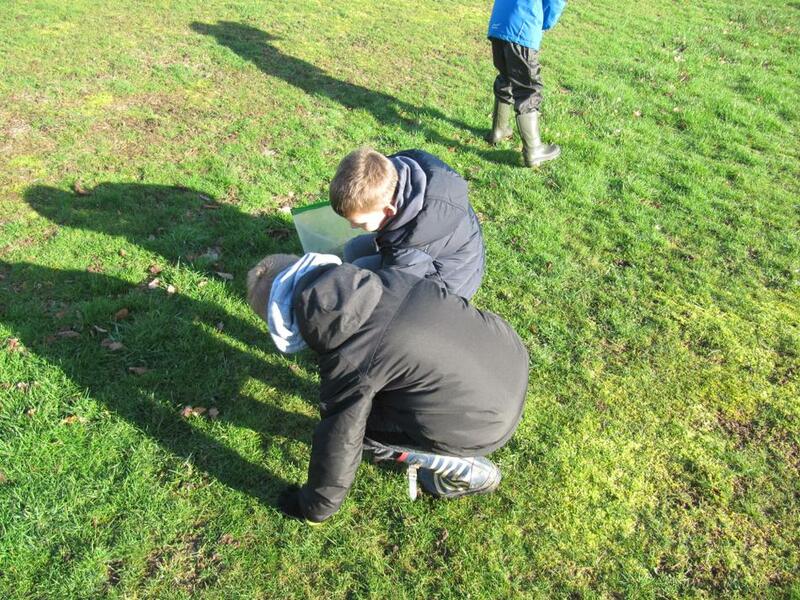 In Science, we began the term by looking at the weather in Autumn and conducted an investigation into the daily temperatures and average rainfall over a week. 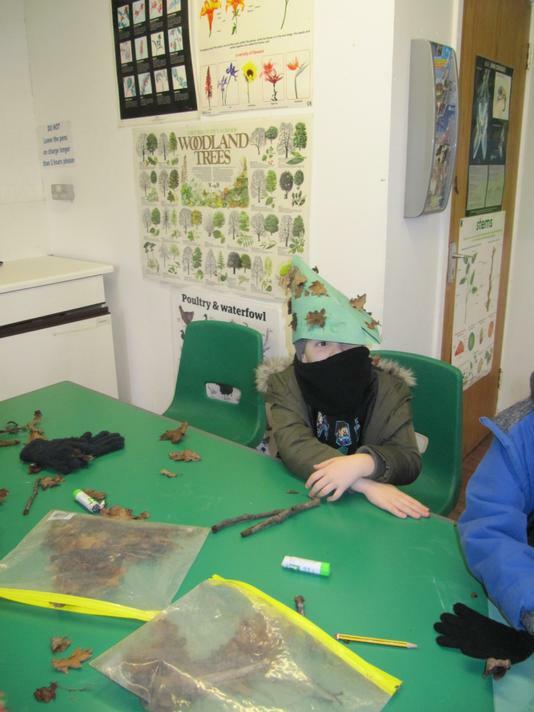 We sorted items of clothing into the four seasons and talked about different calendar events that occur in each season. 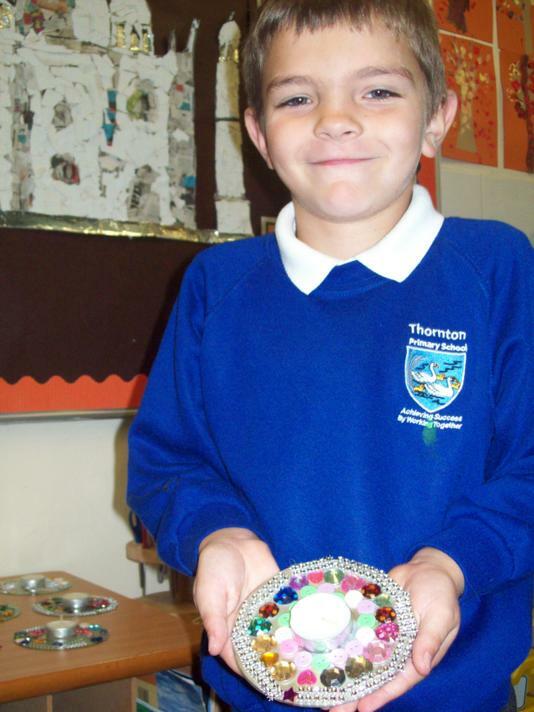 After this, we began to look at ‘Everyday Materials’ and their properties. 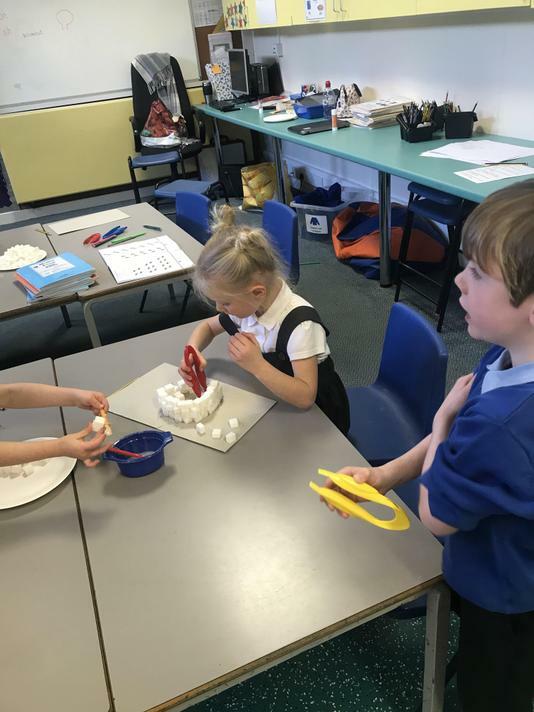 We sorted objects according to their material and tested the properties of a range of materials. 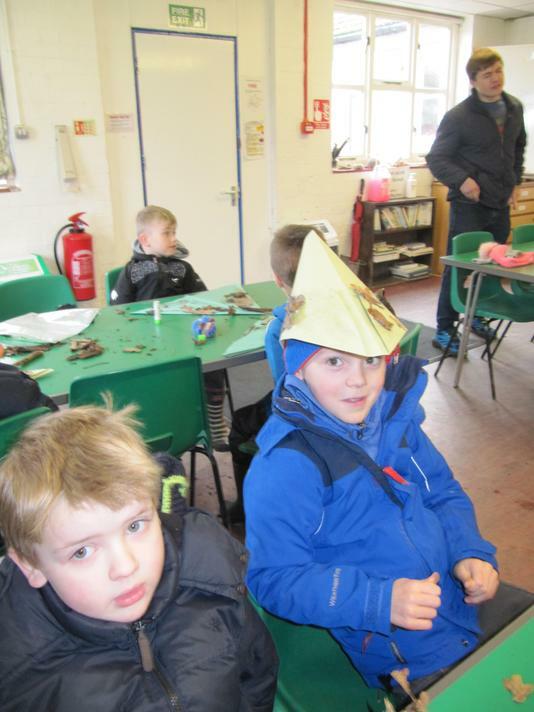 Finally, we investigated the best material for Ted’s umbrella. 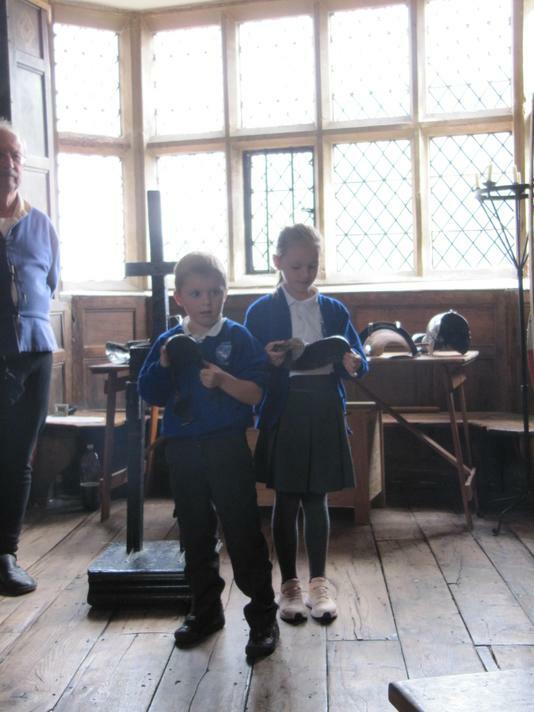 We enjoyed performing 'The Enormous Turnip' story during the Harvest Festival at the church. 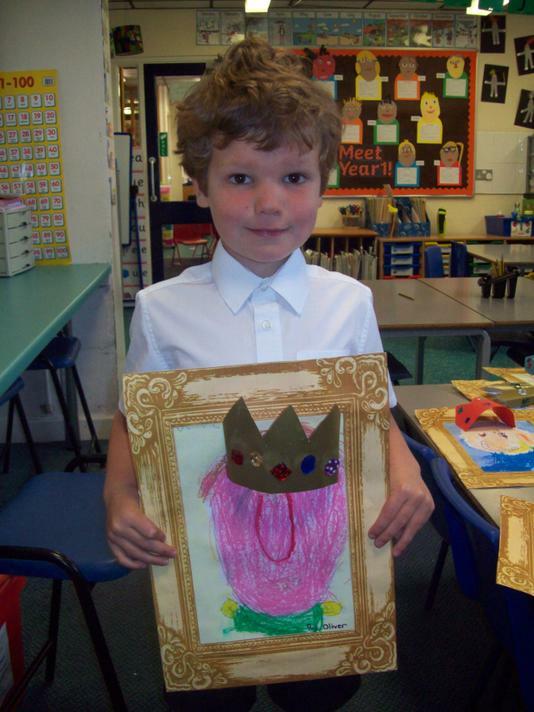 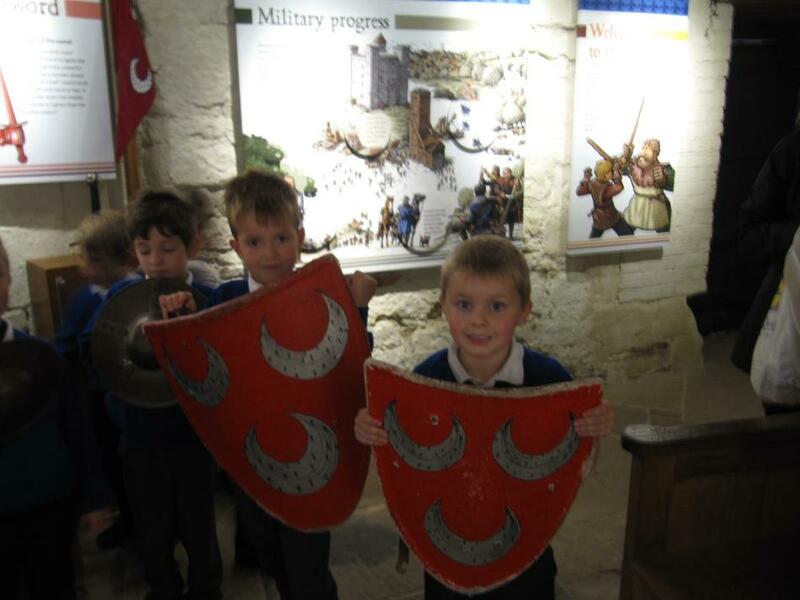 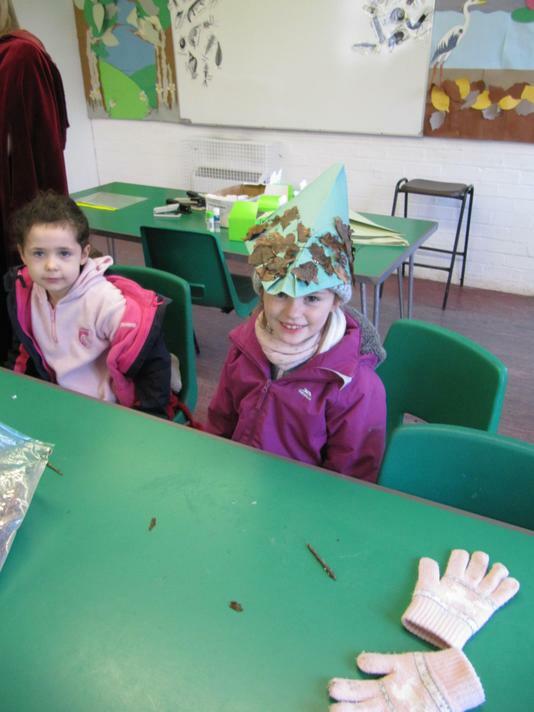 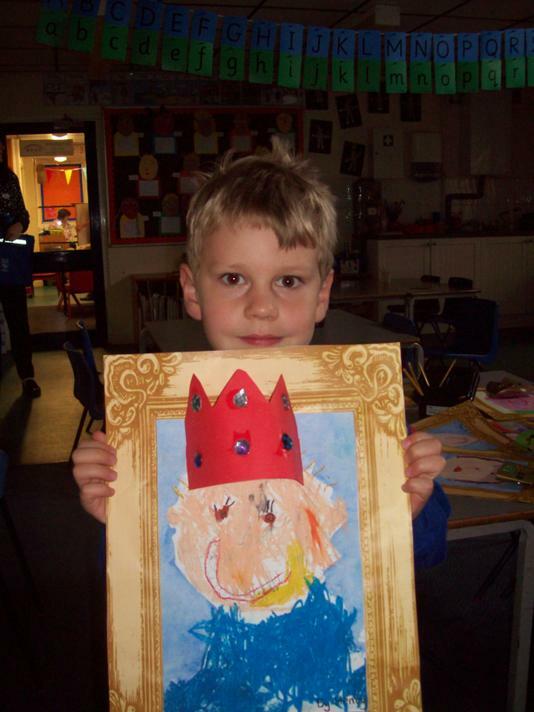 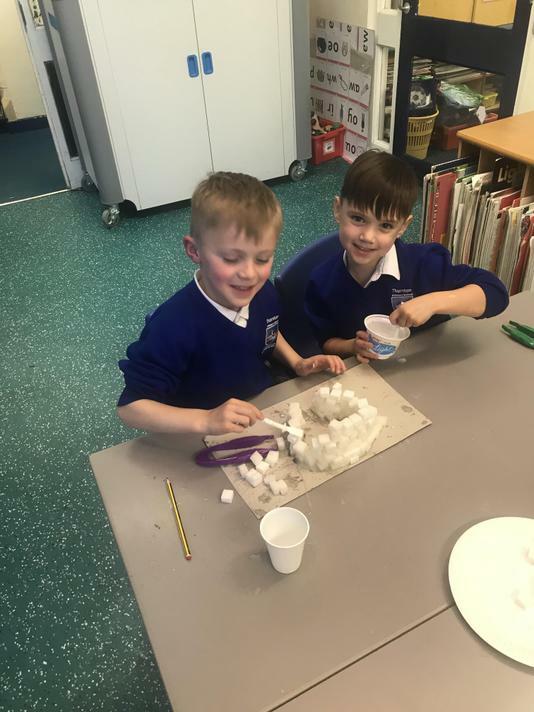 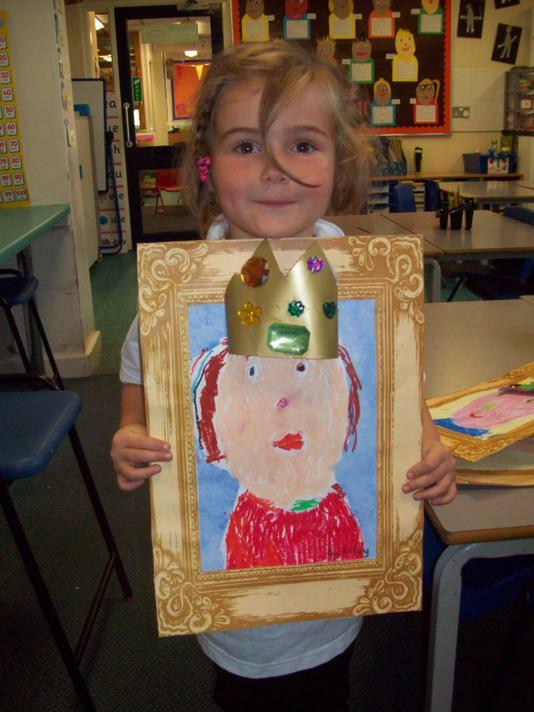 The children have thoroughly enjoyed their ‘Castles’ topic, exploring the different types of castles and the features. 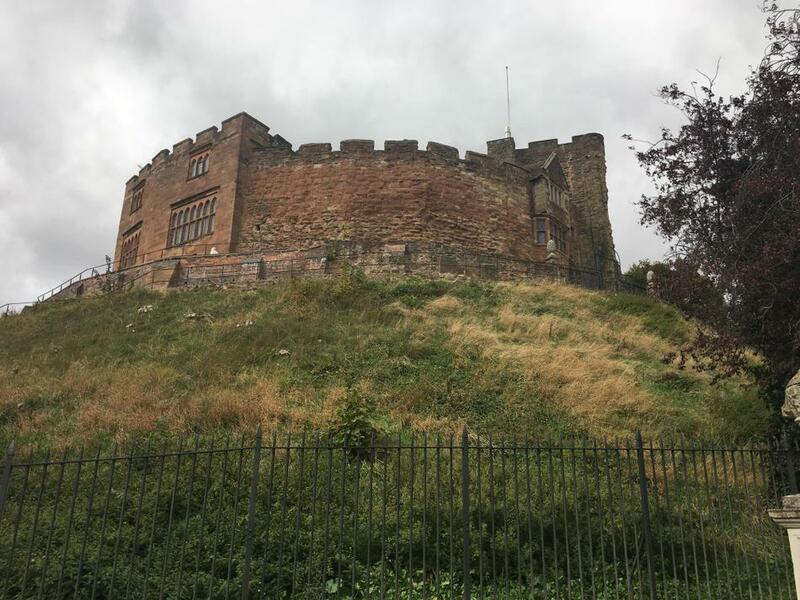 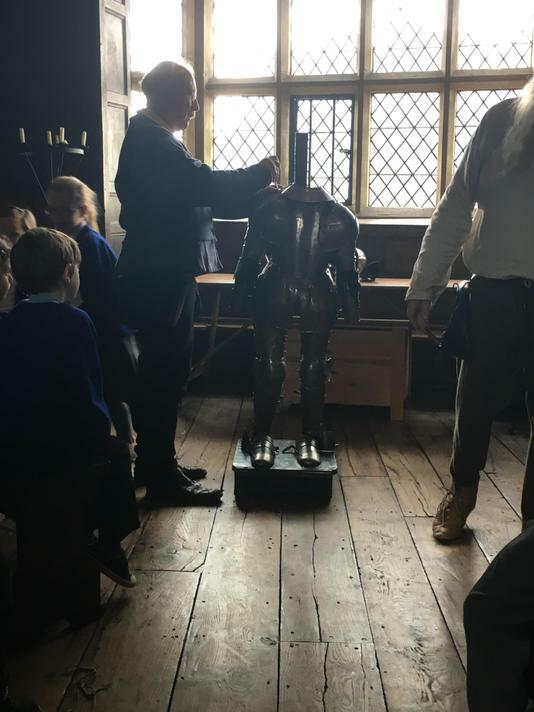 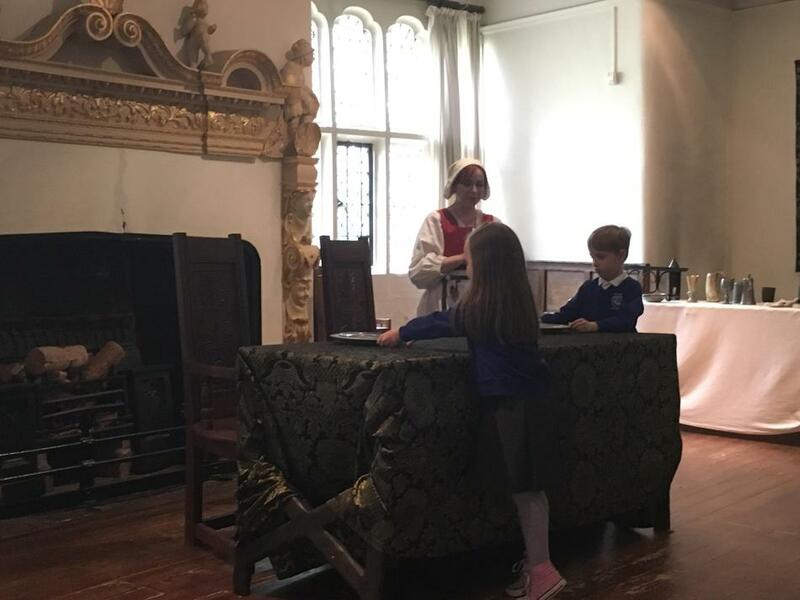 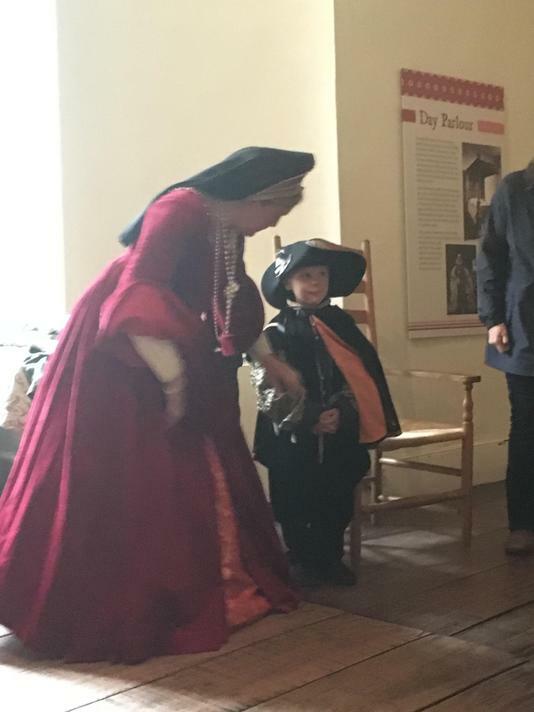 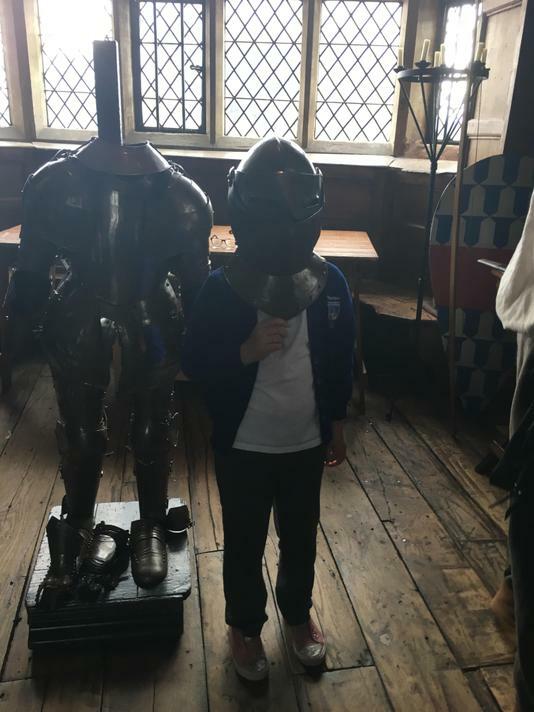 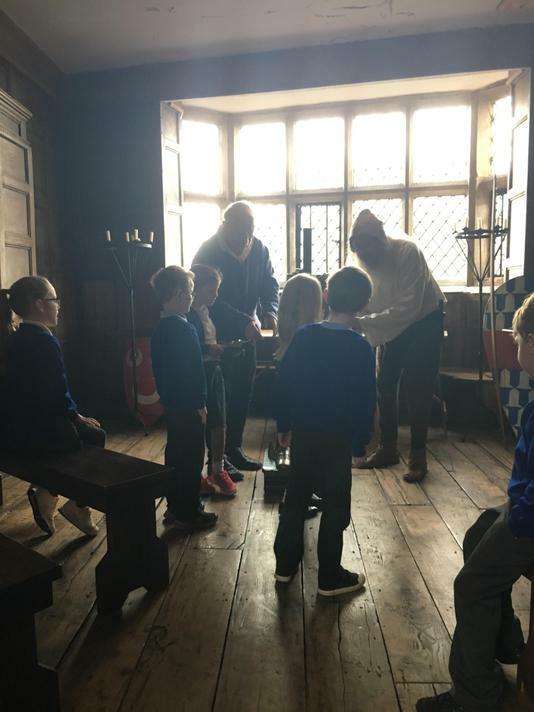 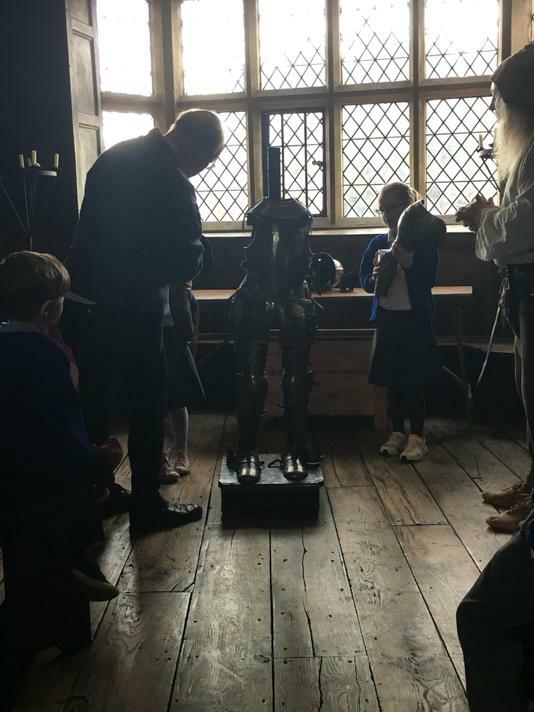 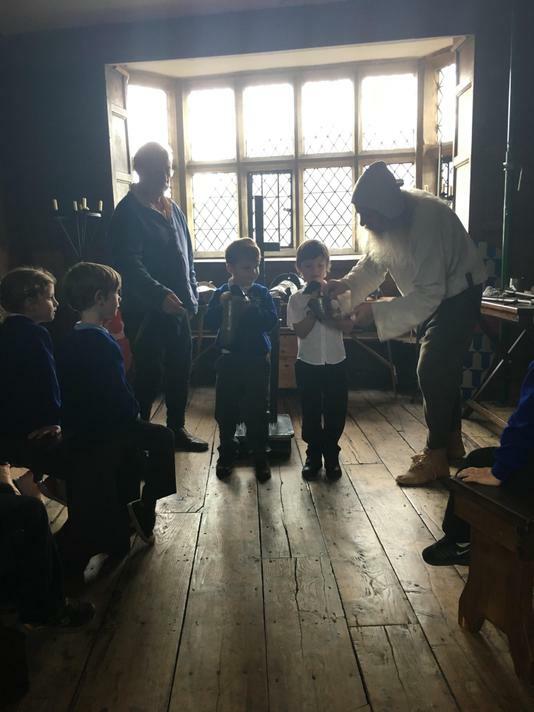 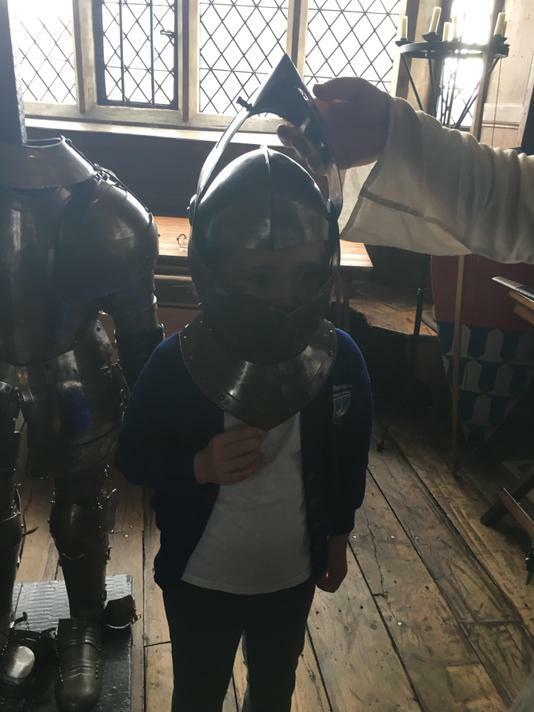 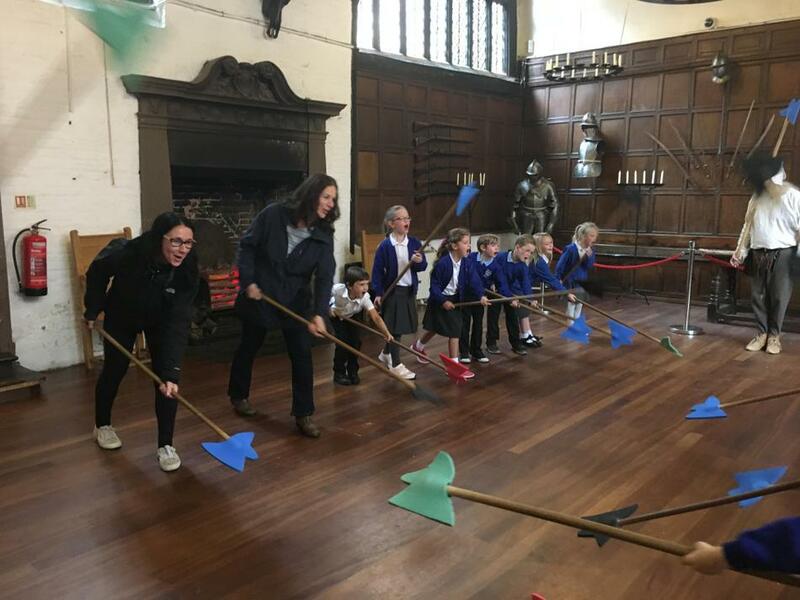 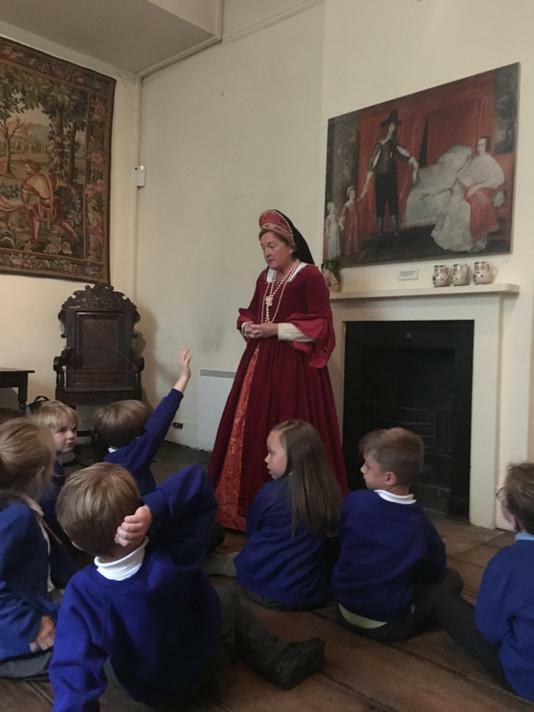 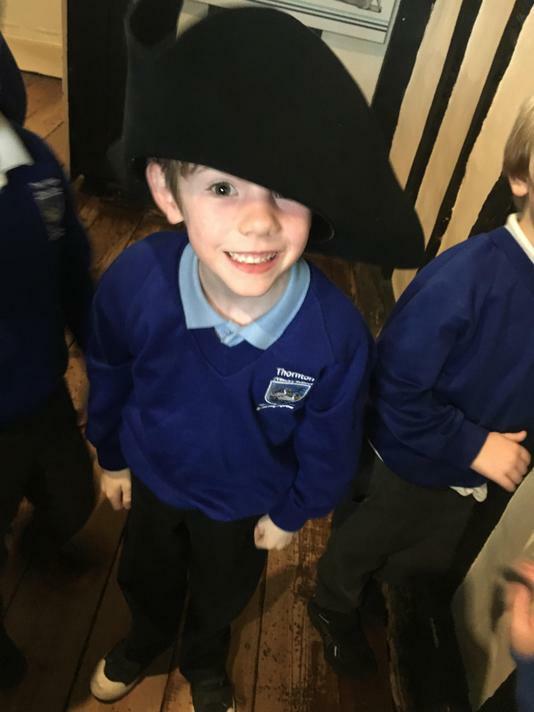 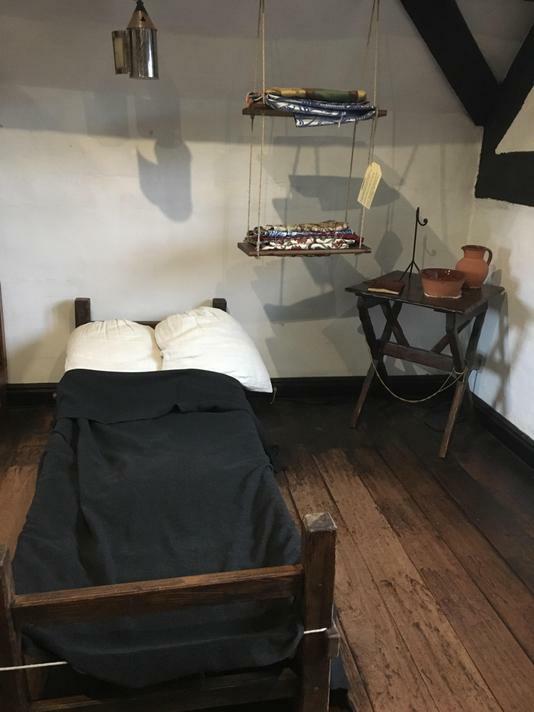 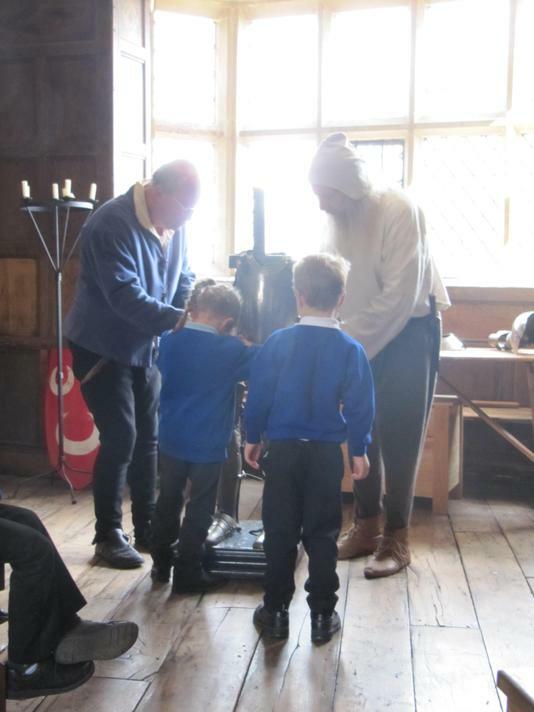 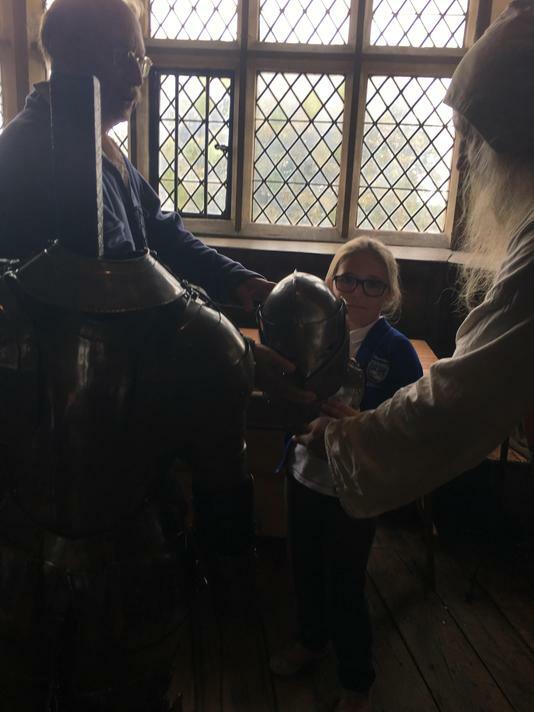 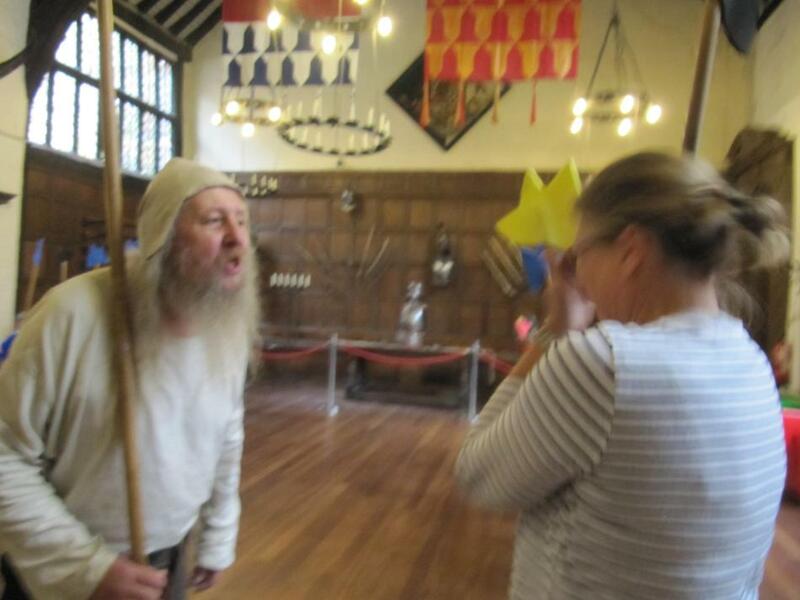 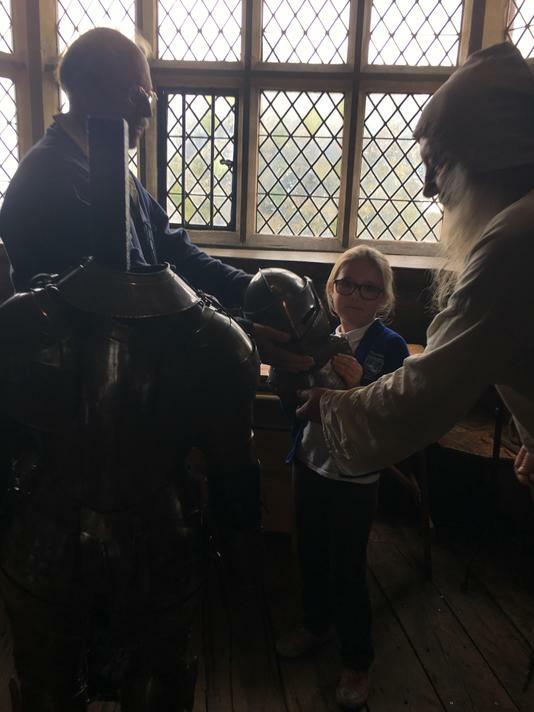 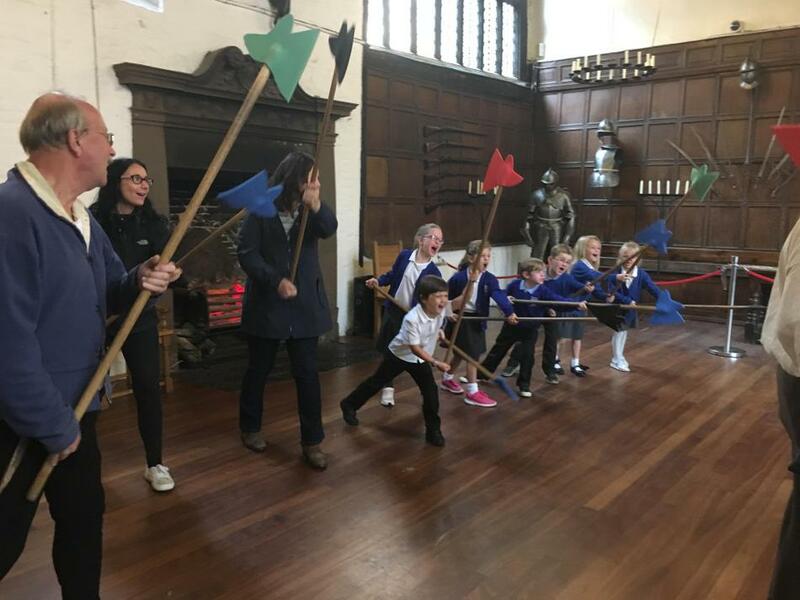 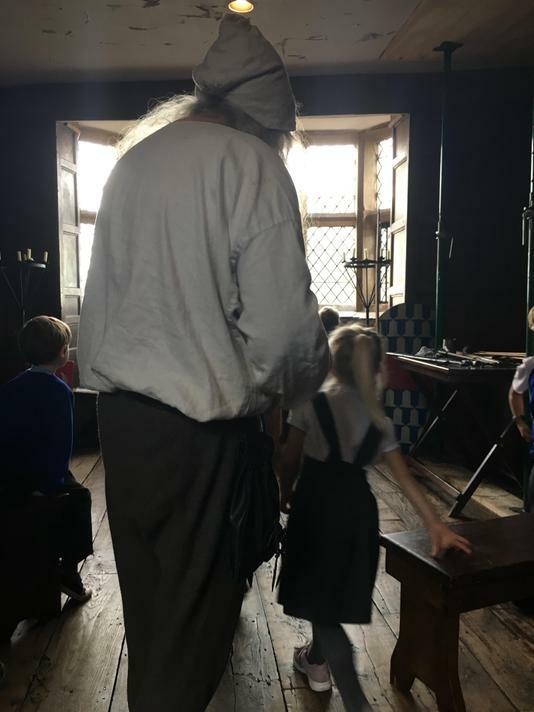 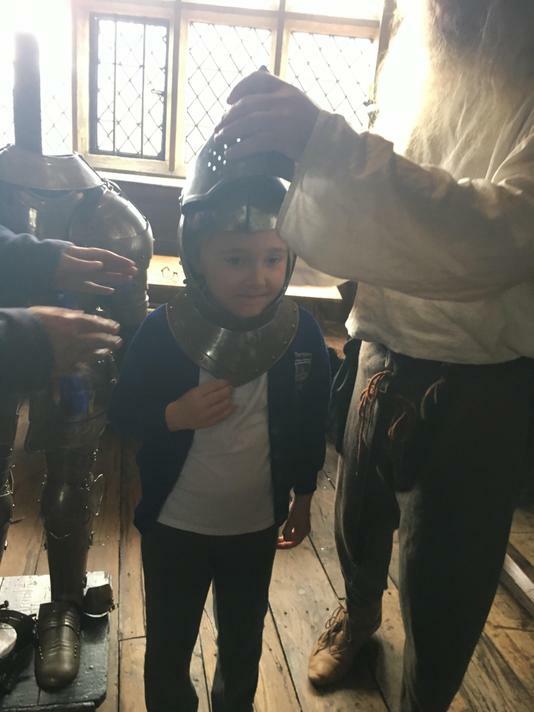 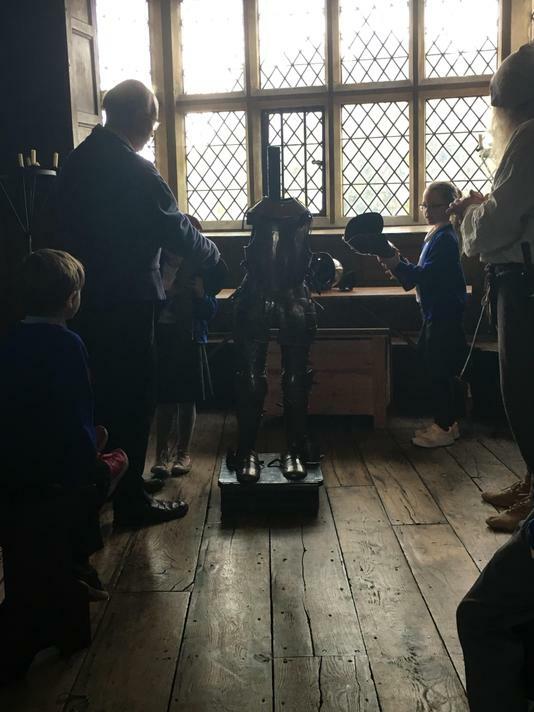 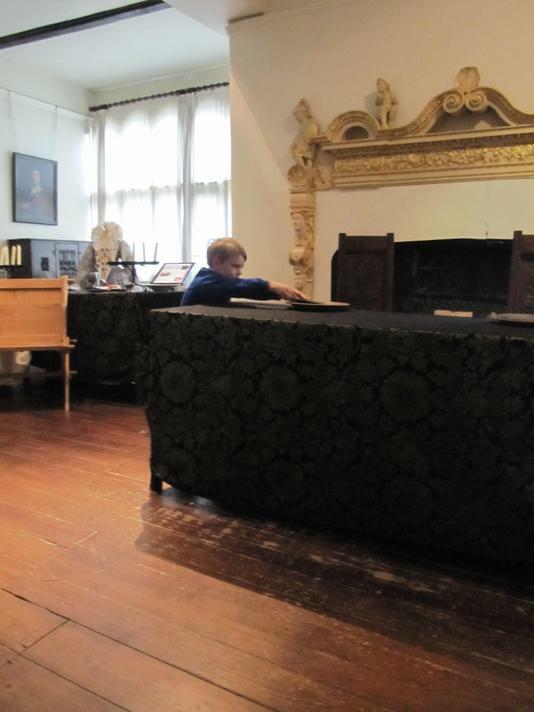 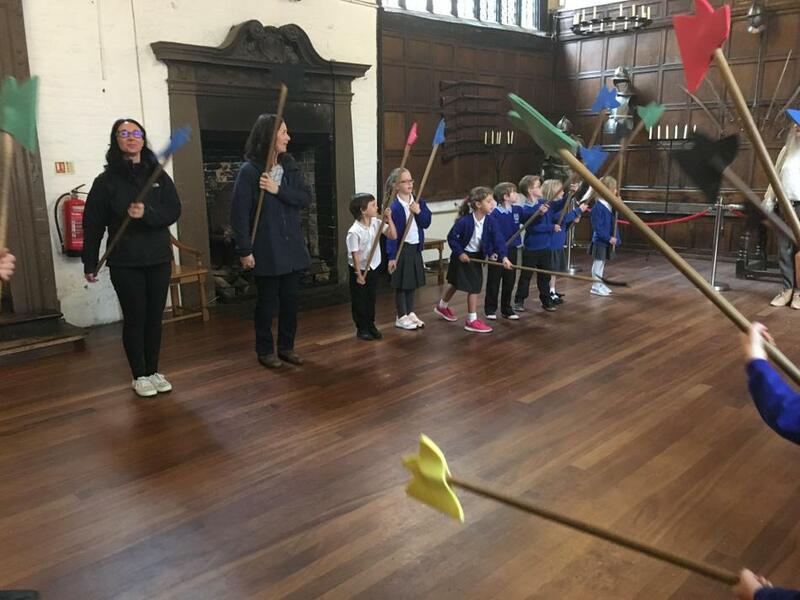 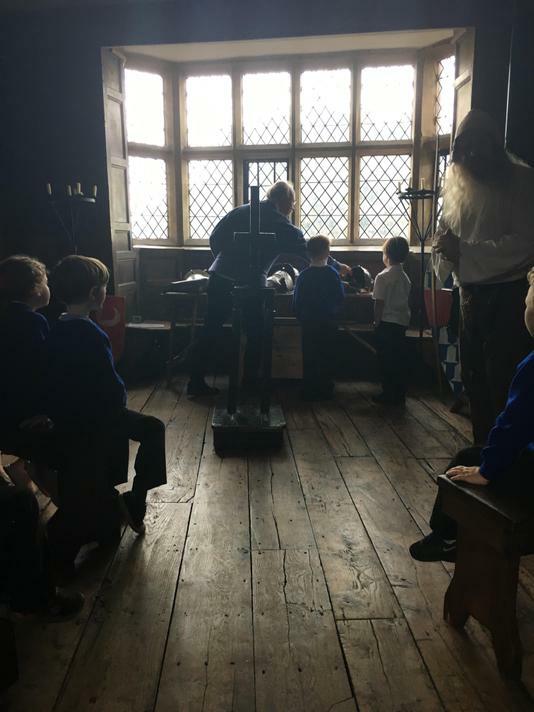 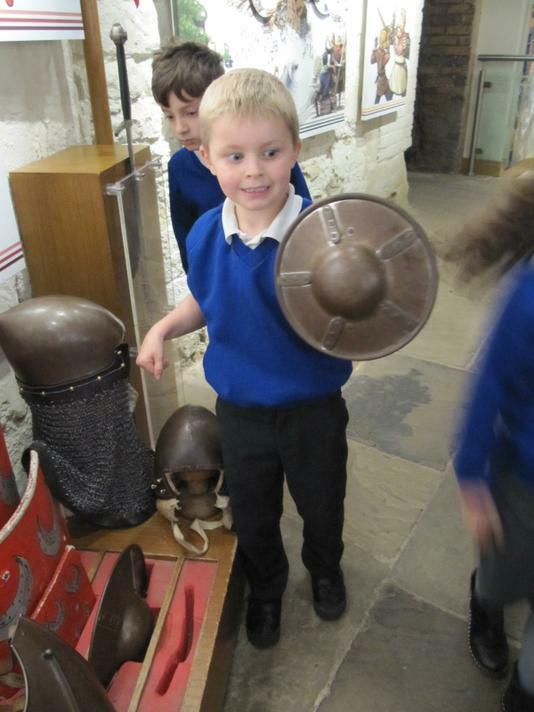 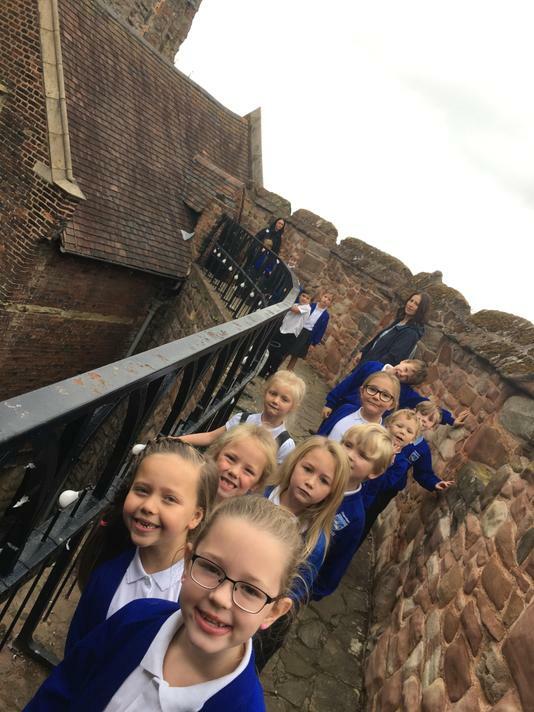 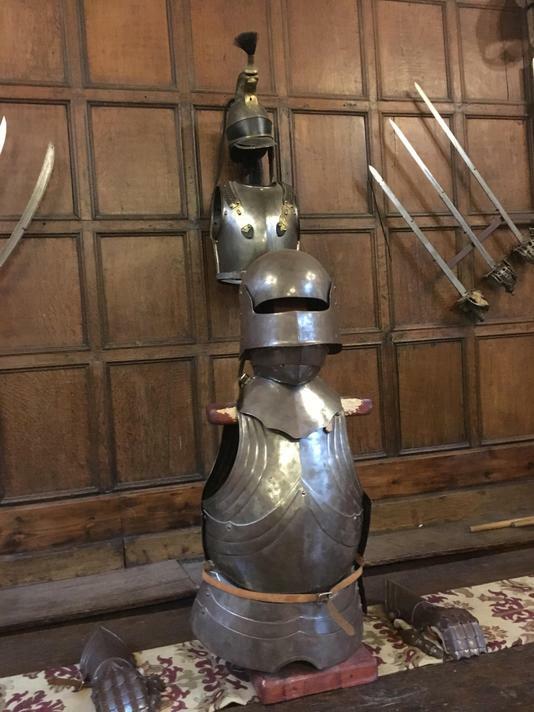 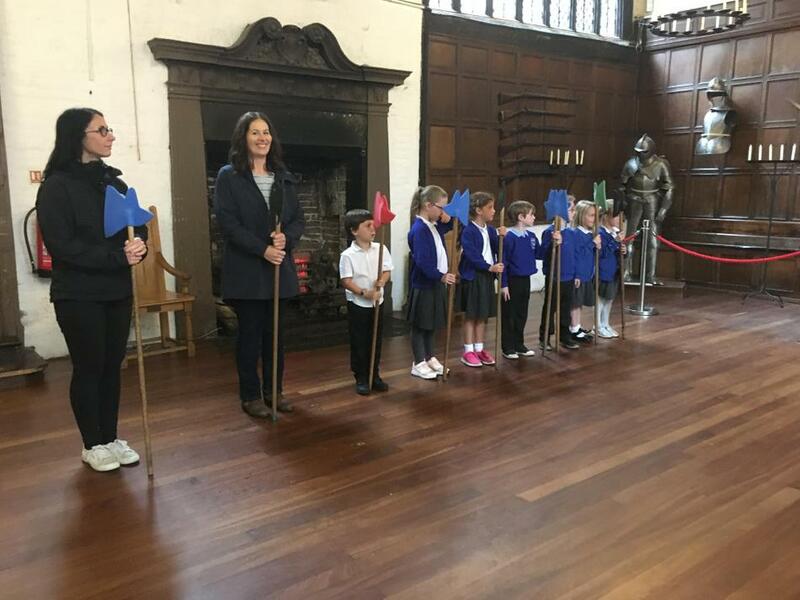 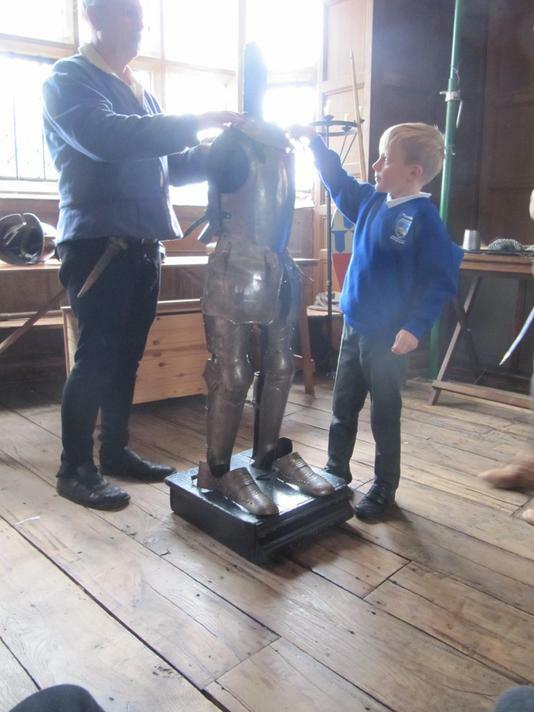 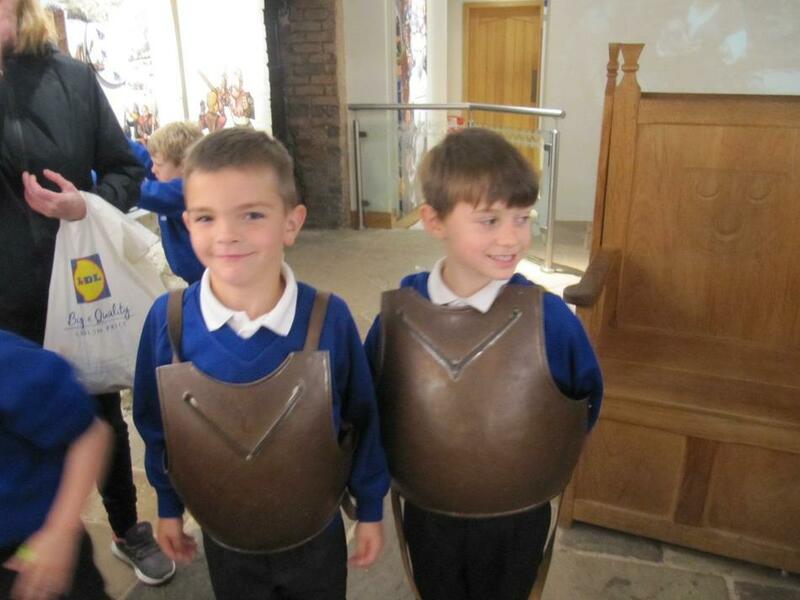 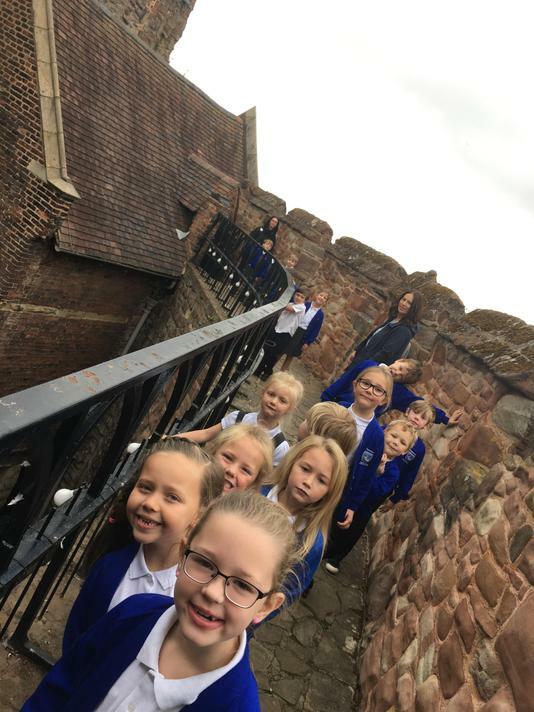 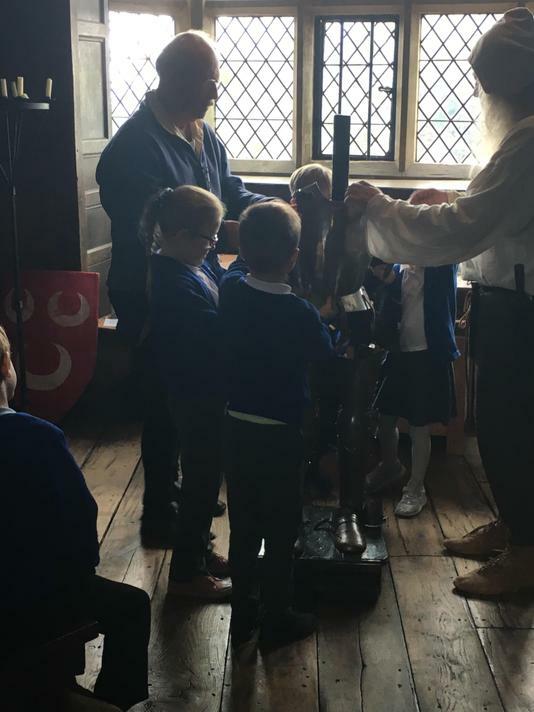 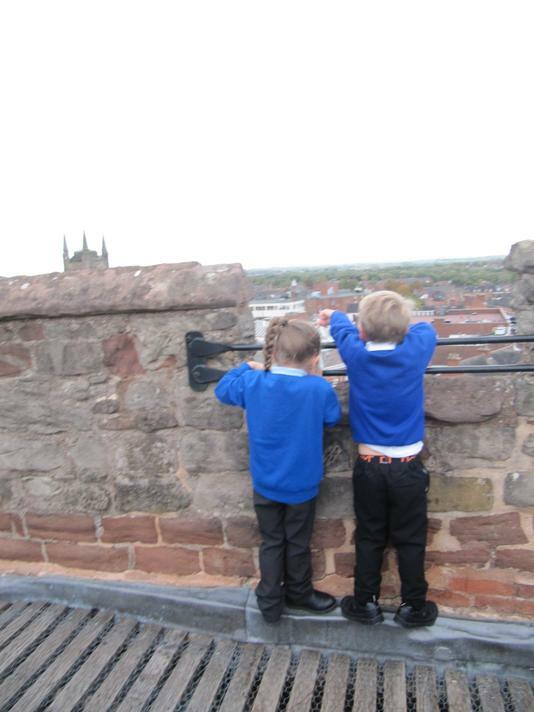 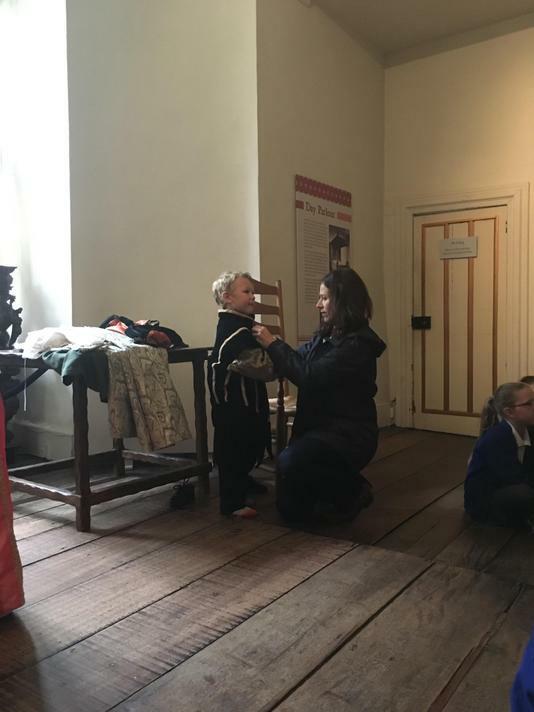 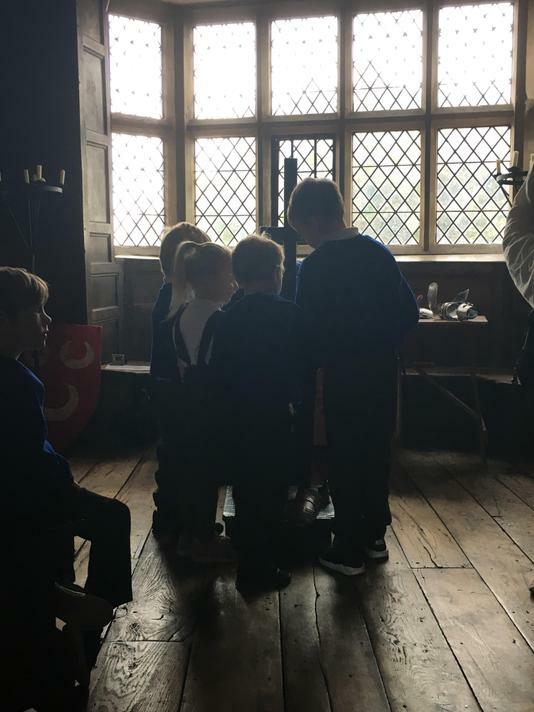 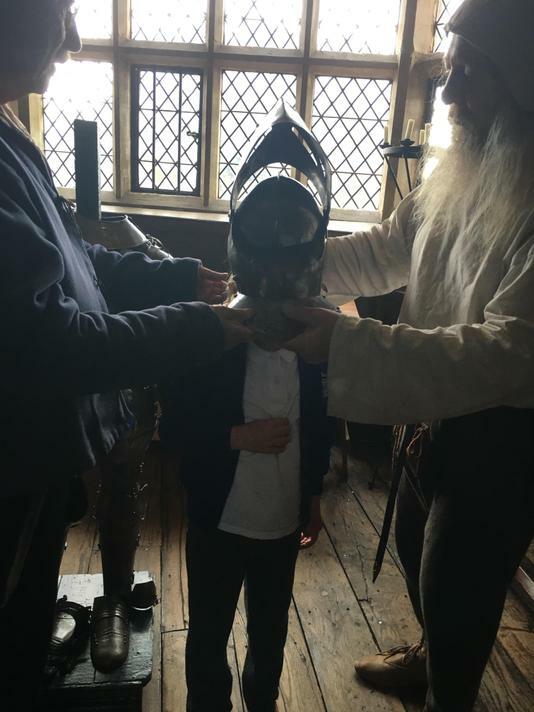 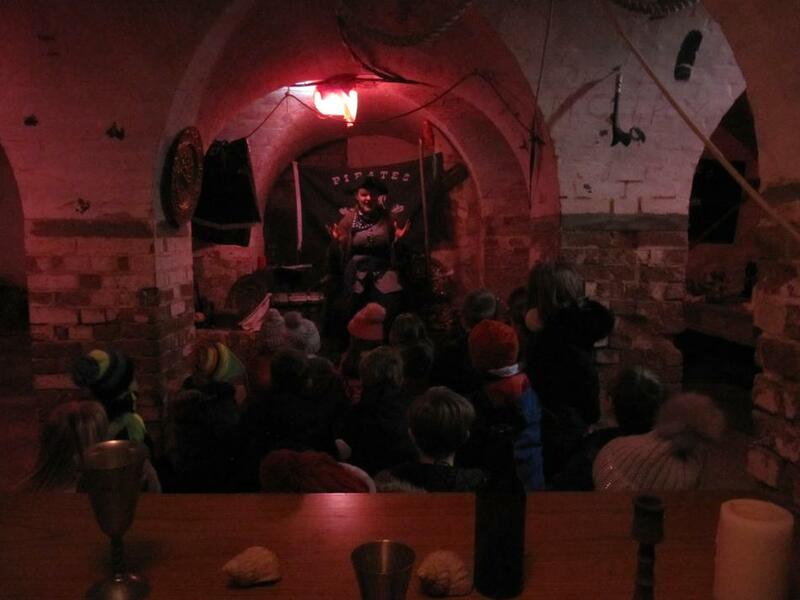 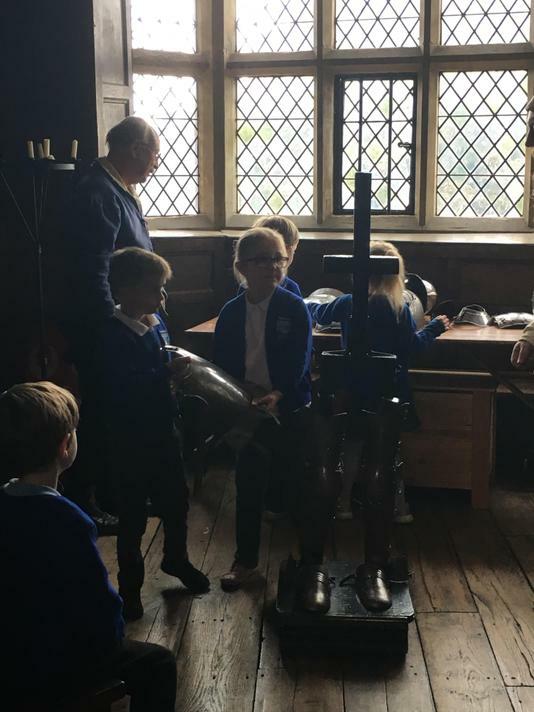 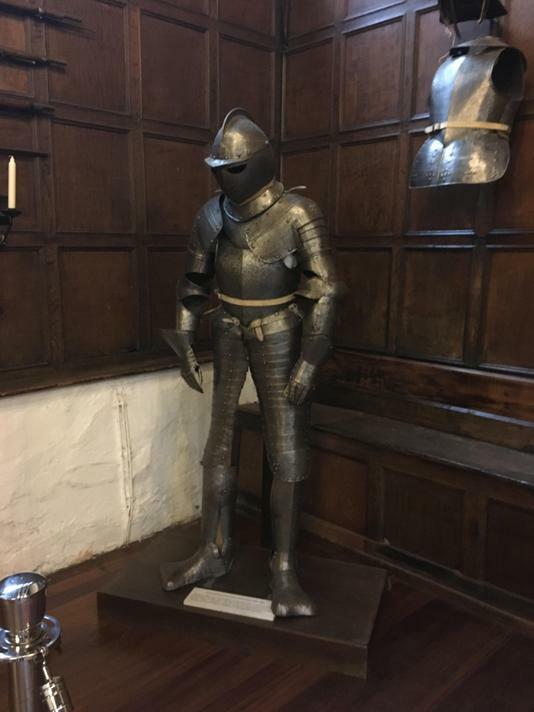 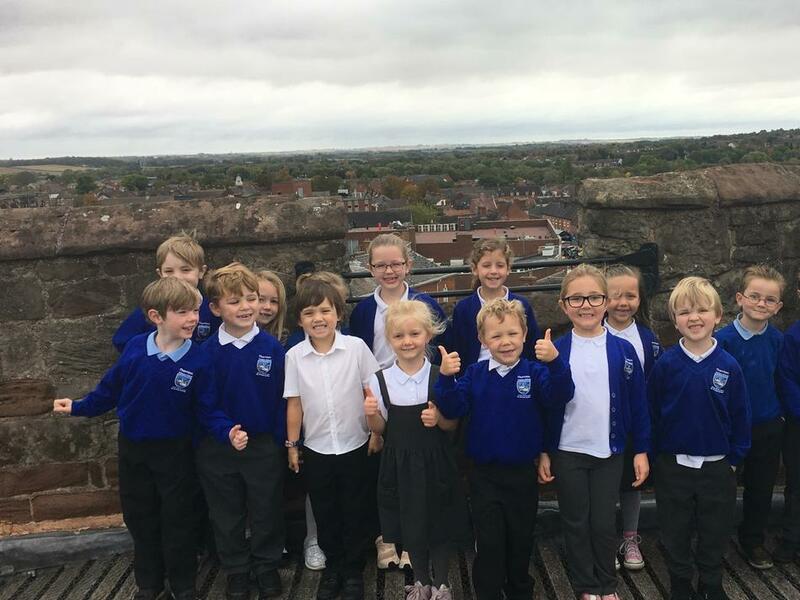 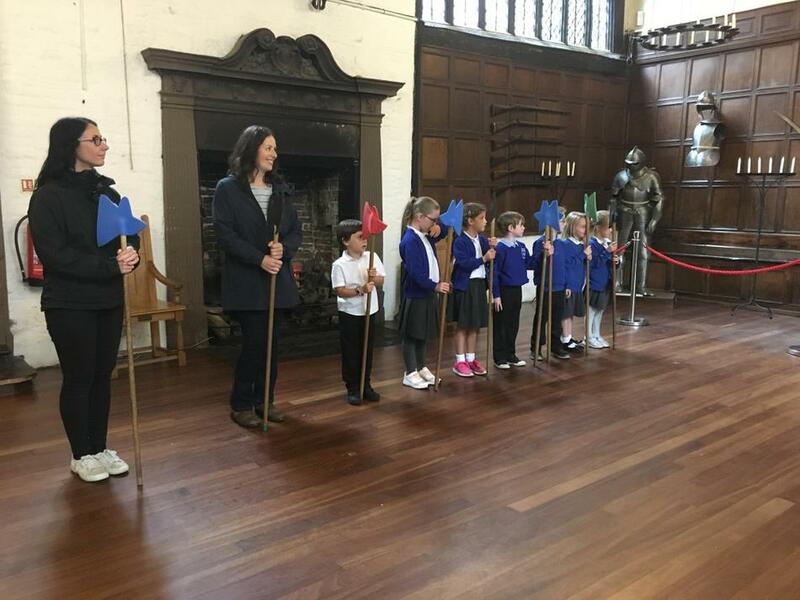 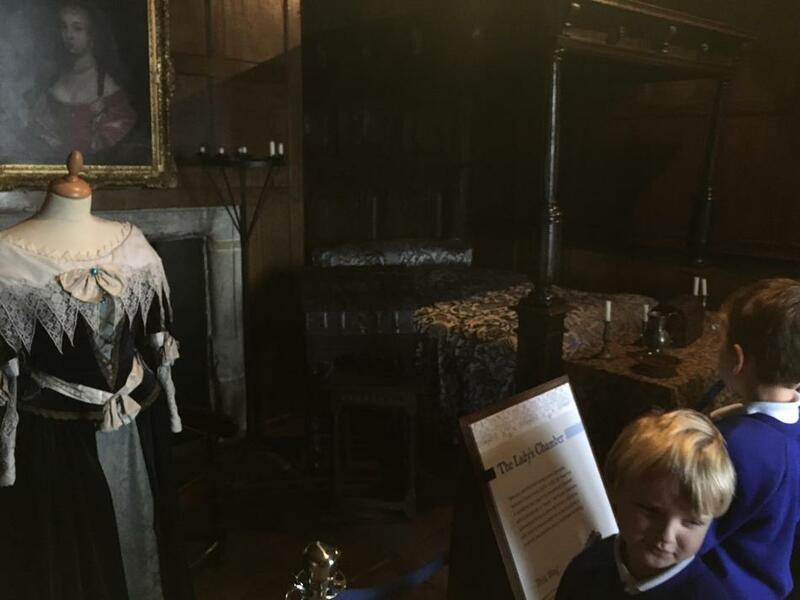 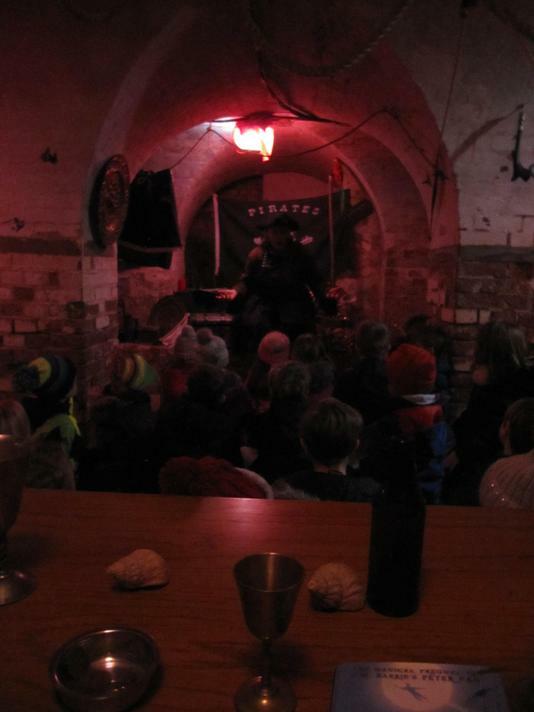 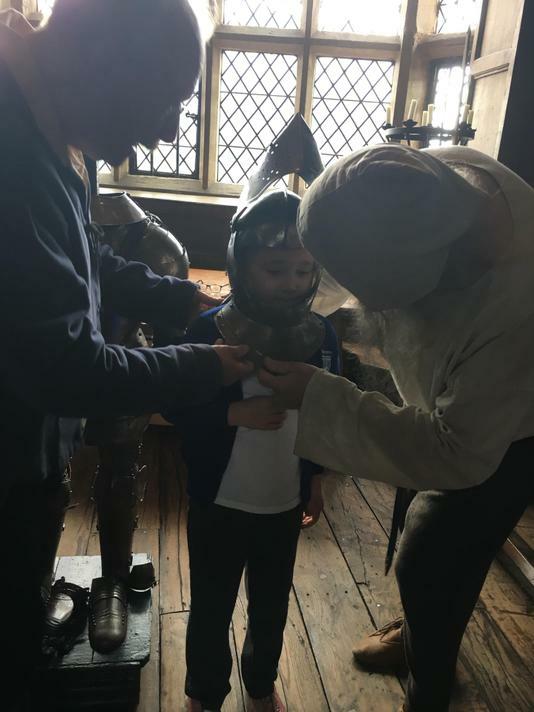 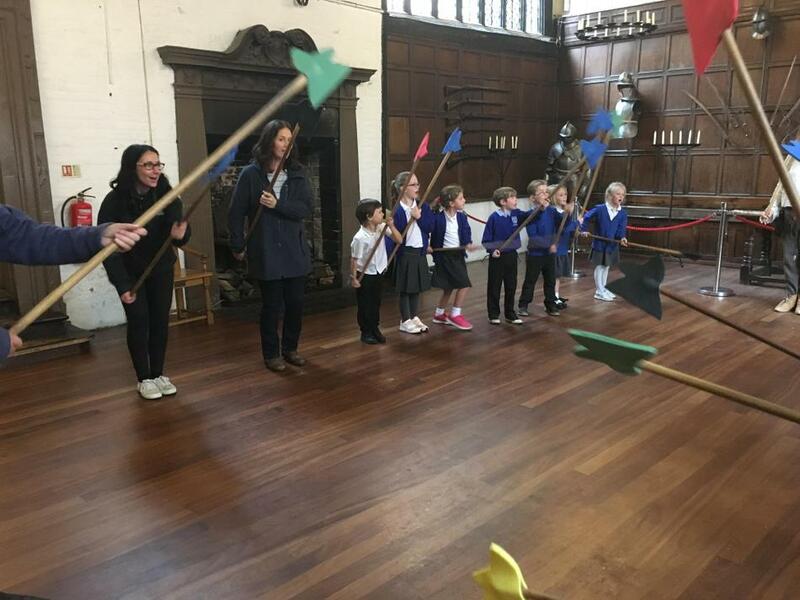 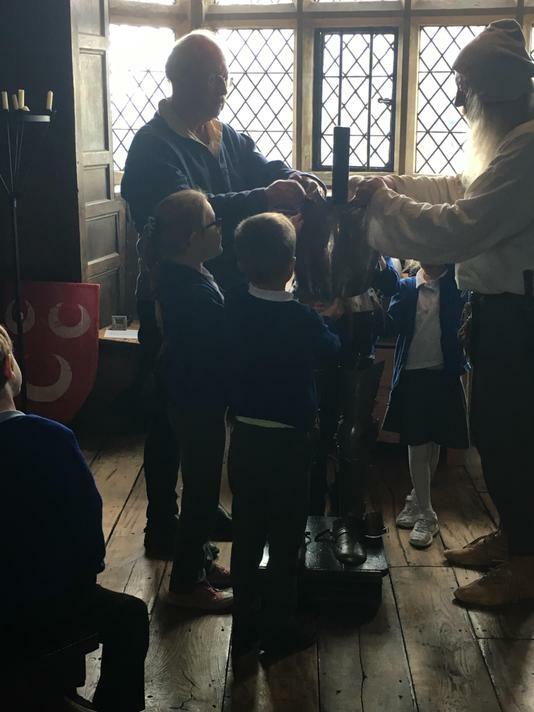 Our trip to Tamworth Castle was excellent, with two action packed informative workshops and the opportunity to explore the castle for ourselves. 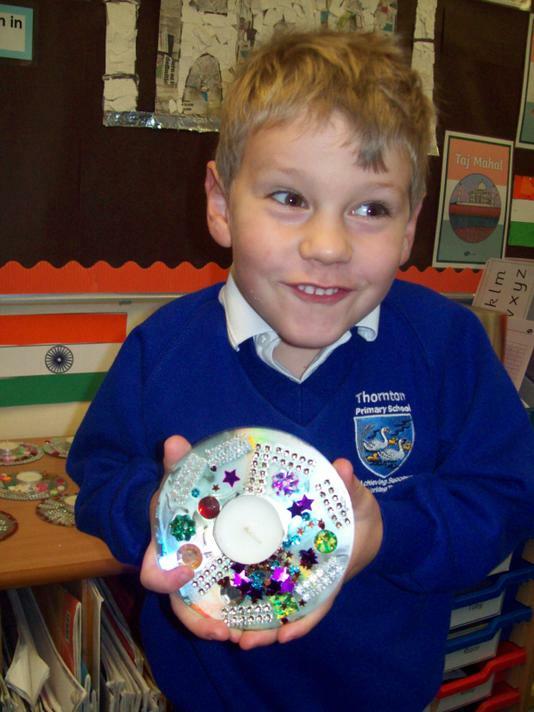 An enjoyable topic and we can't wait to get stuck into 'India' after the half term break. 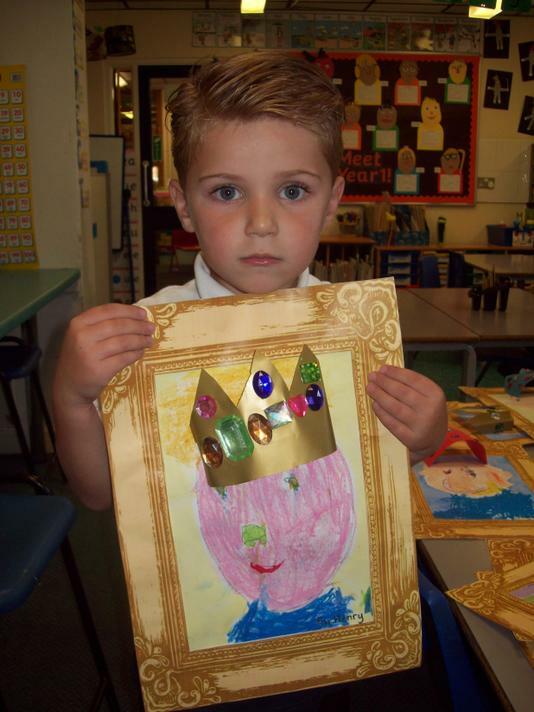 We are all so impressed in school with how well the children have settled into Year 1. 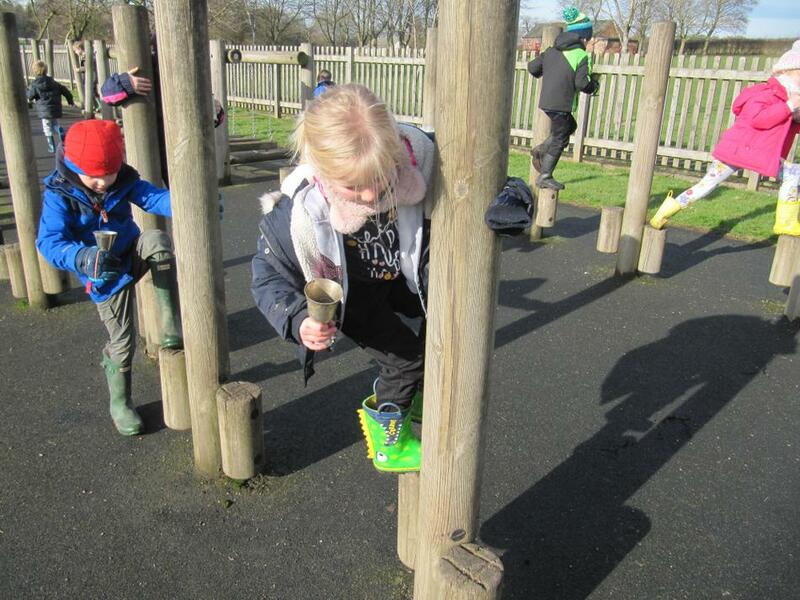 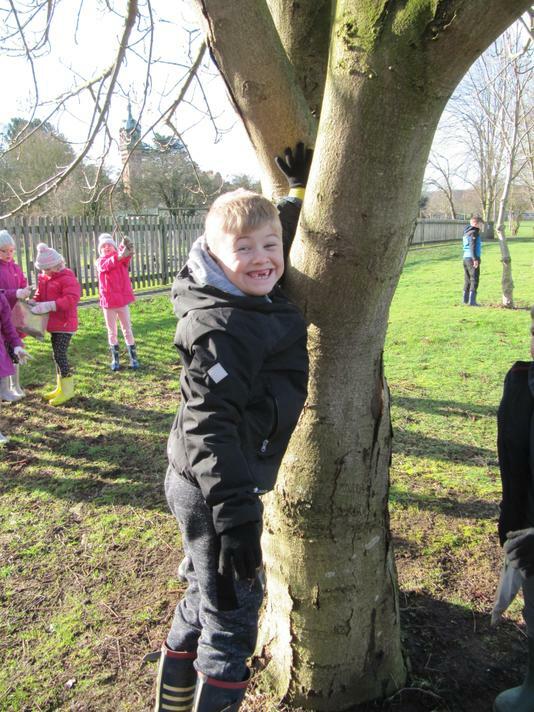 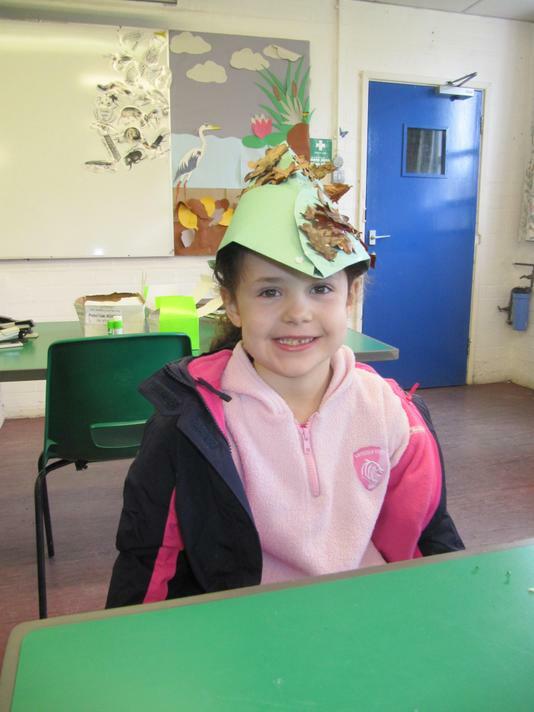 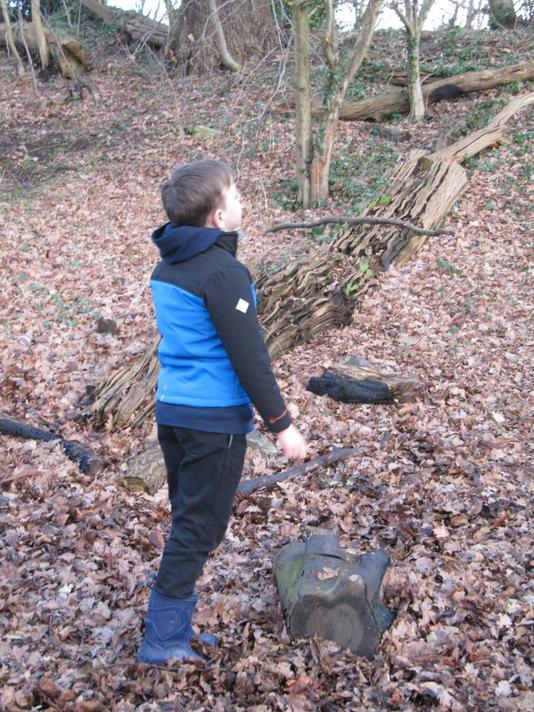 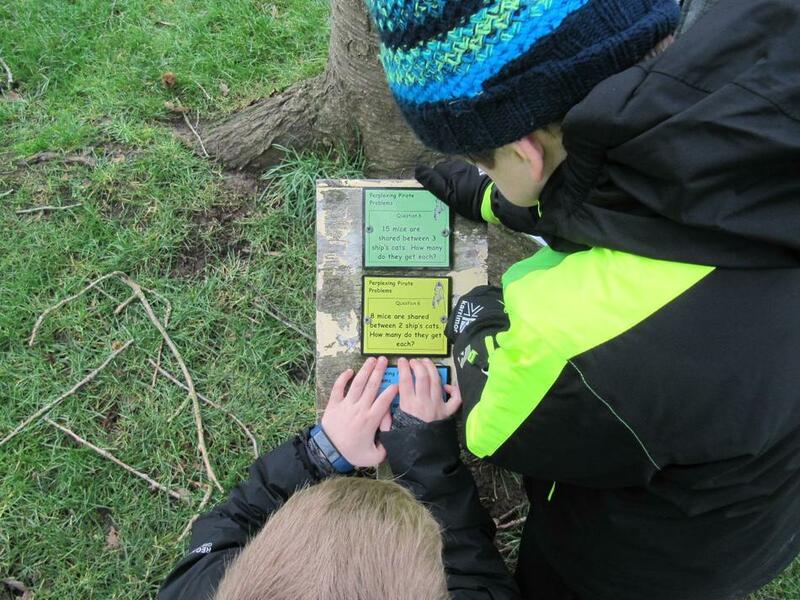 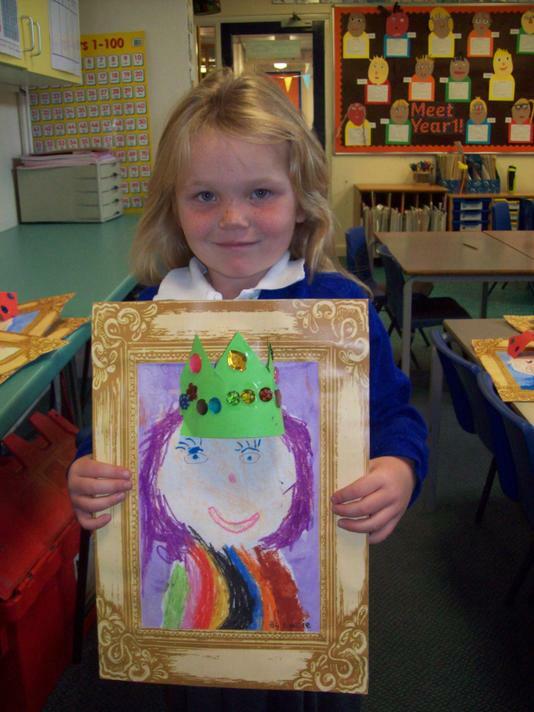 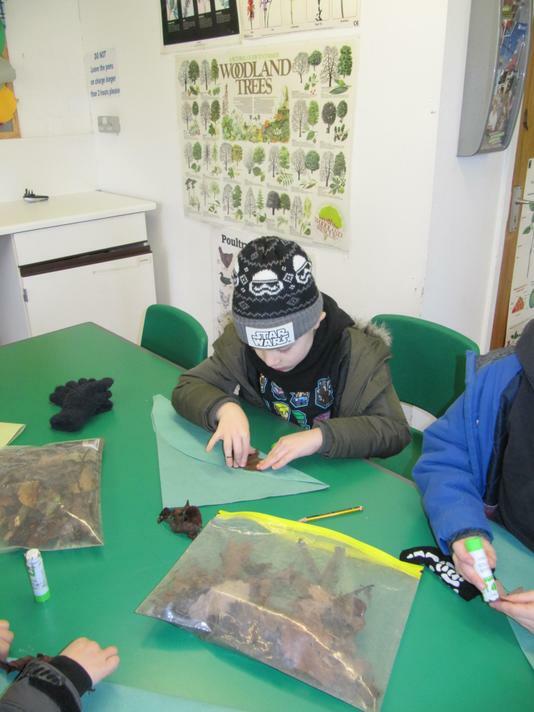 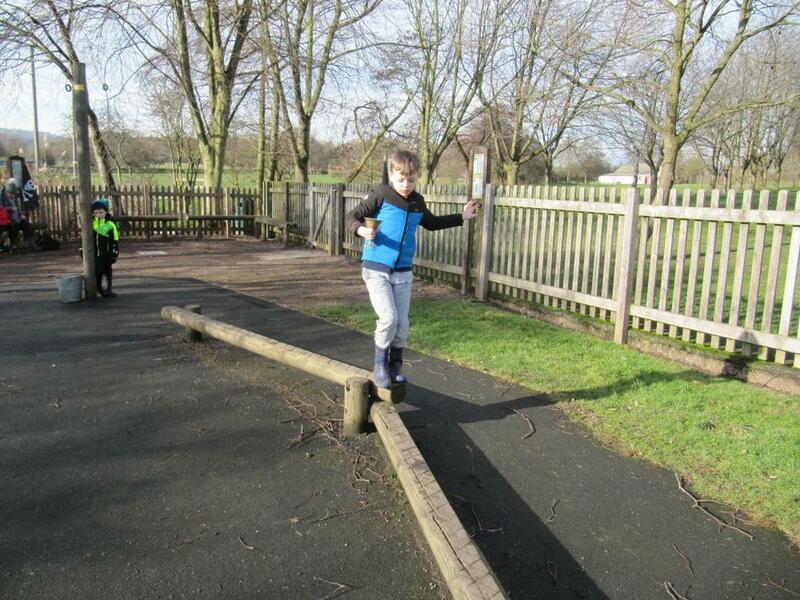 They have adapted to the routine brilliantly, and all have such a positive attitude to their learning. 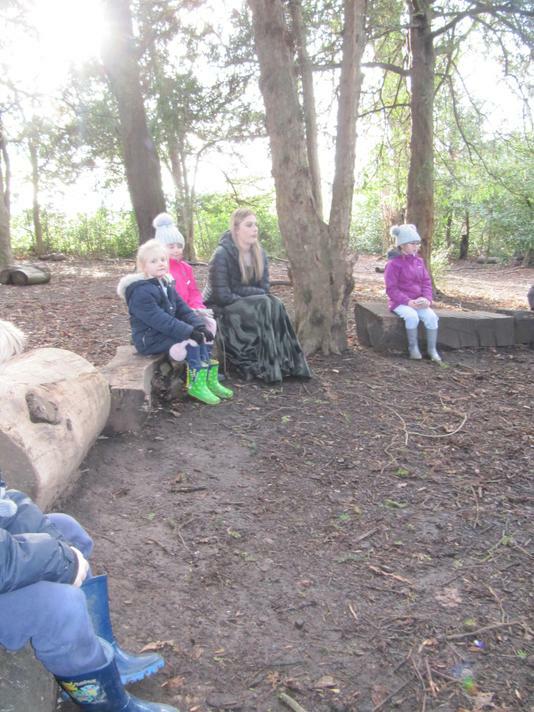 In literacy, the children have been identifying the key features of different traditional tales such as Little Red Riding Hood and The Three Little Pigs. 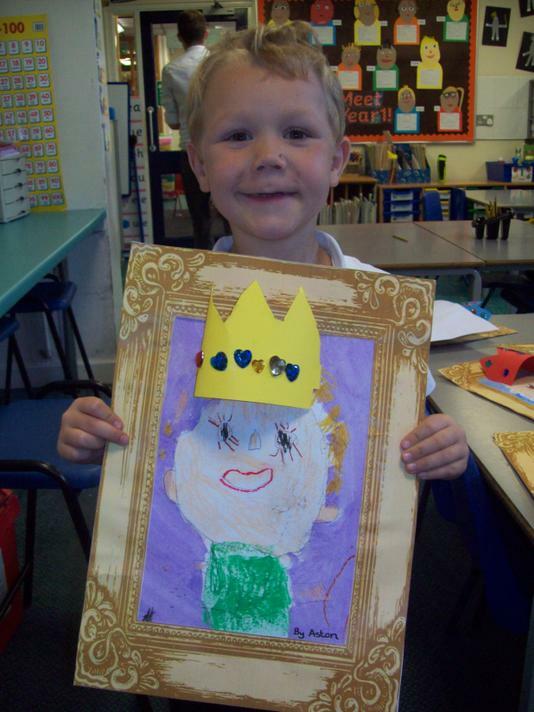 We ended our literacy this week with the story of Cinderella, ready to start our unit of work on this story on Monday. 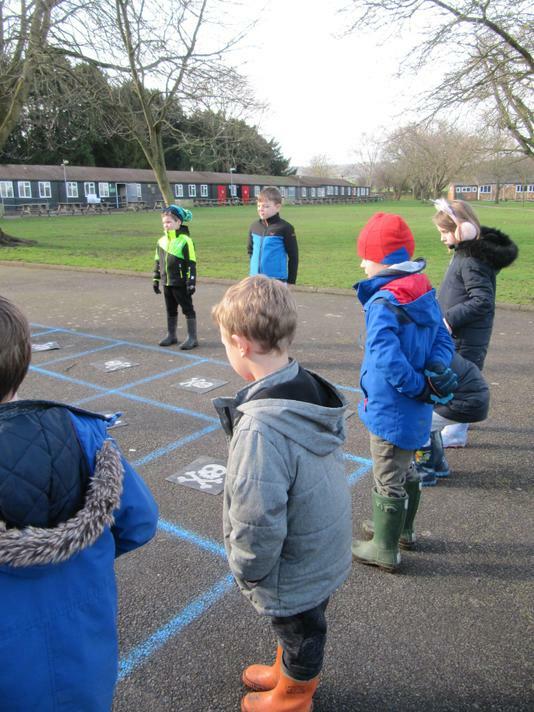 In Maths, we have started by looking at number and place value. 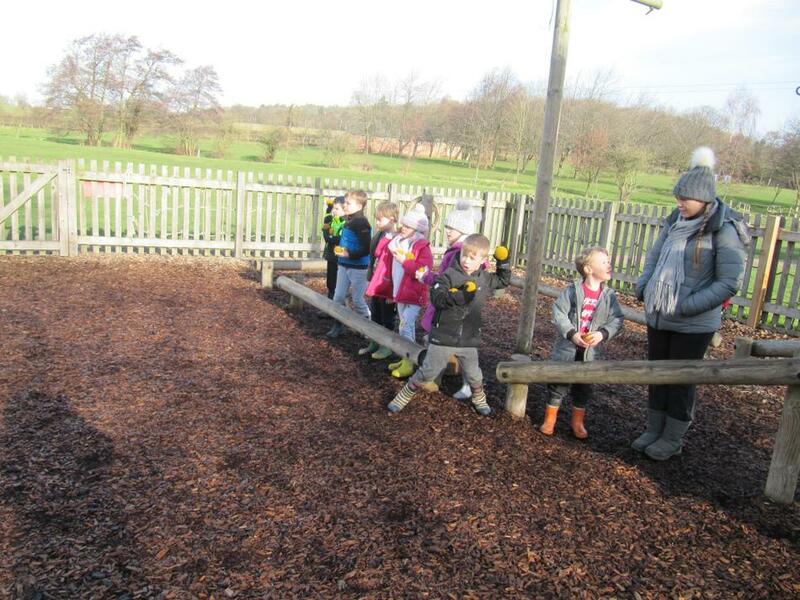 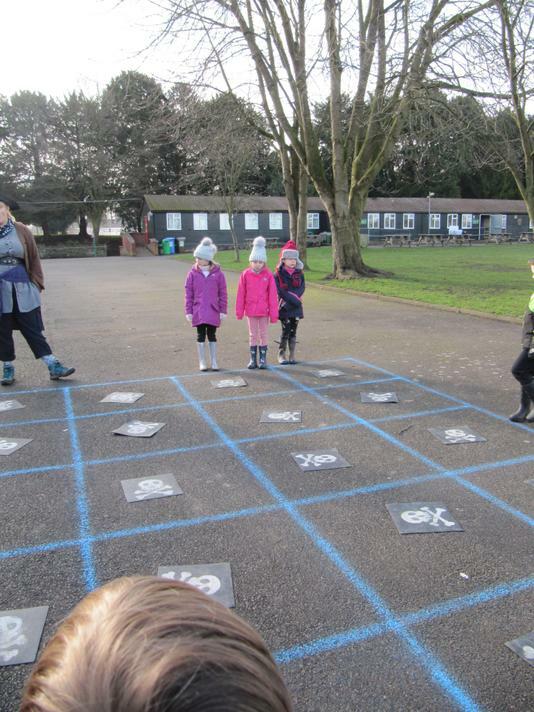 The children enjoyed estimating Teddy's favourite number and becoming the teacher for an activity. 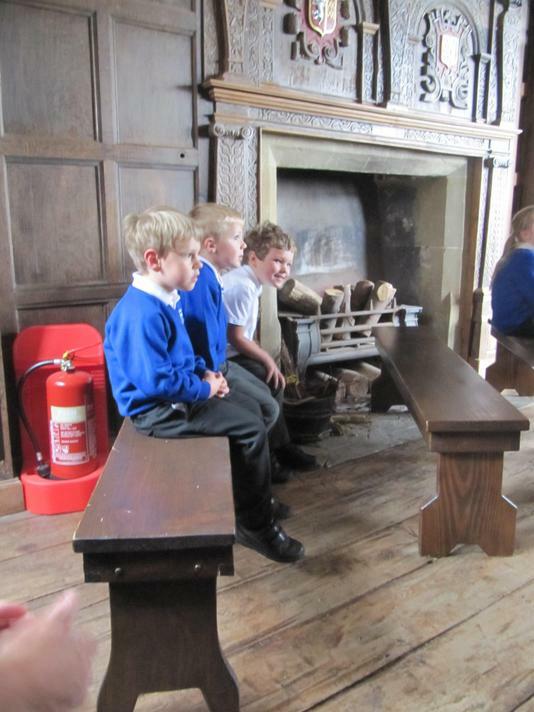 They all played the teacher role very well! 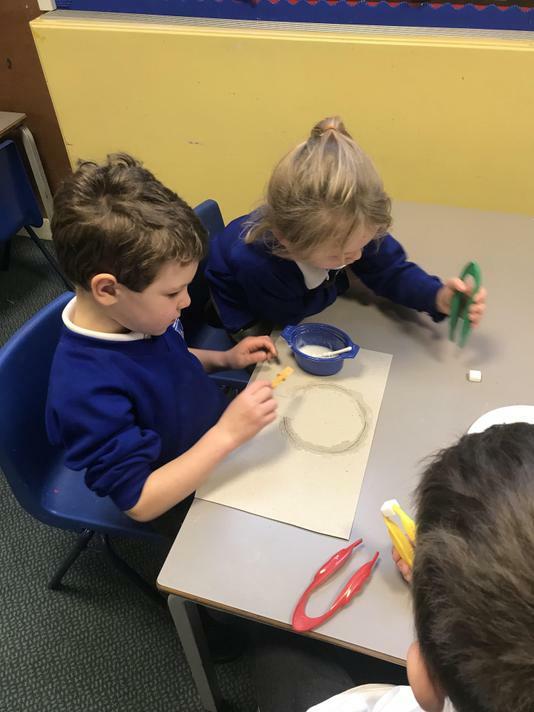 The children independently filled in missing numbers in a sequence and some children worked with numbers all the way up to 50 (how impressive!) 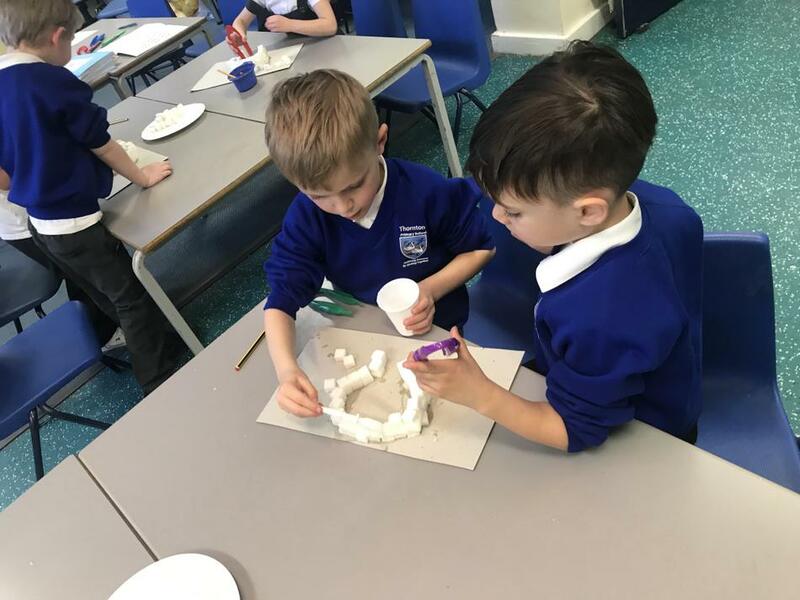 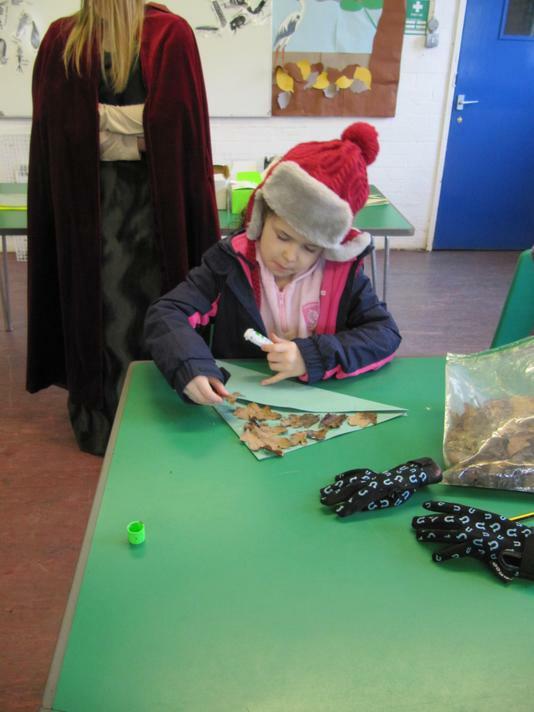 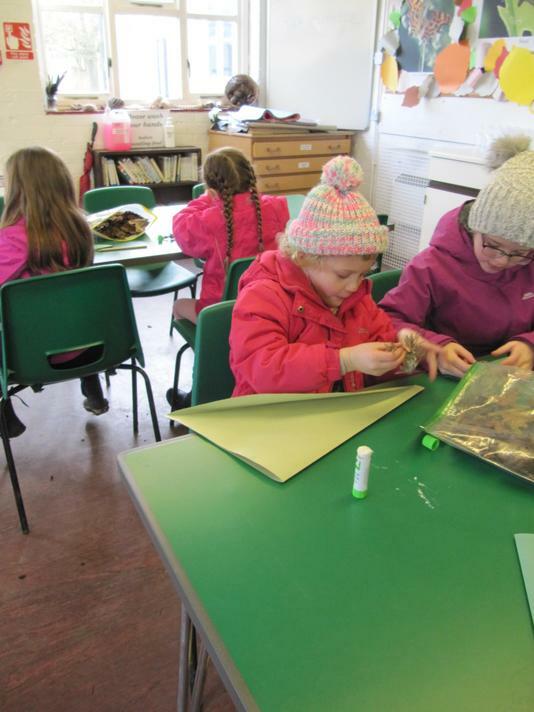 We have begun our topic for this half term of 'Castles' by making our own castles and decorating shields. 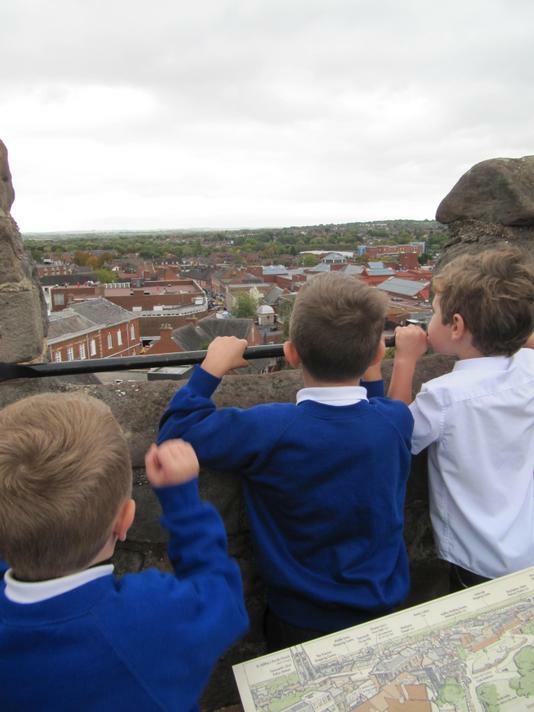 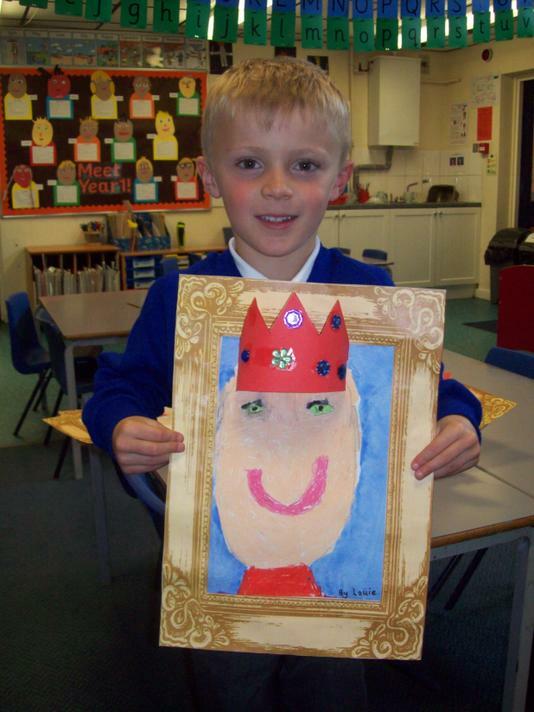 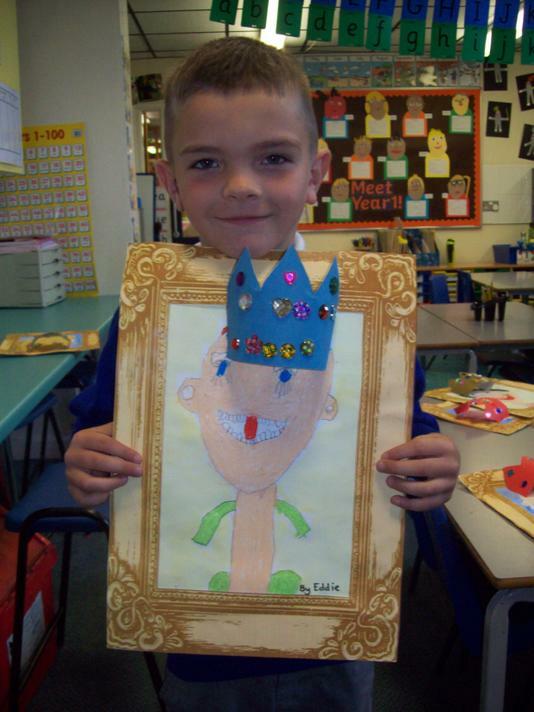 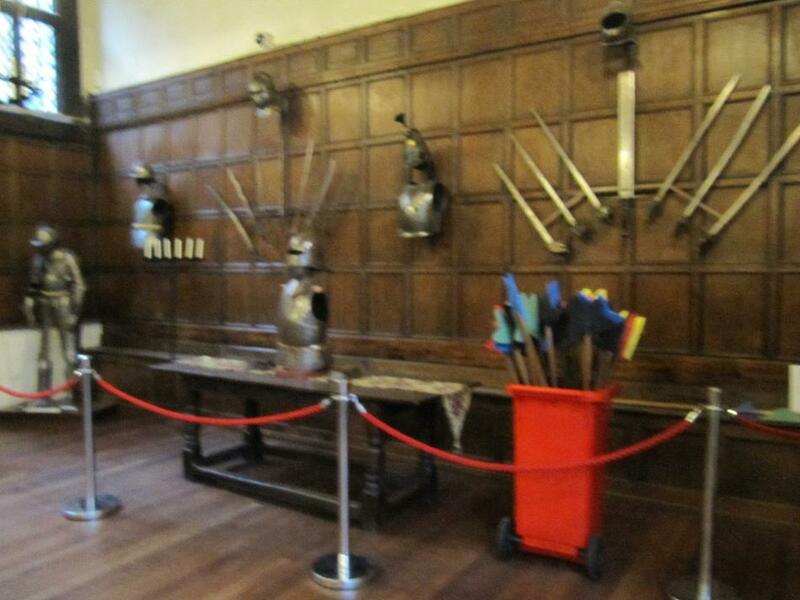 We are looking forward to joining up with Miss Willett and her class next week to explore castles some more!